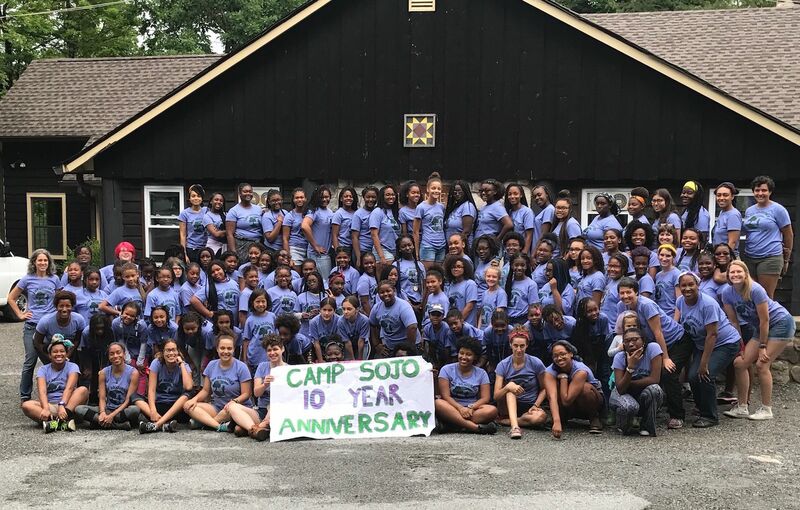 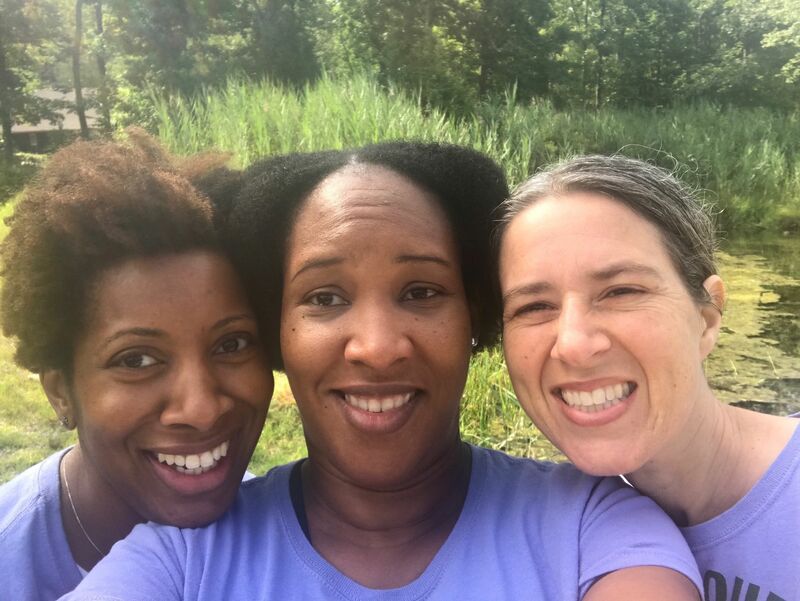 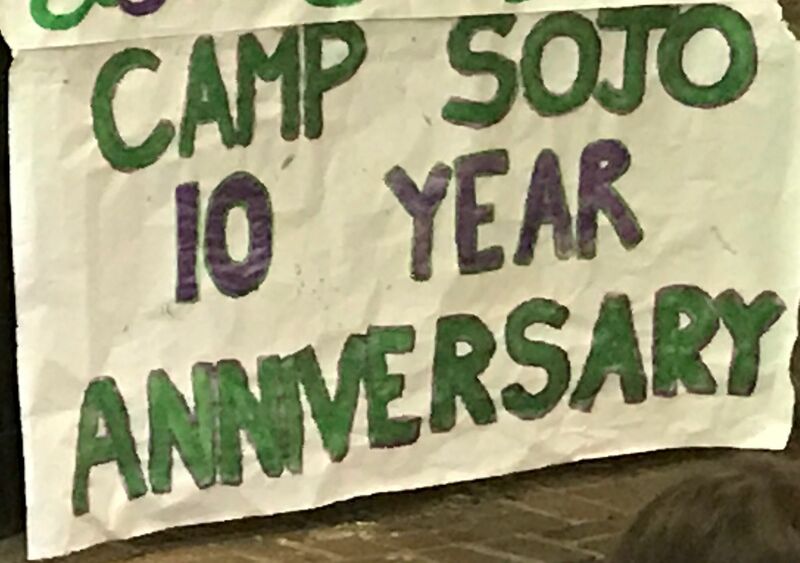 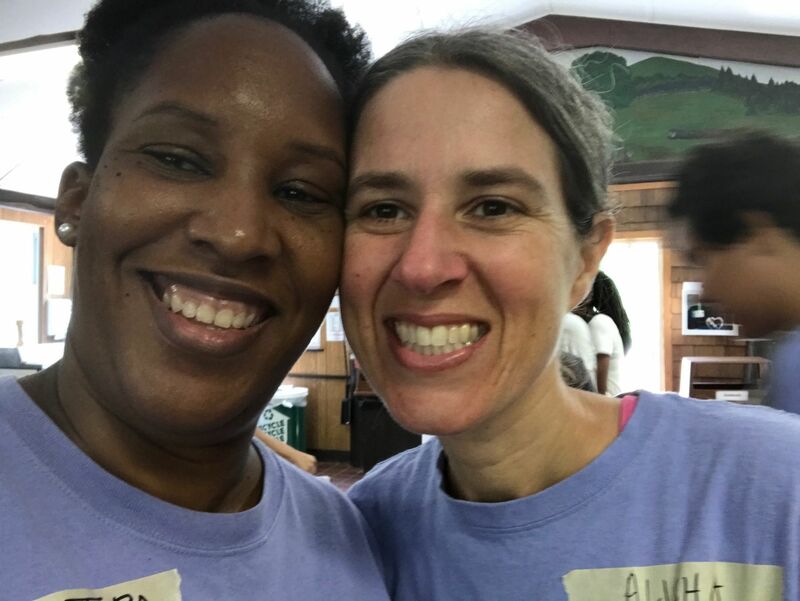 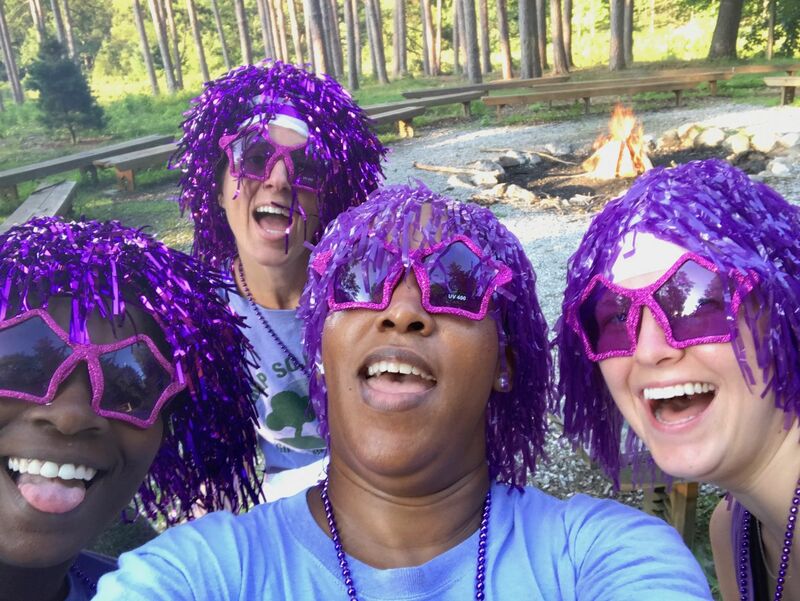 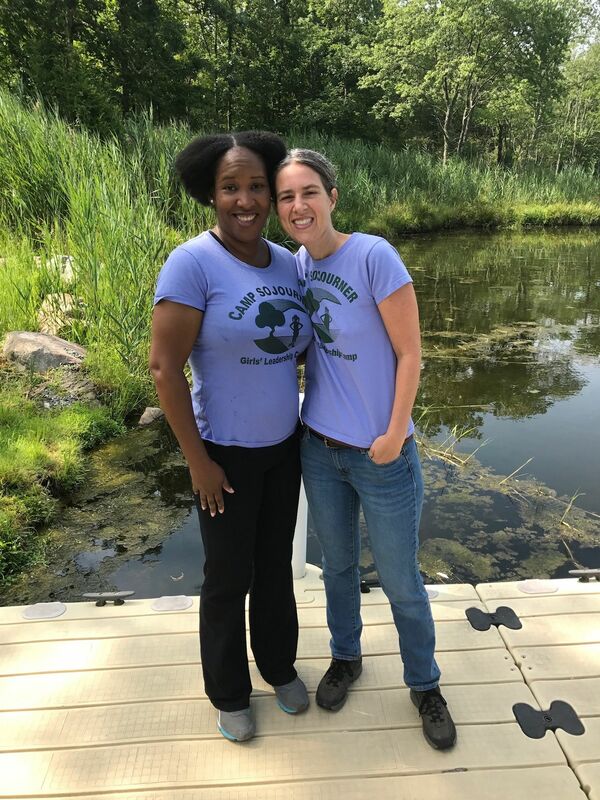 Our 10 year anniversary at camp was an amazing week! 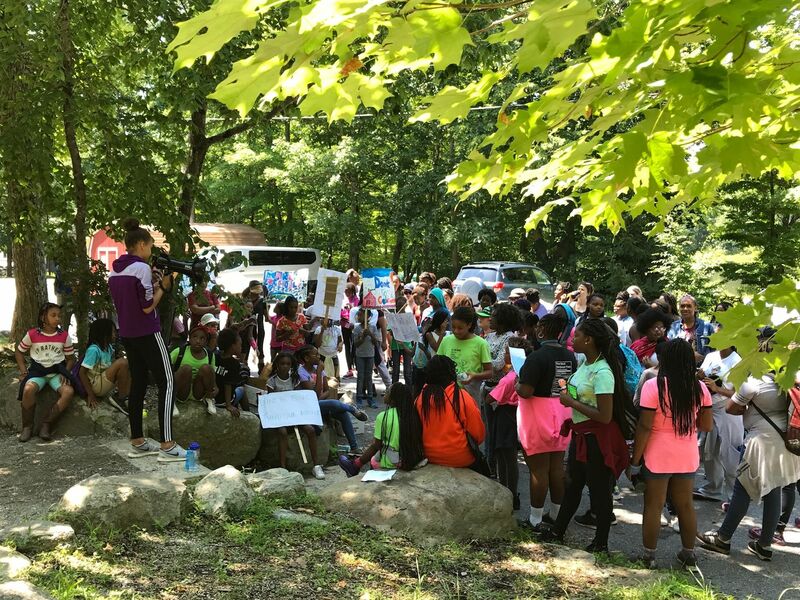 We had our largest group ever this year: 80 girls. 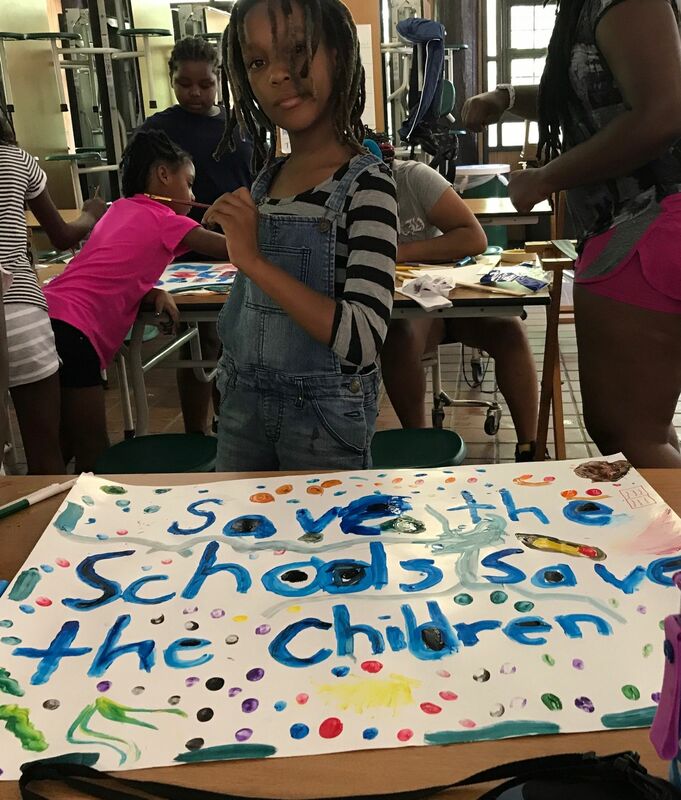 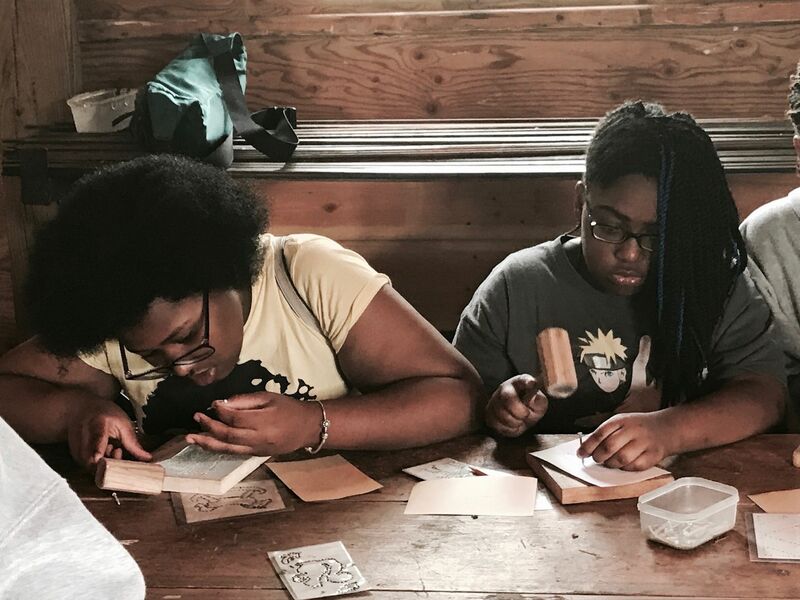 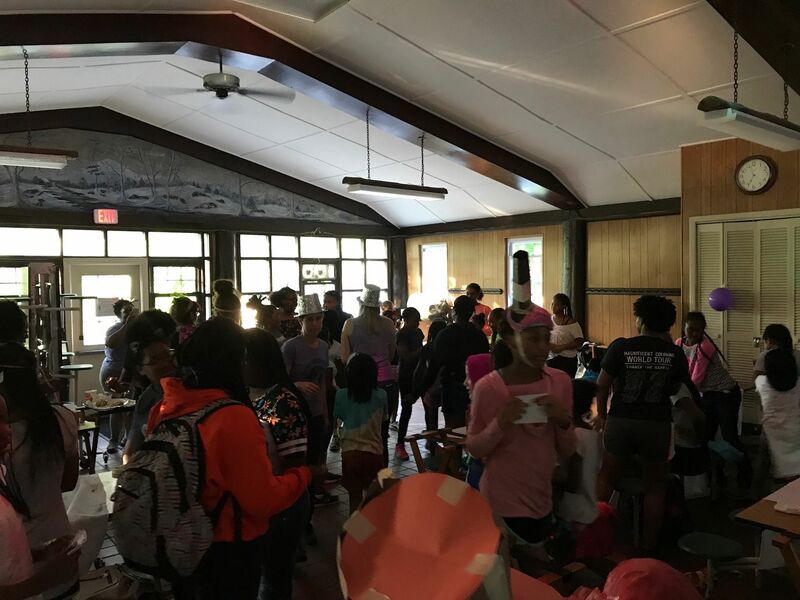 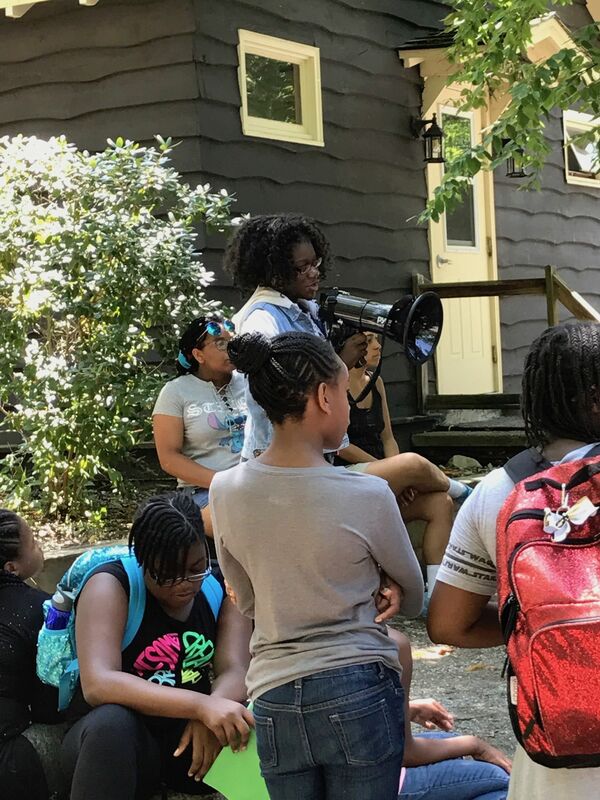 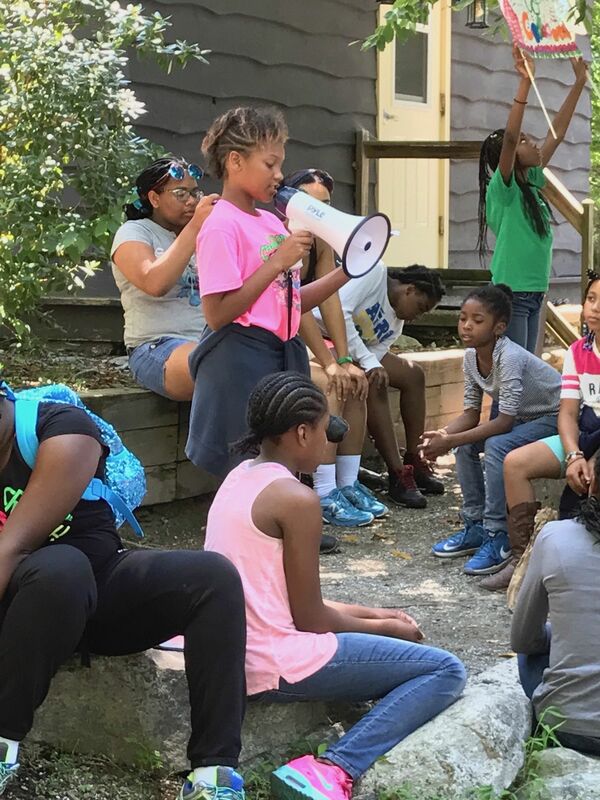 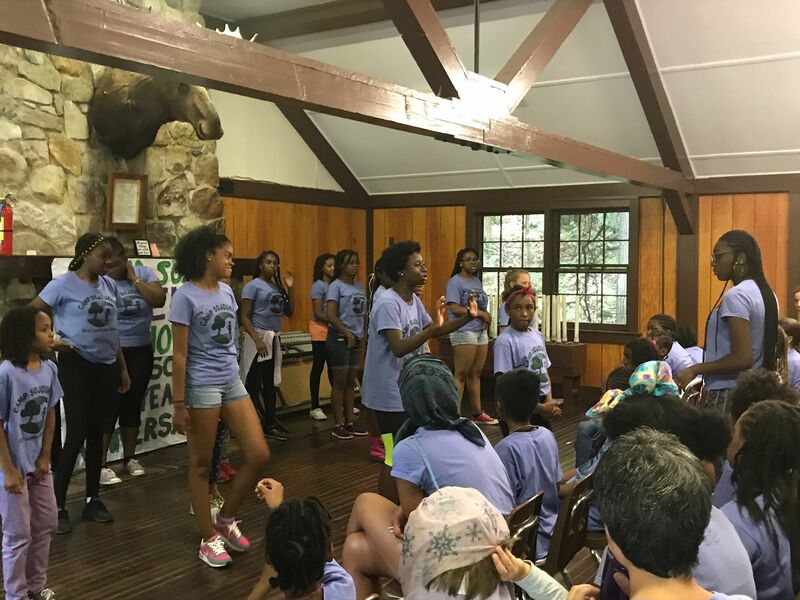 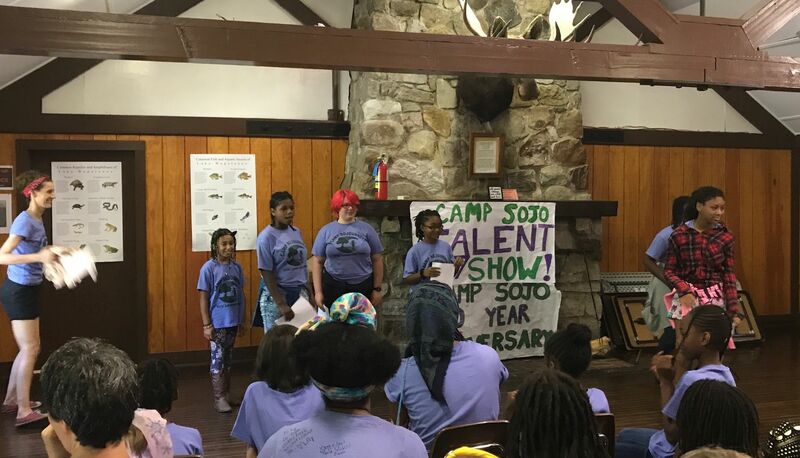 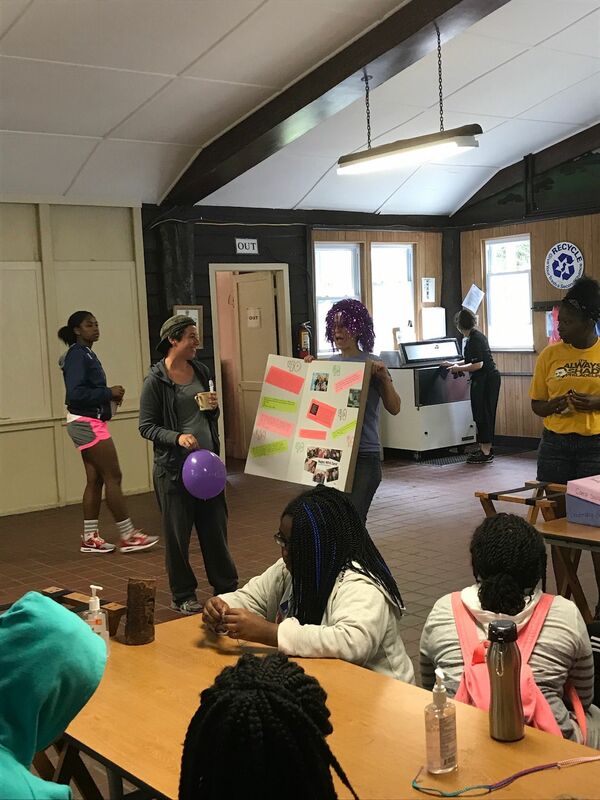 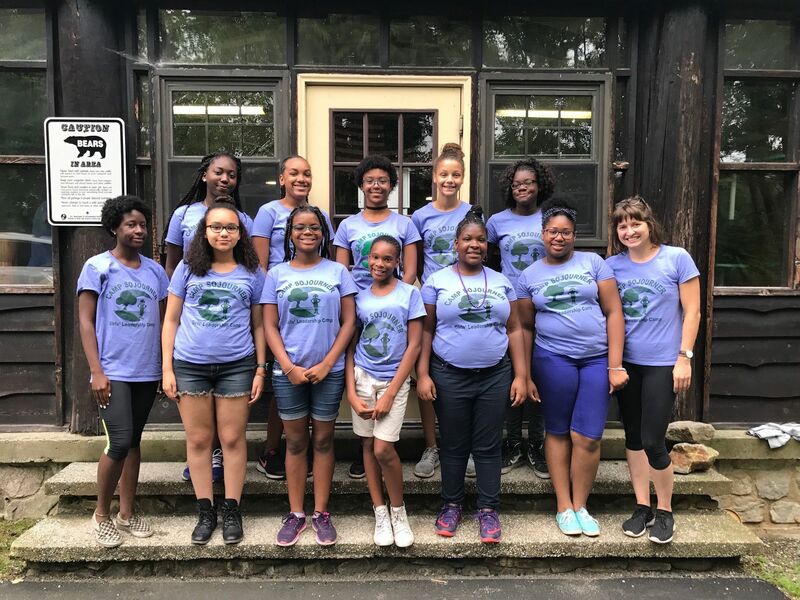 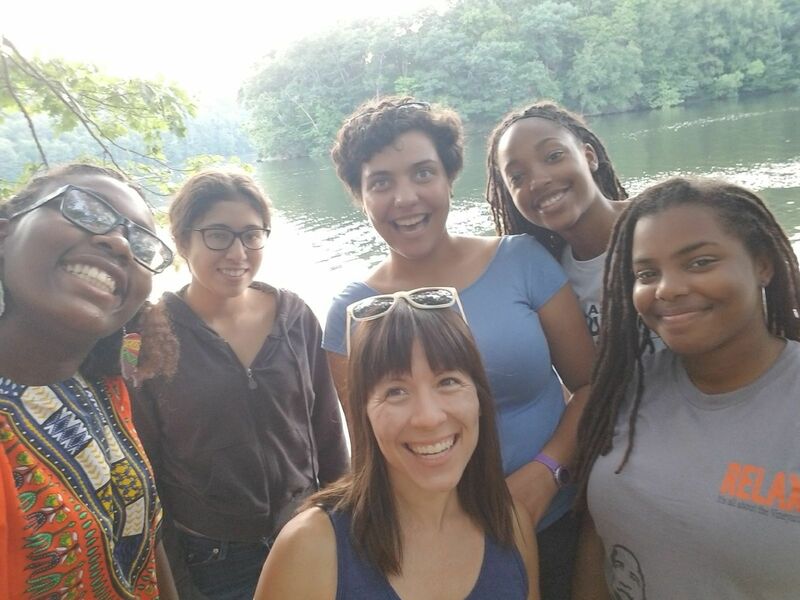 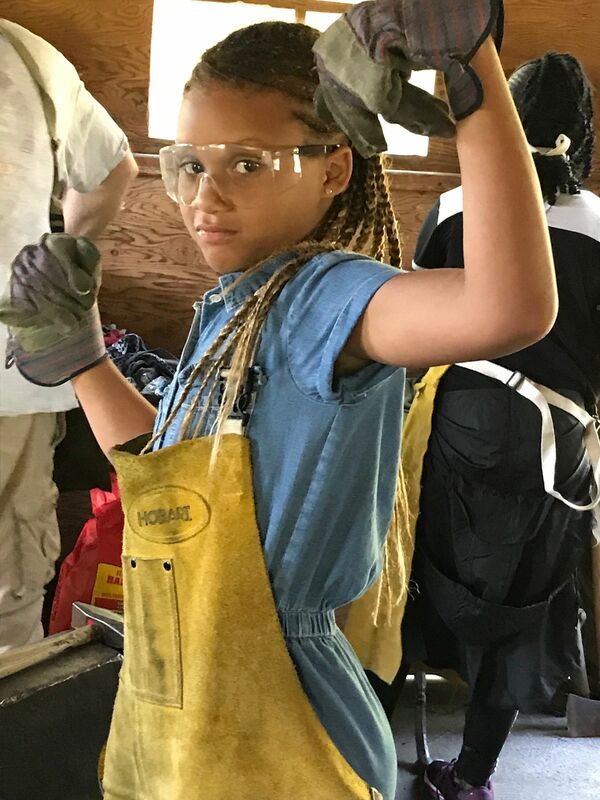 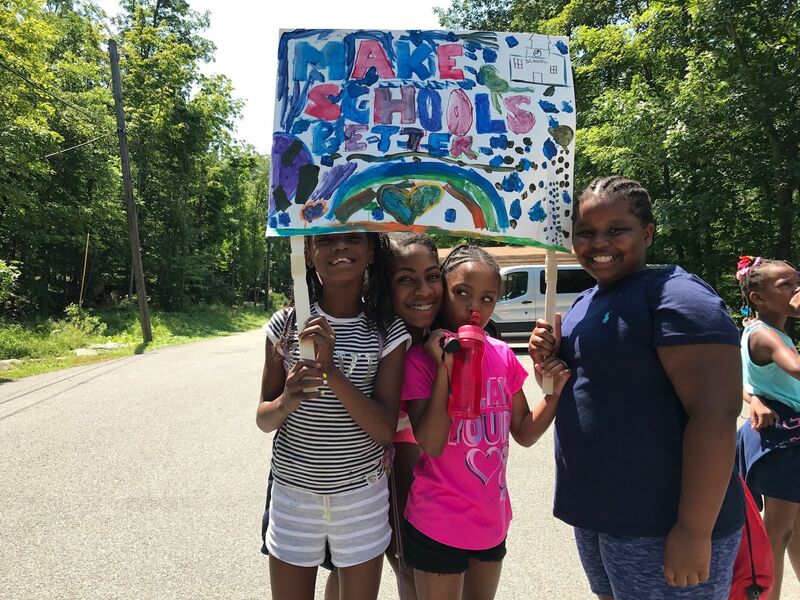 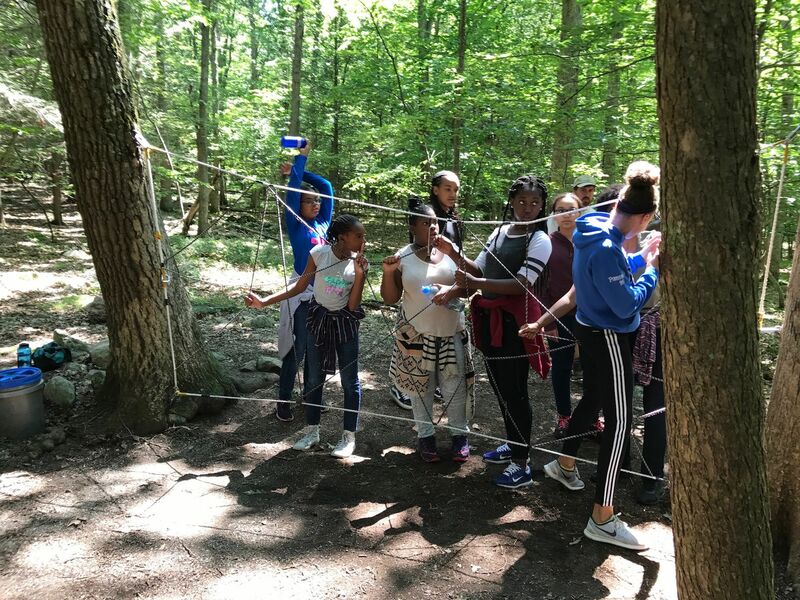 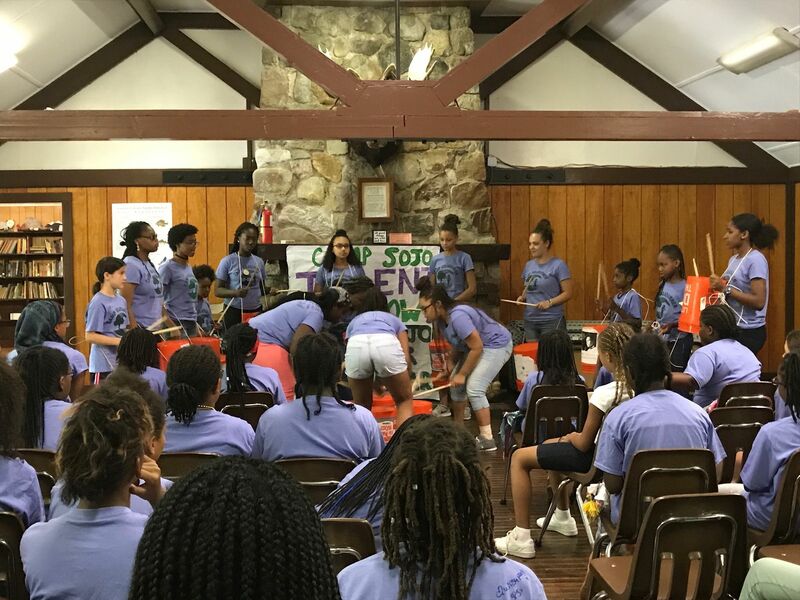 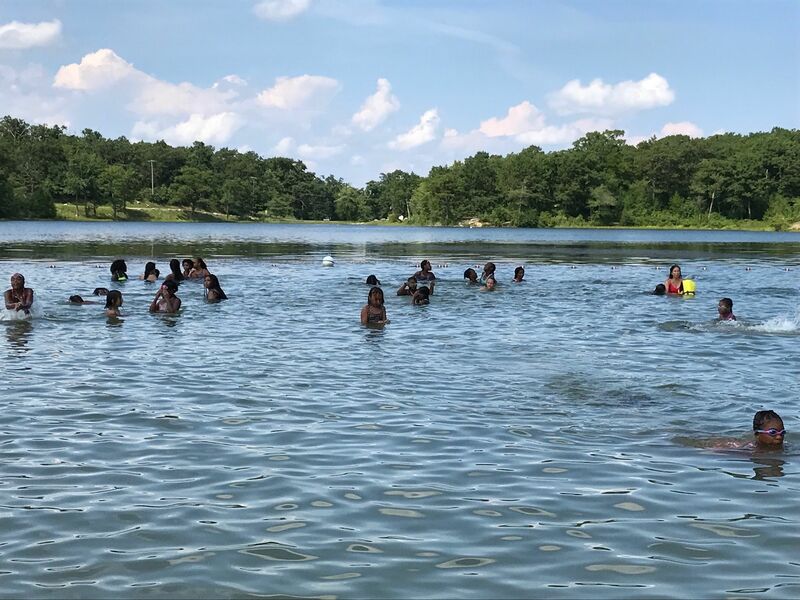 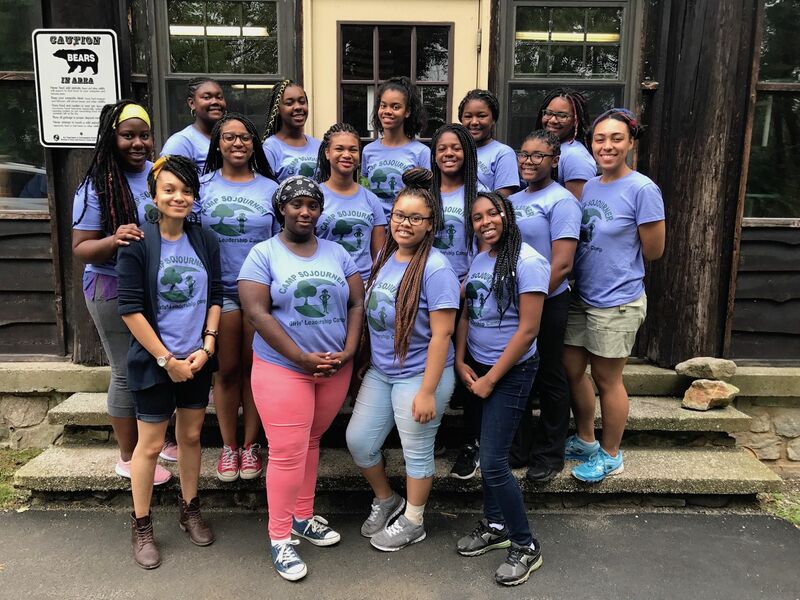 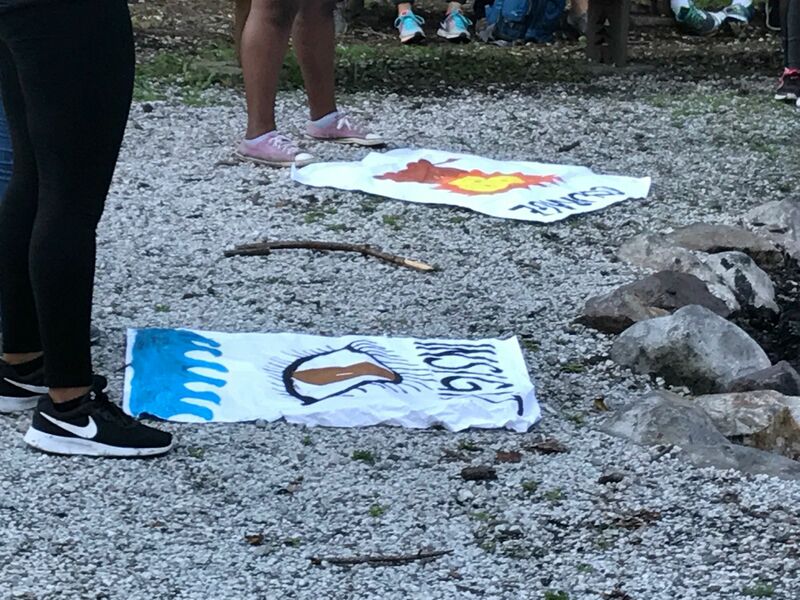 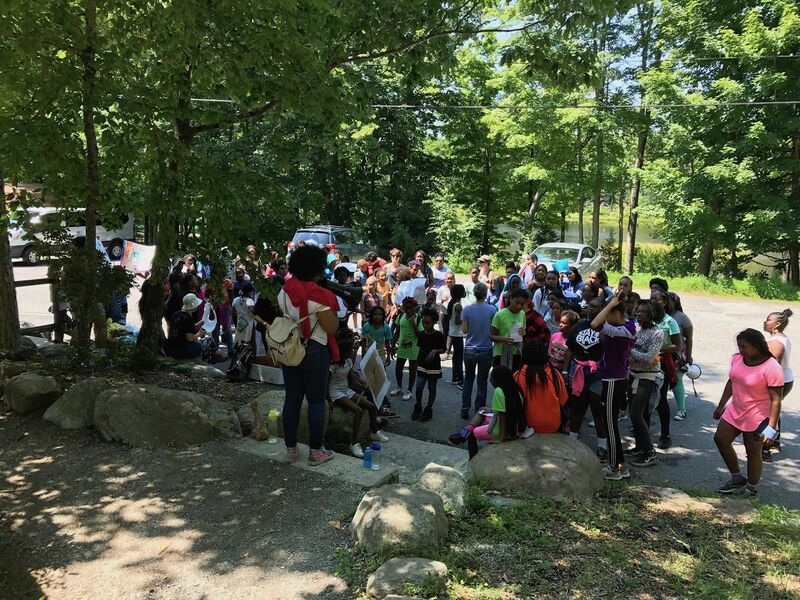 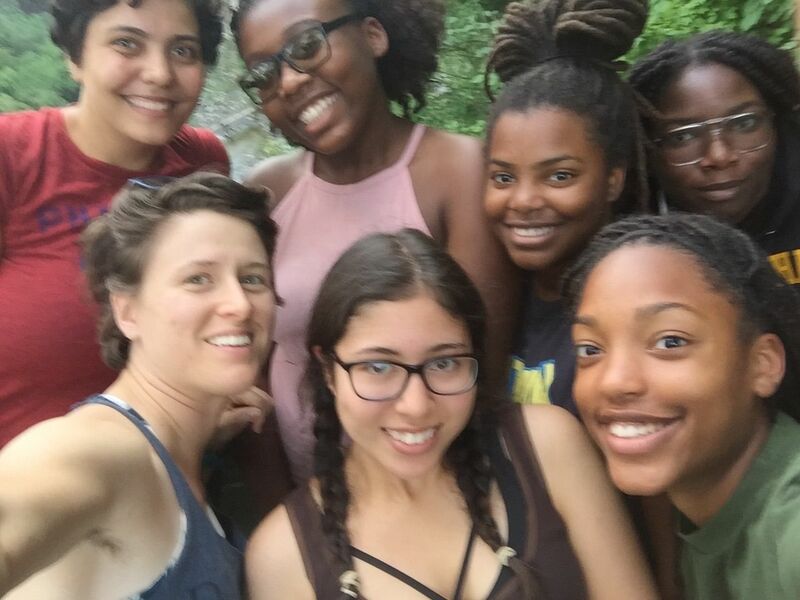 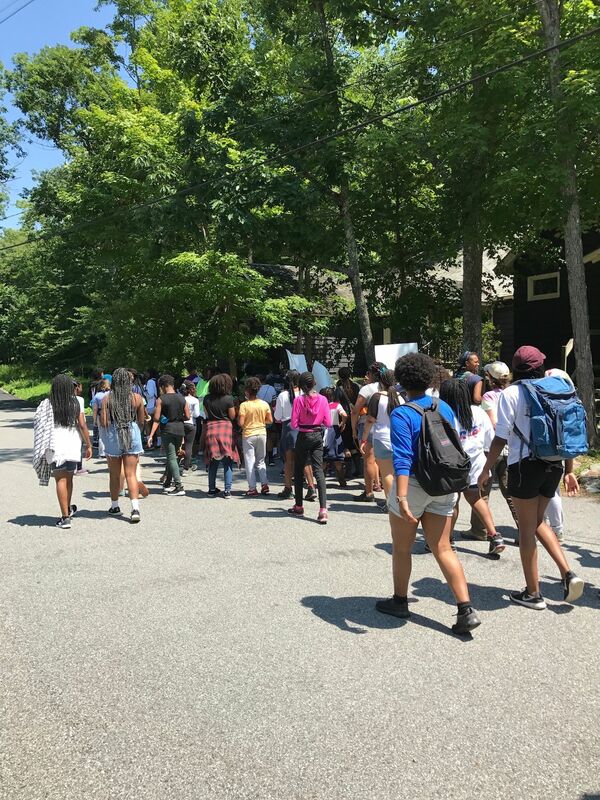 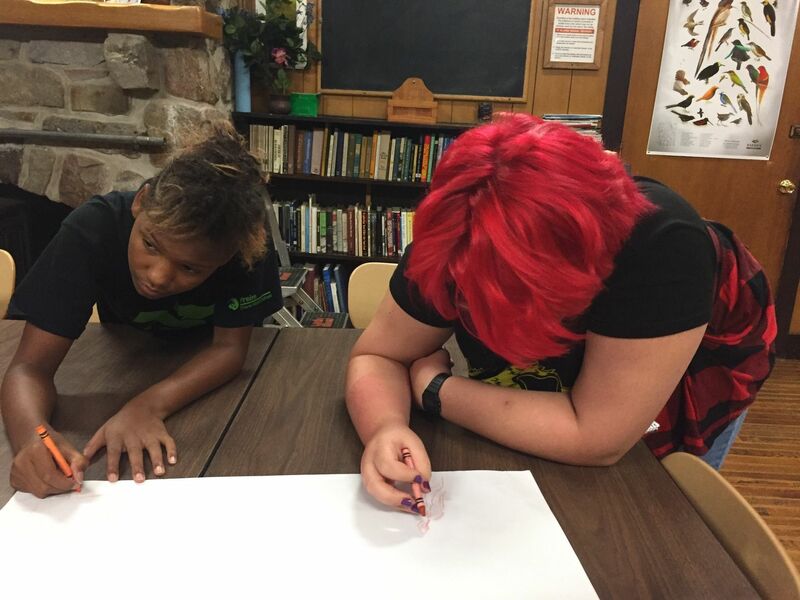 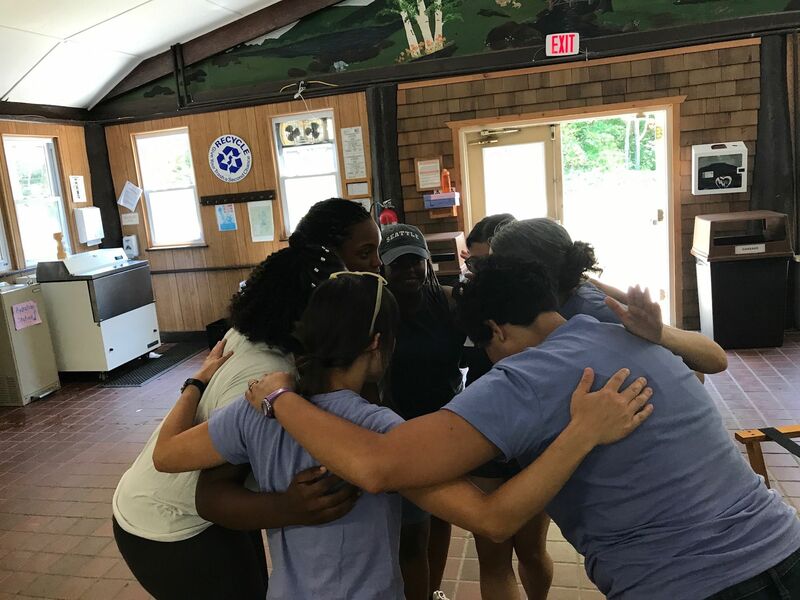 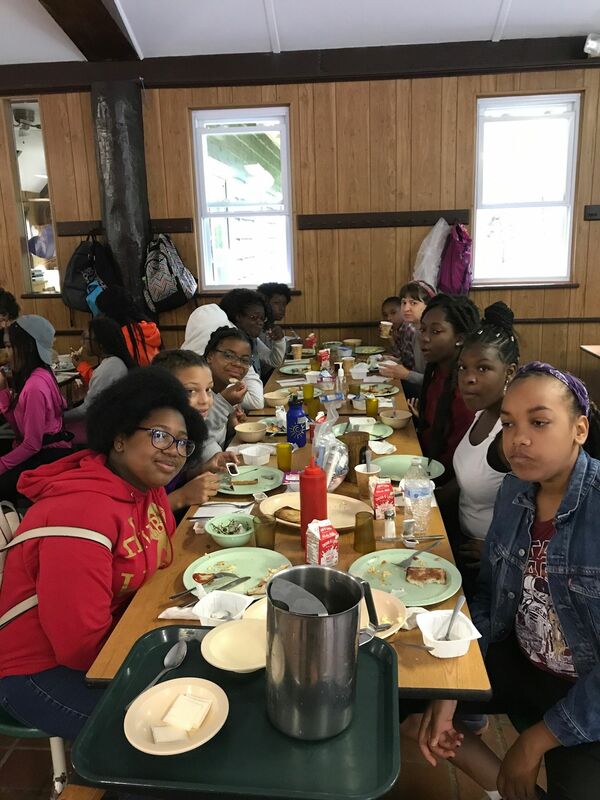 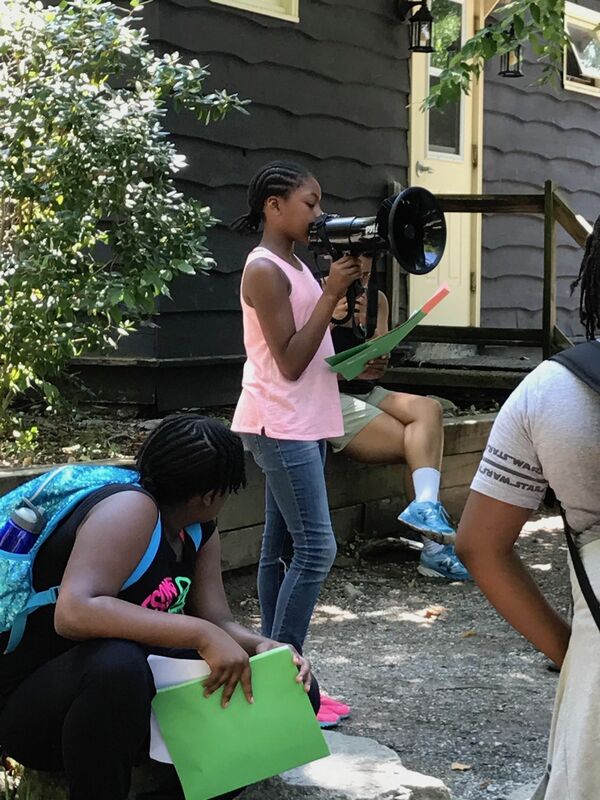 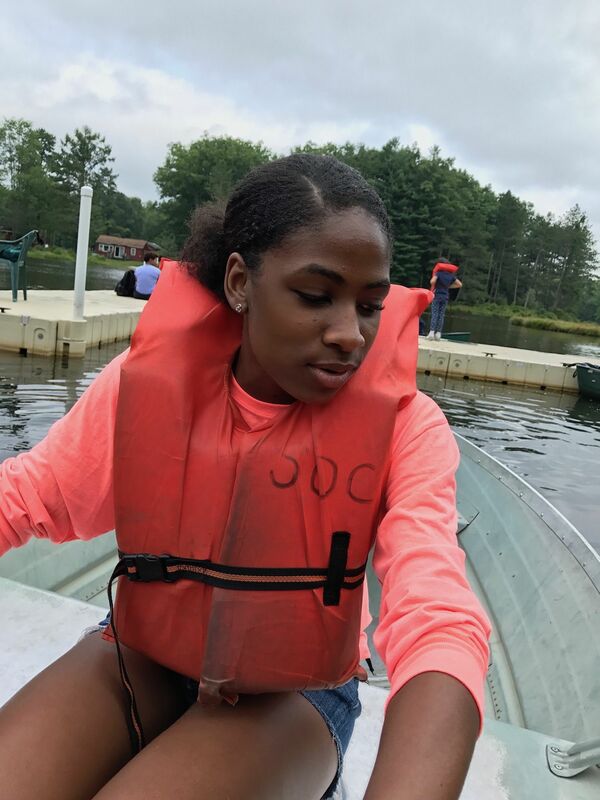 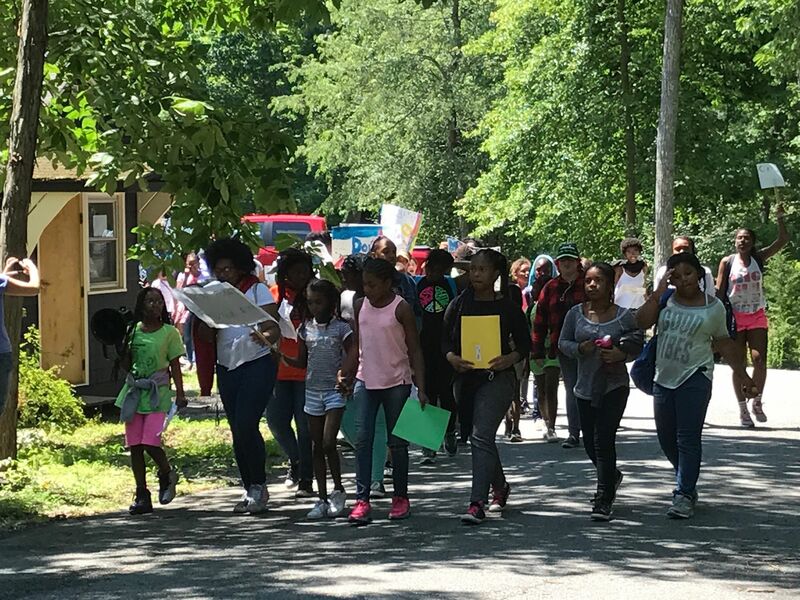 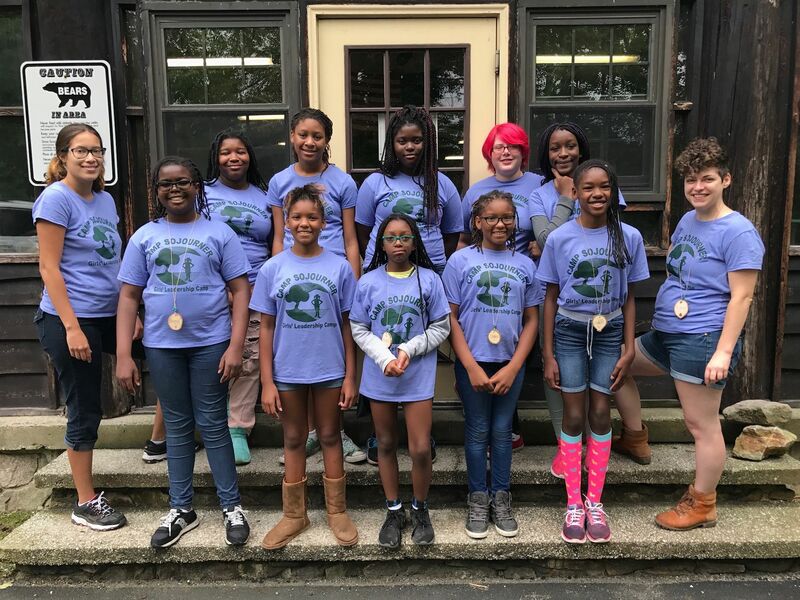 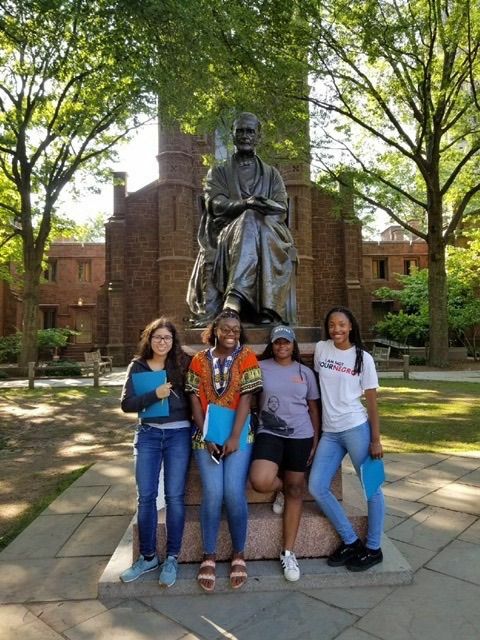 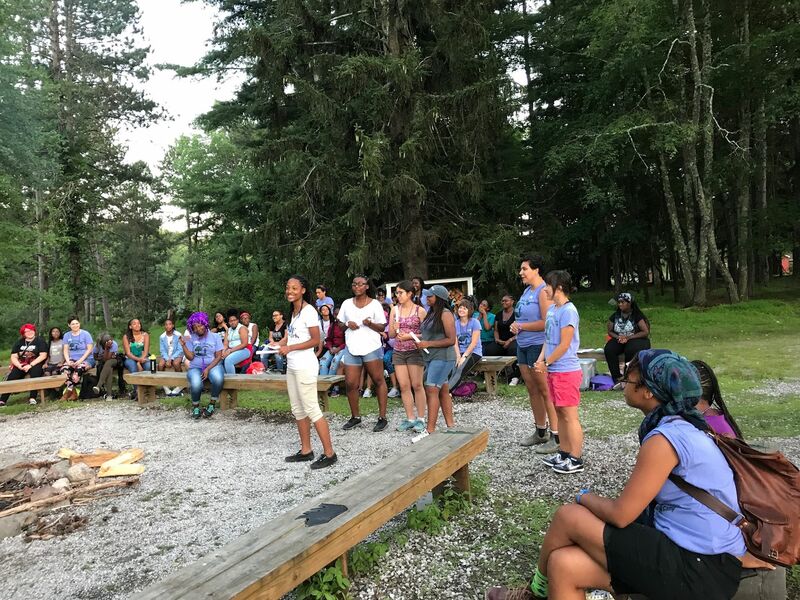 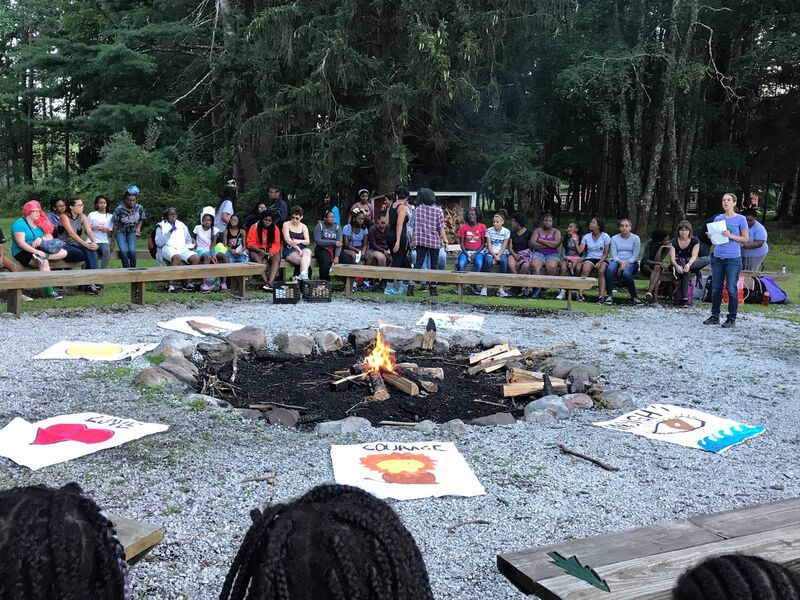 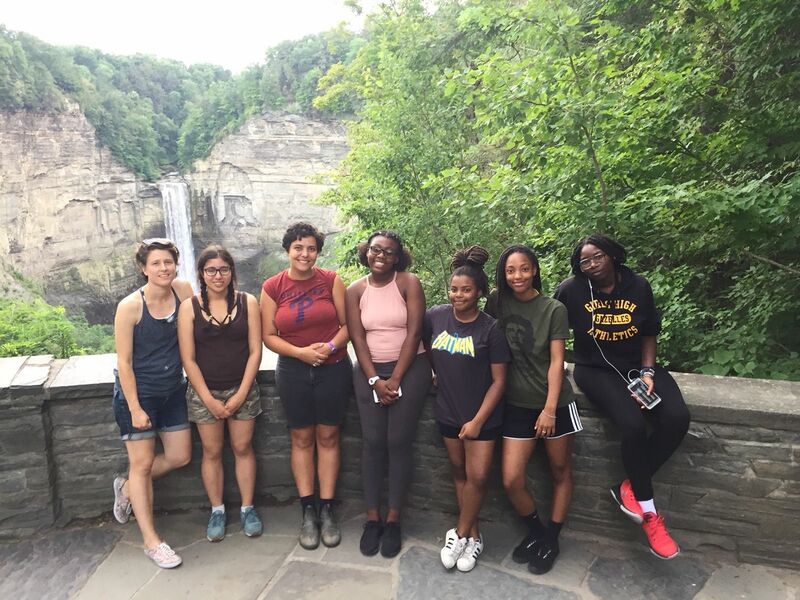 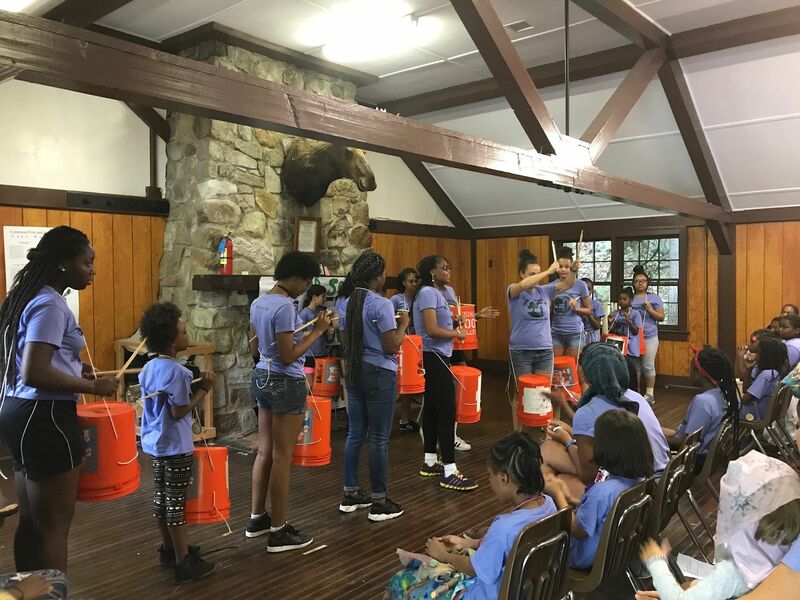 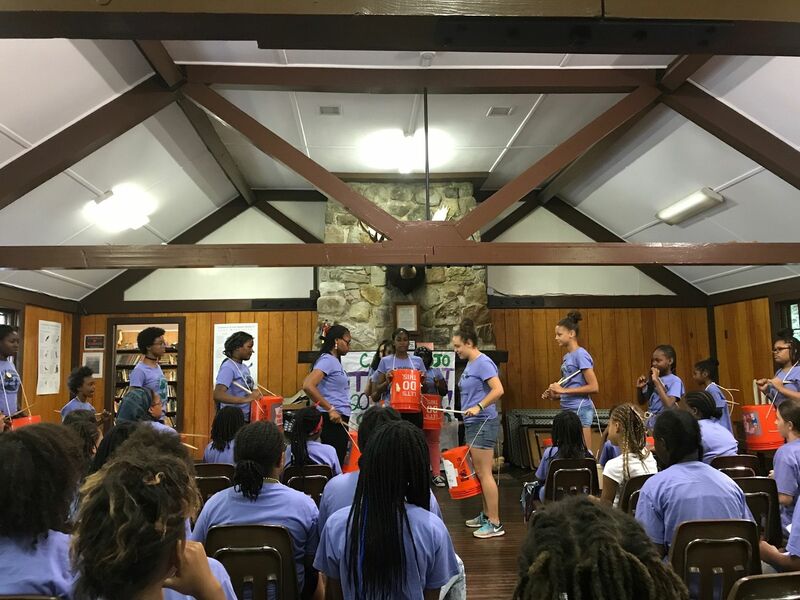 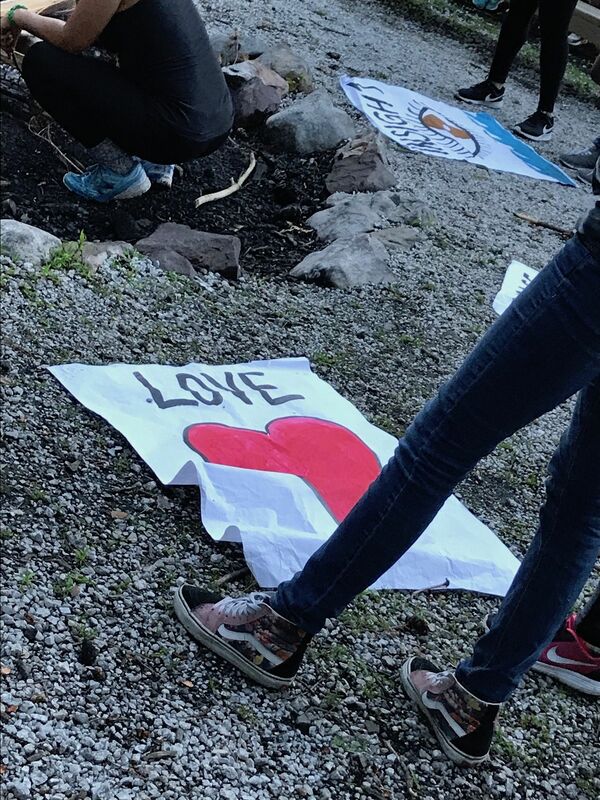 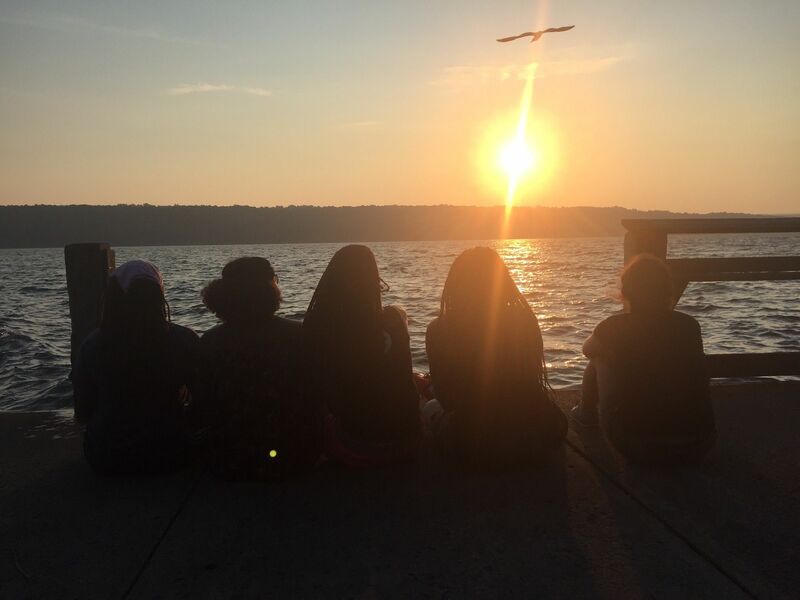 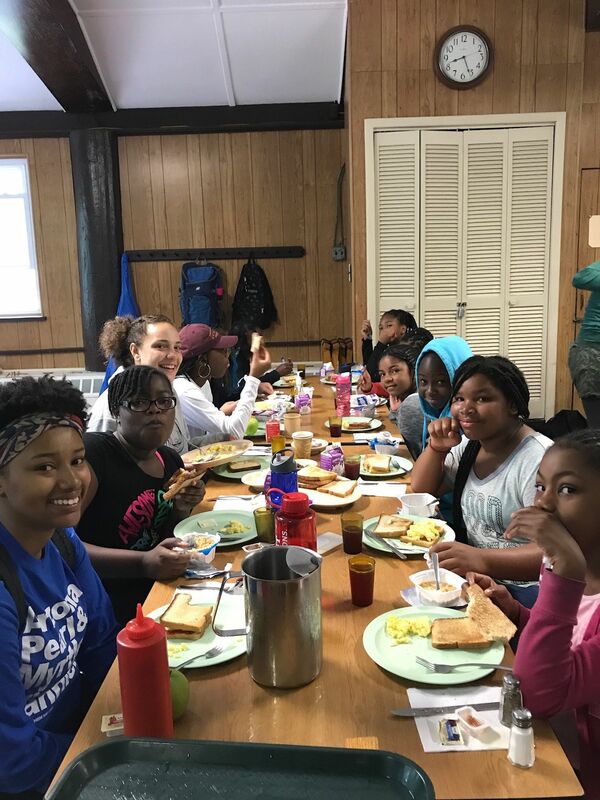 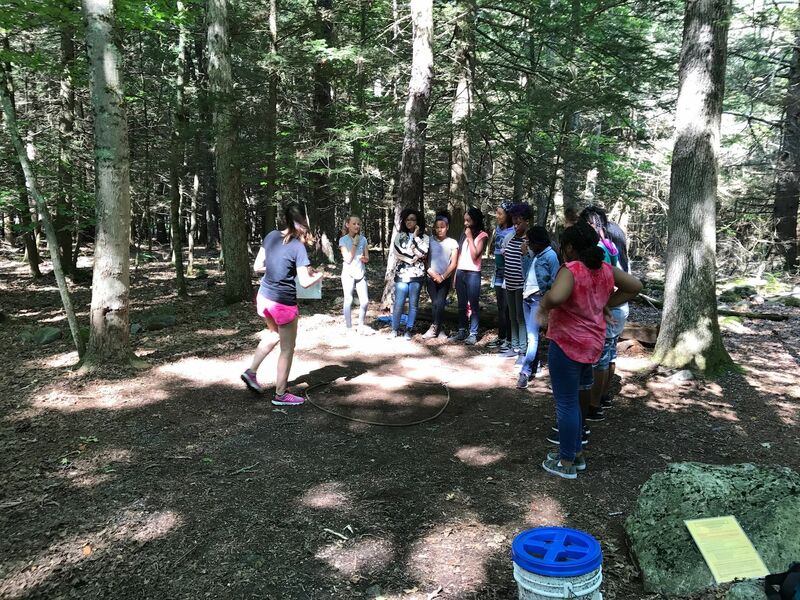 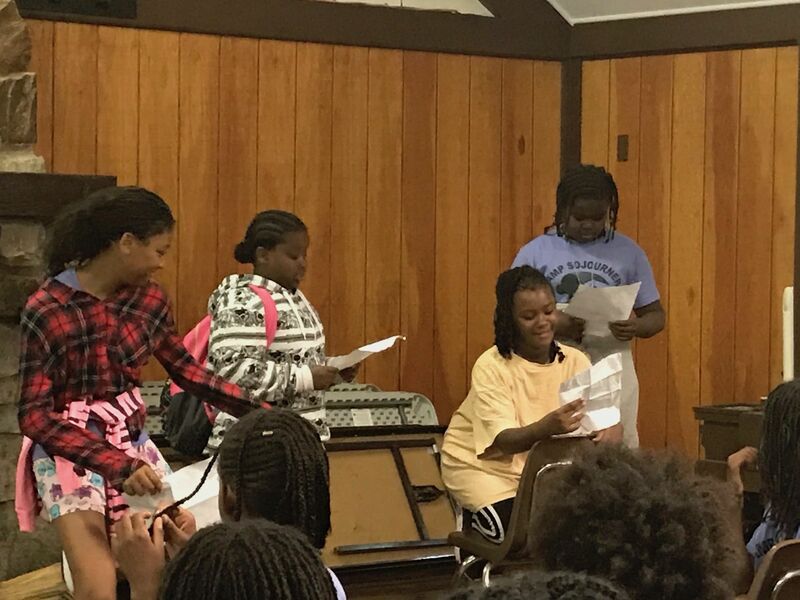 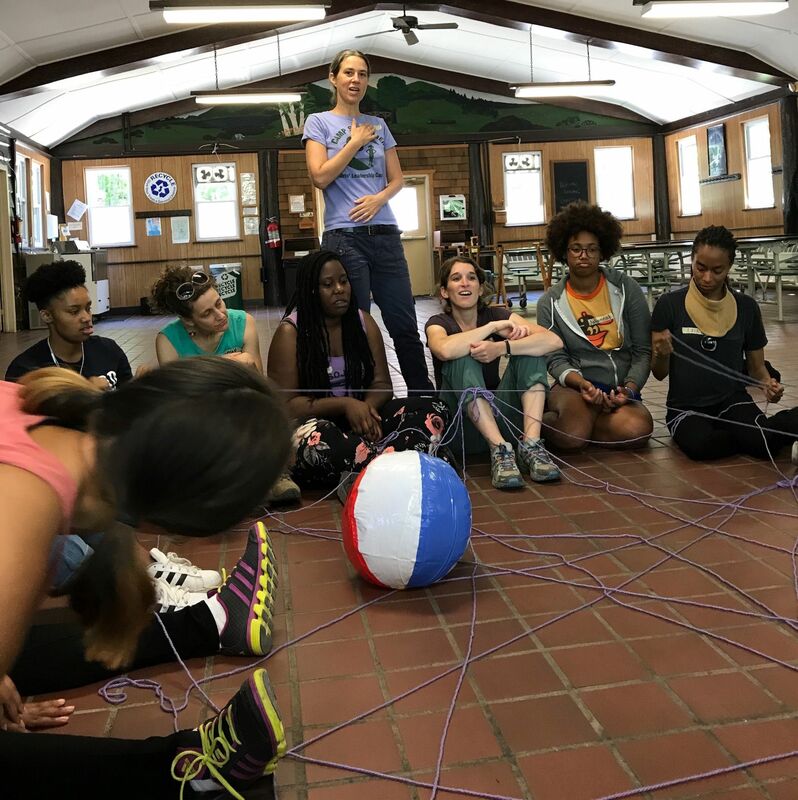 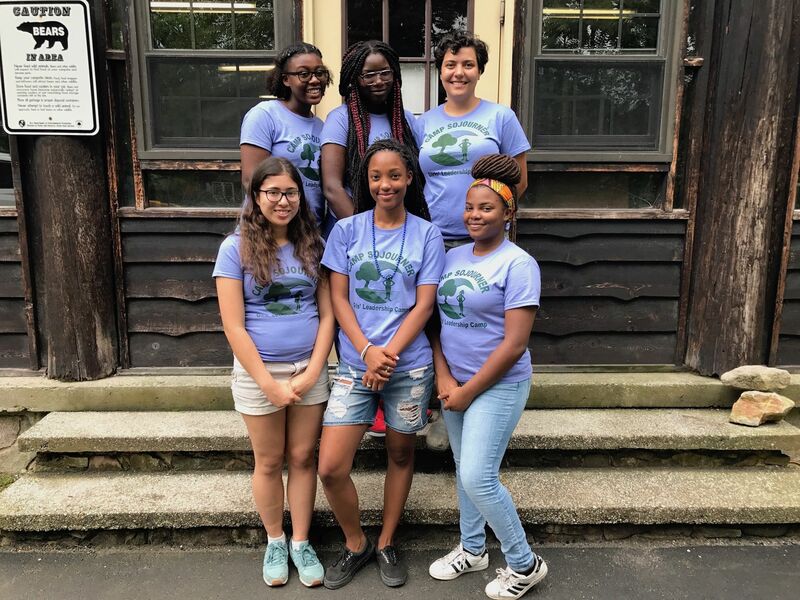 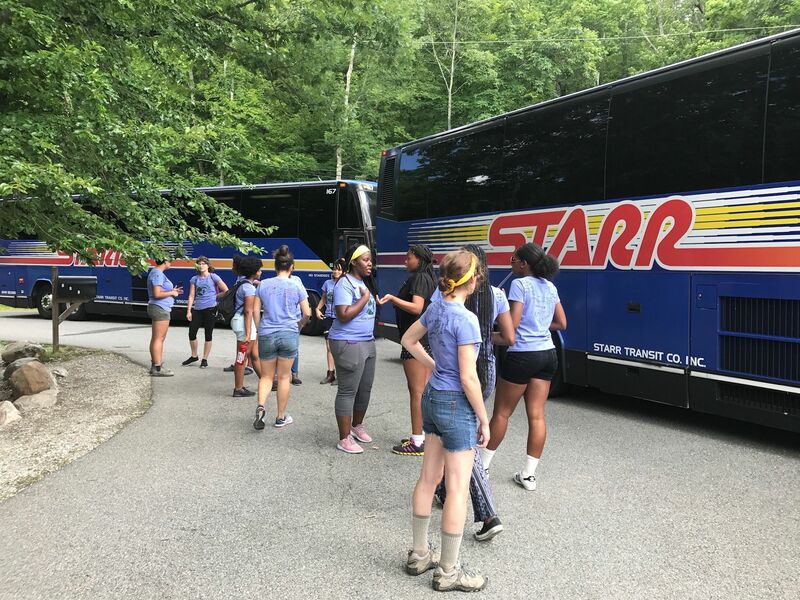 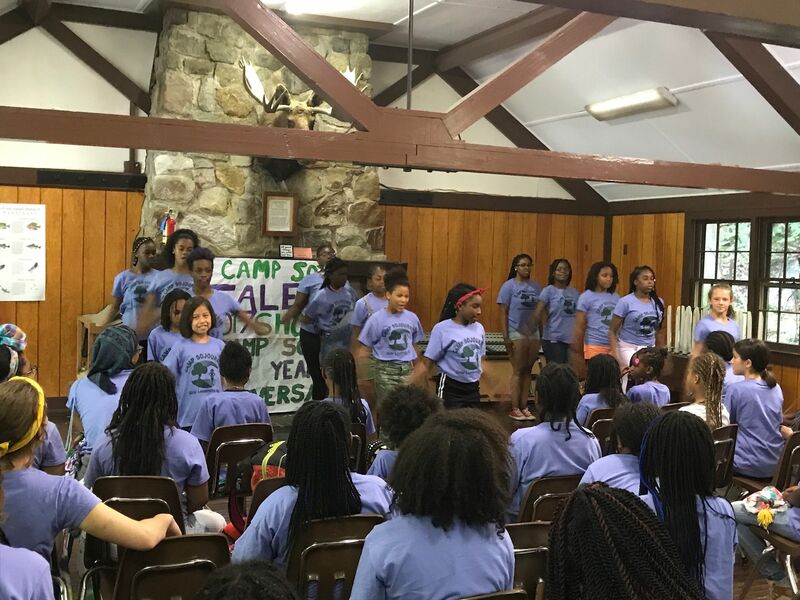 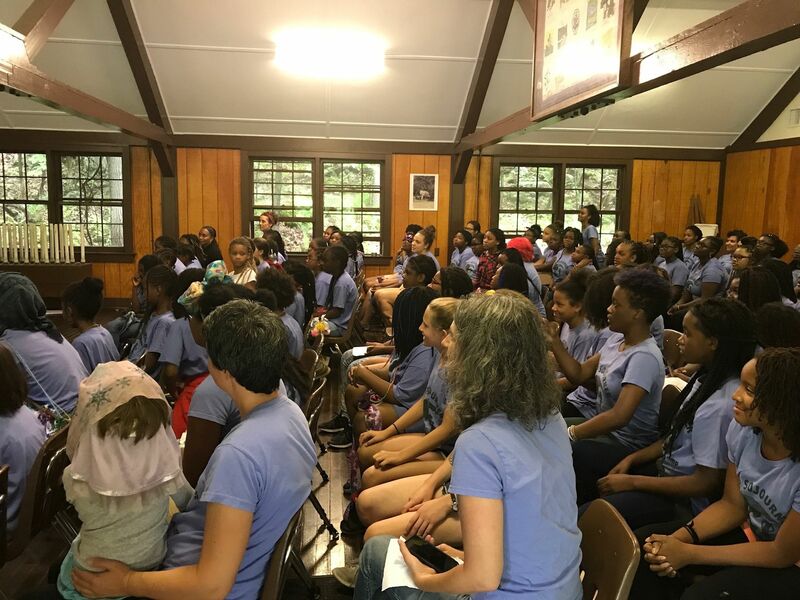 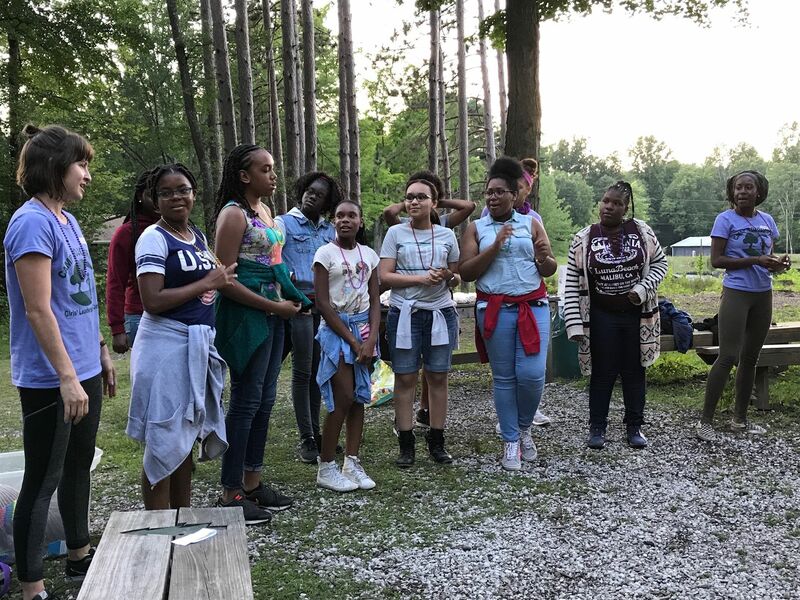 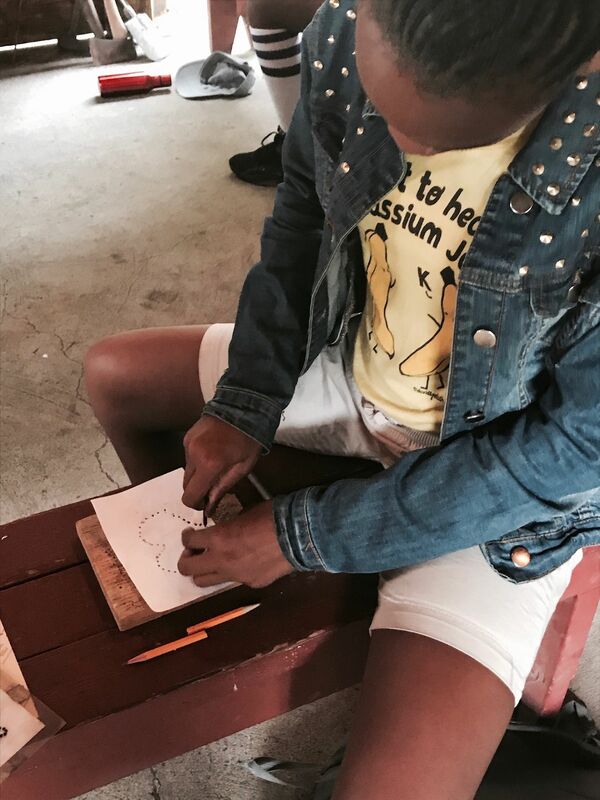 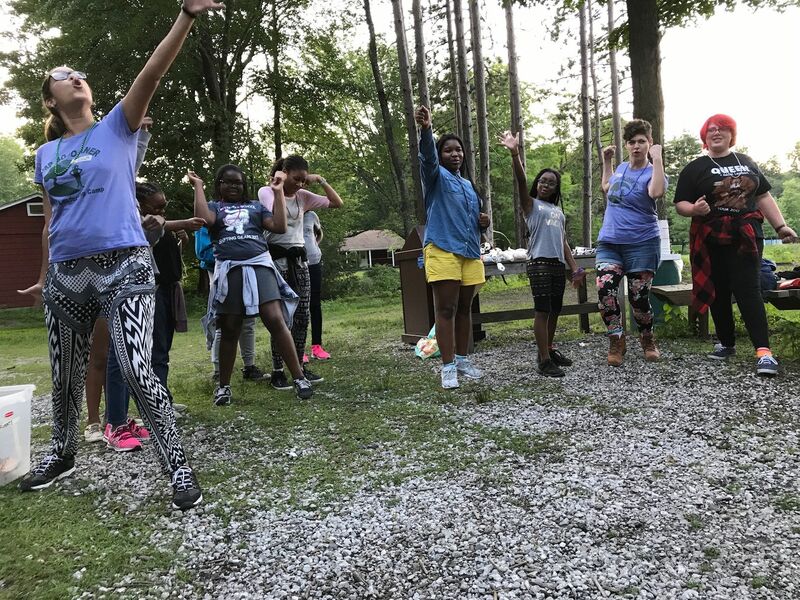 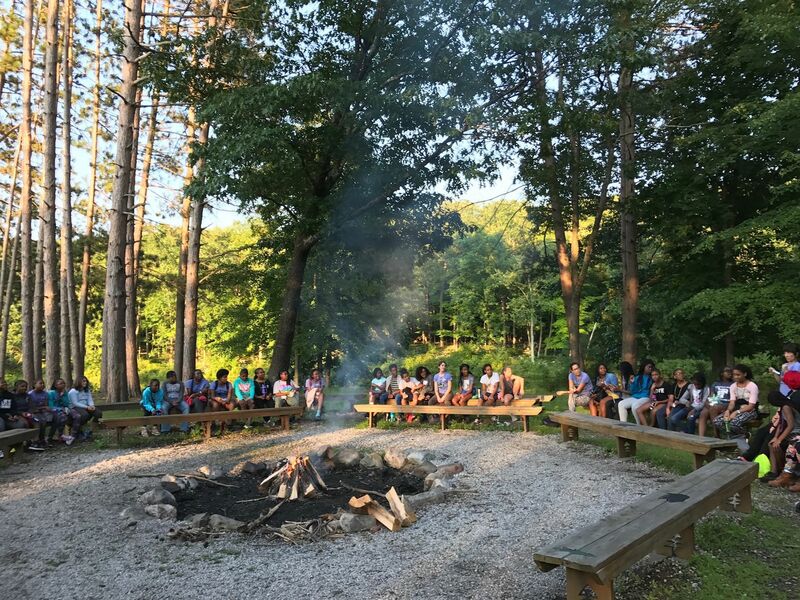 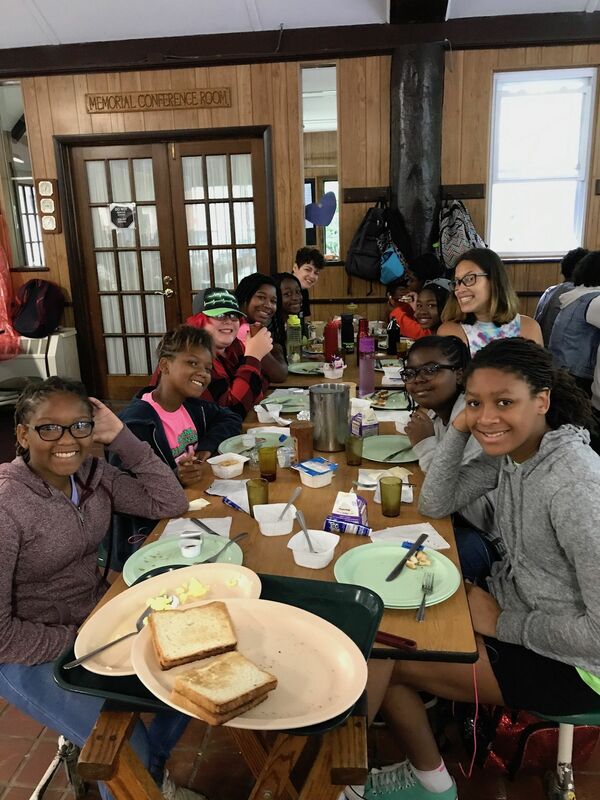 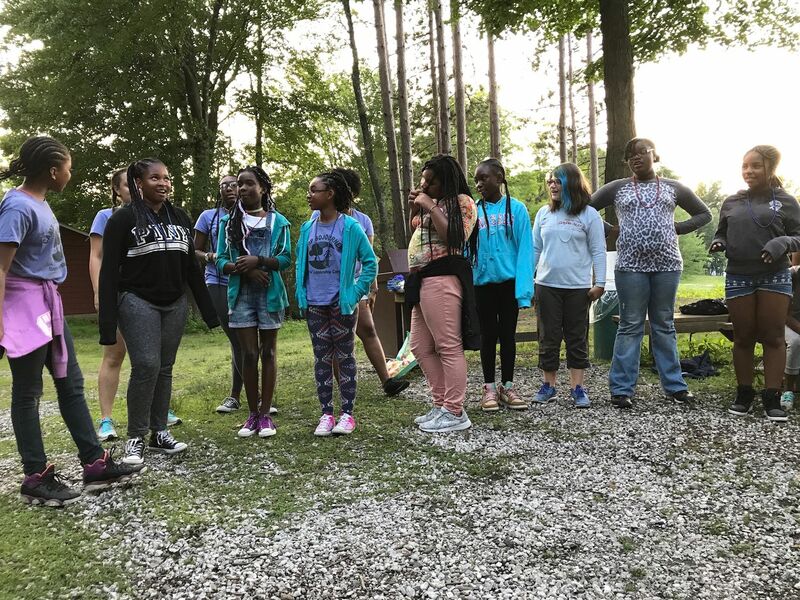 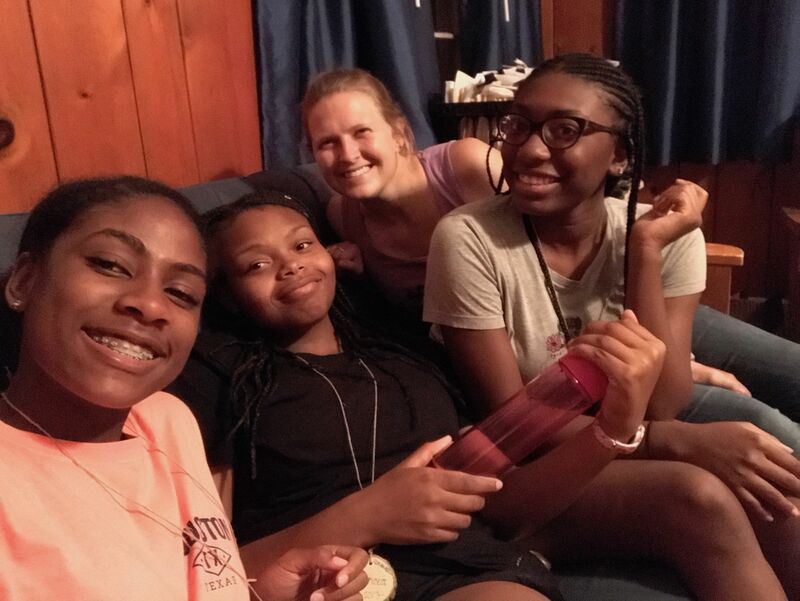 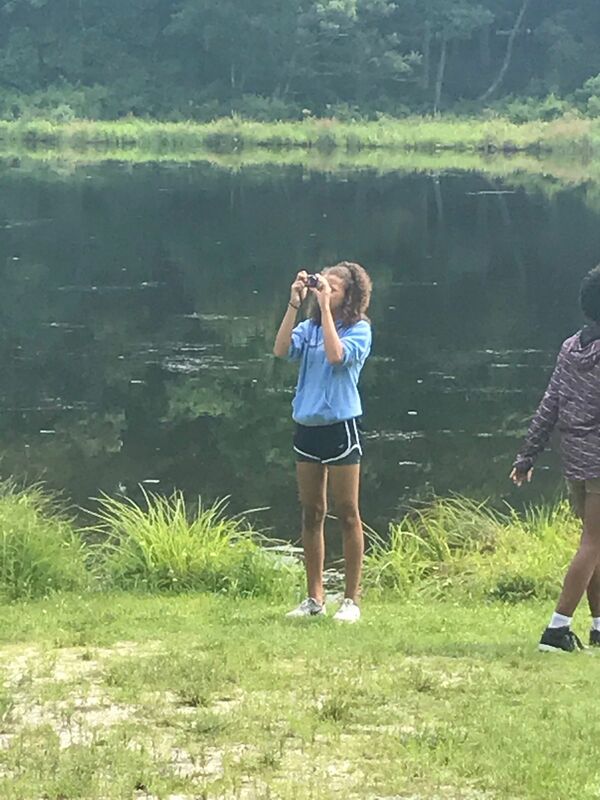 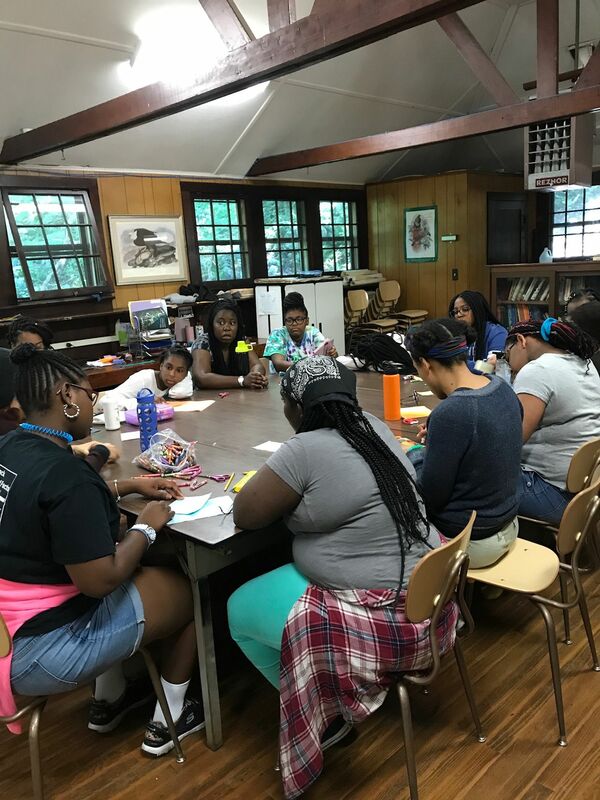 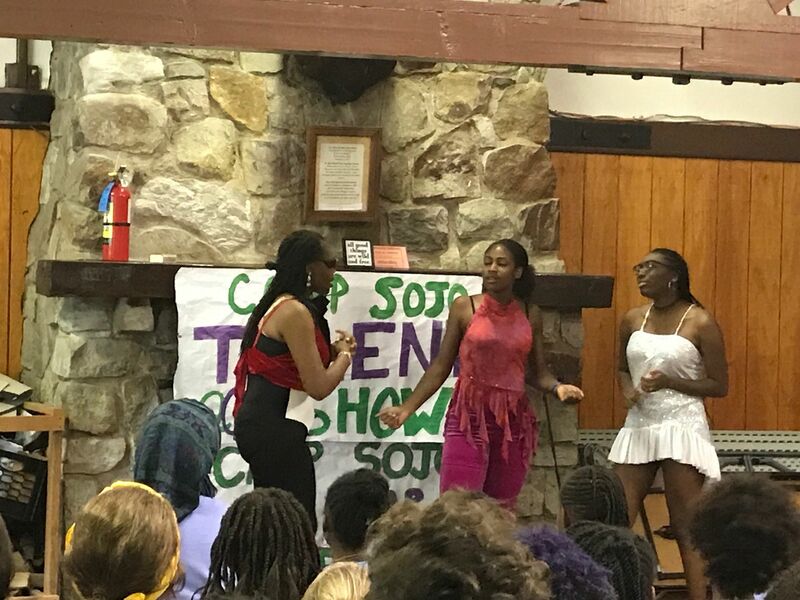 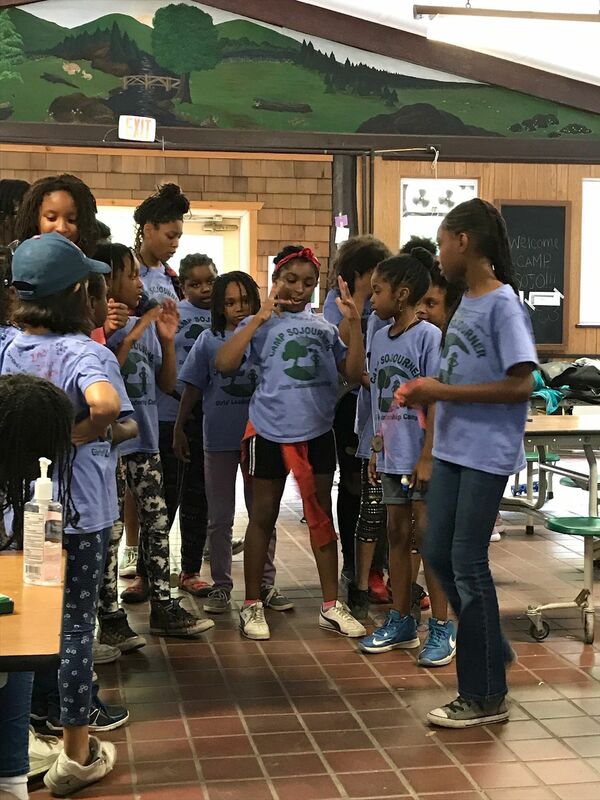 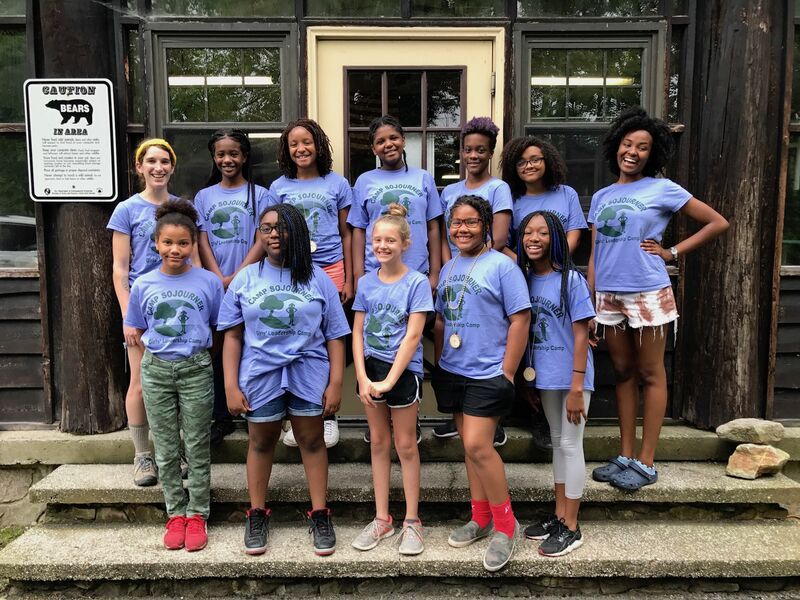 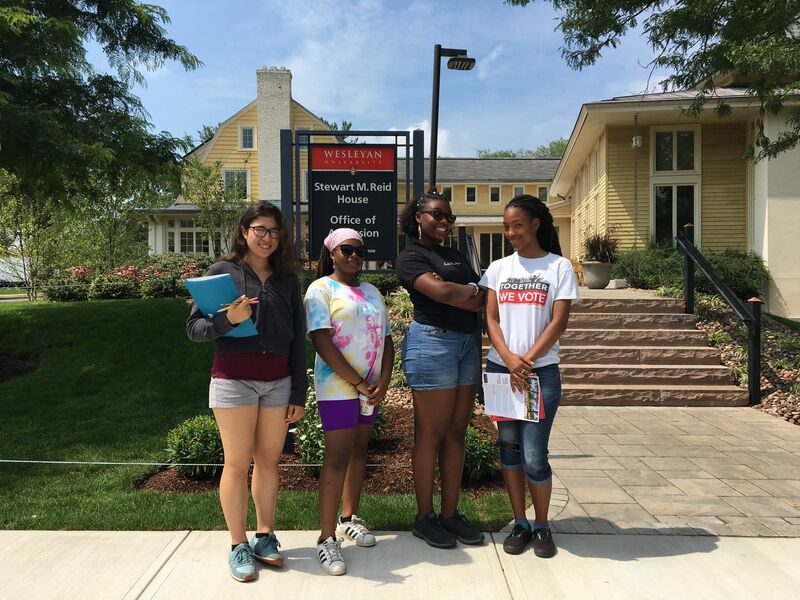 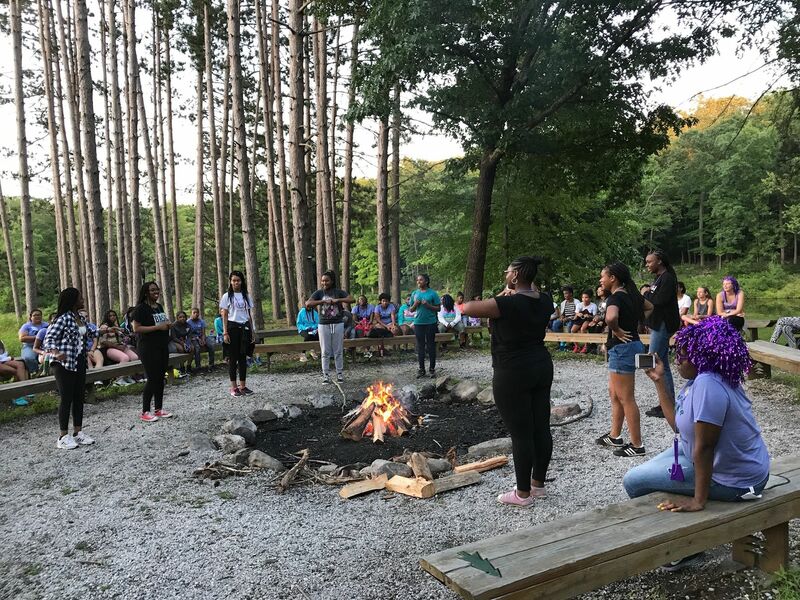 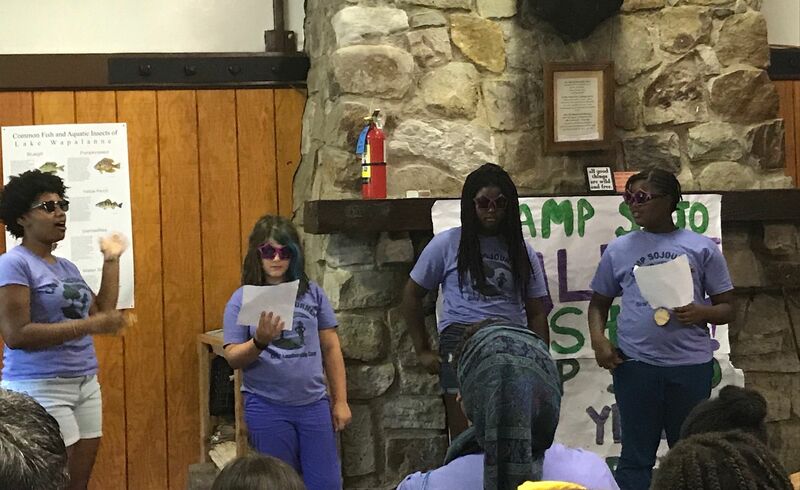 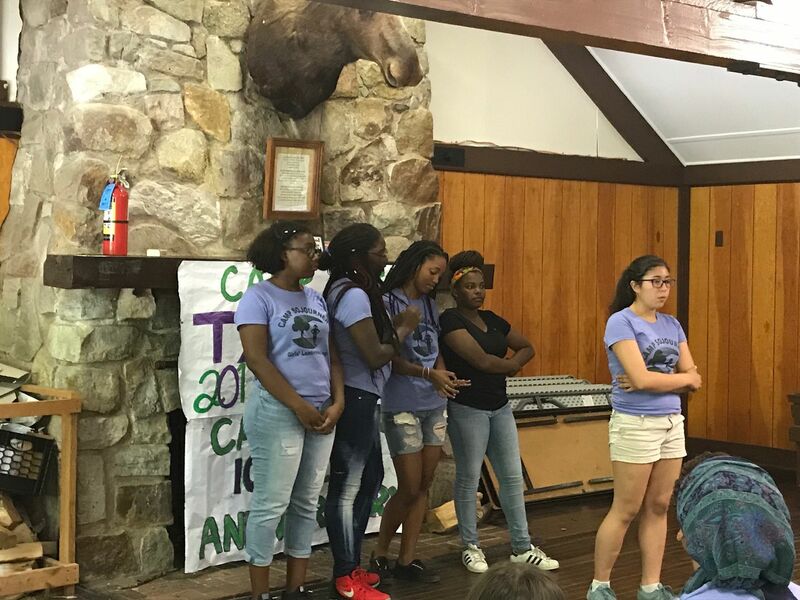 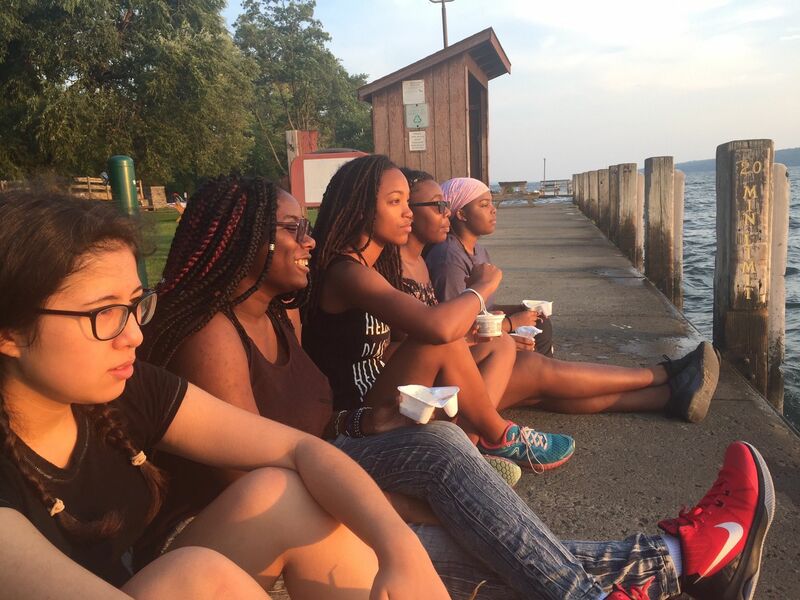 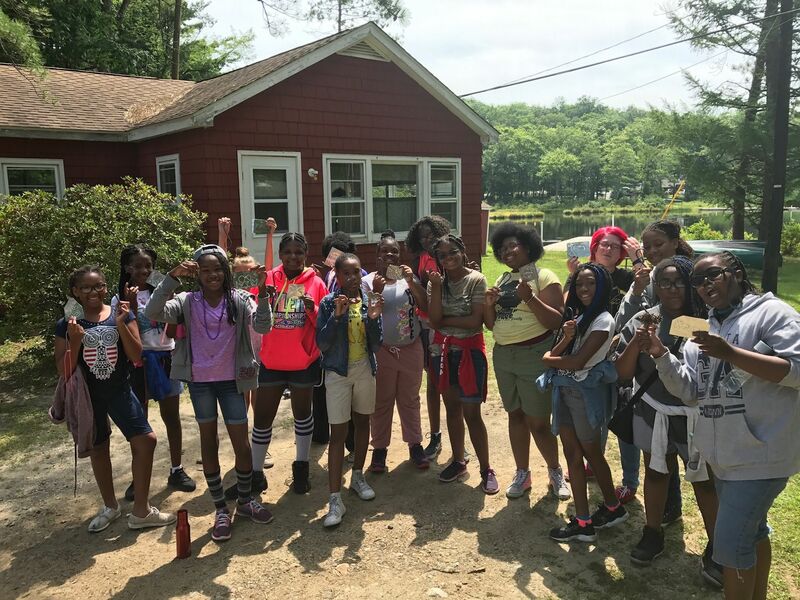 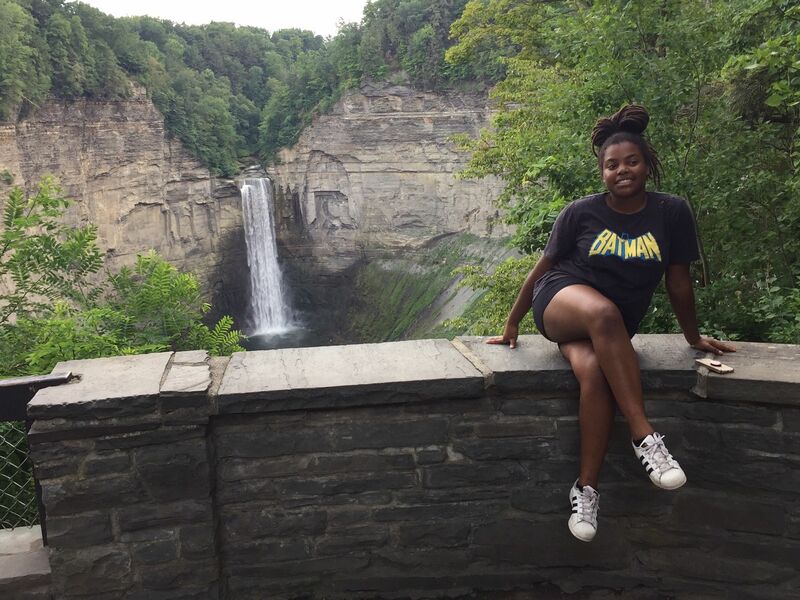 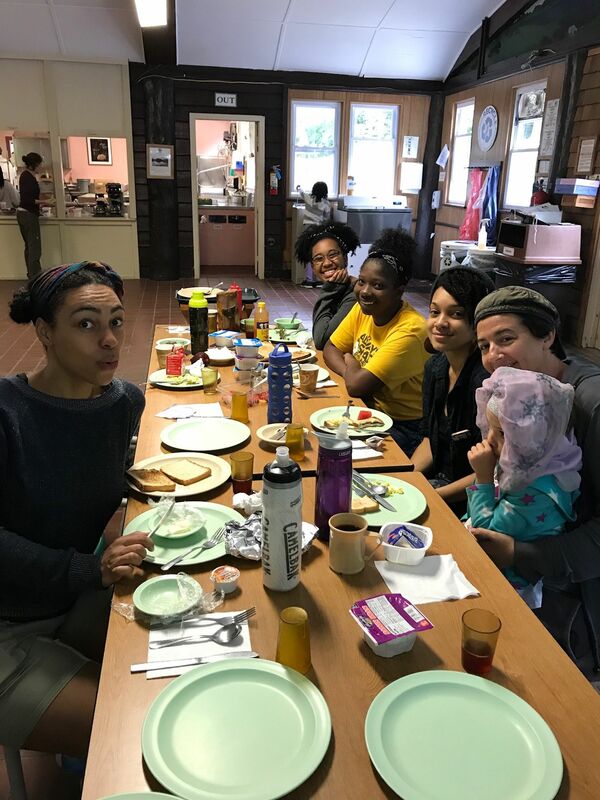 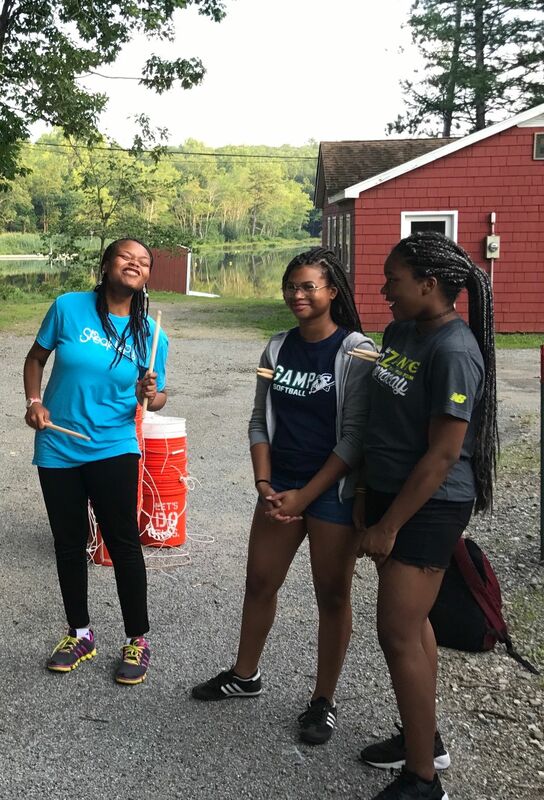 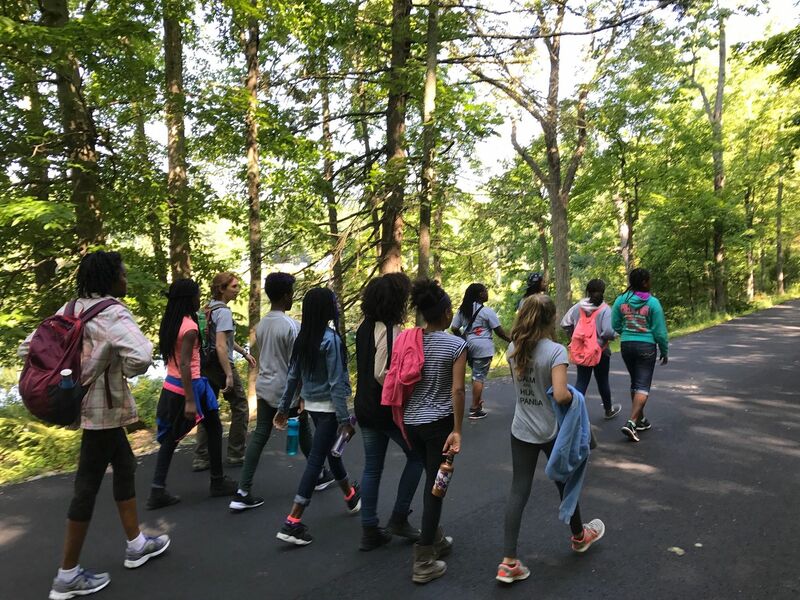 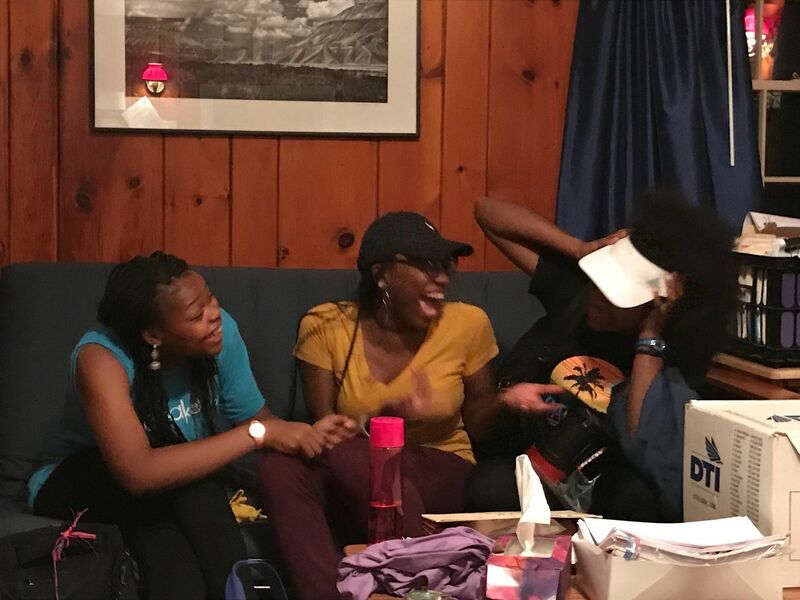 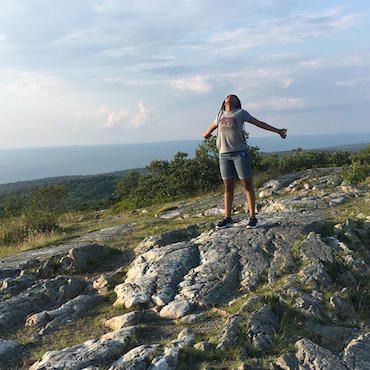 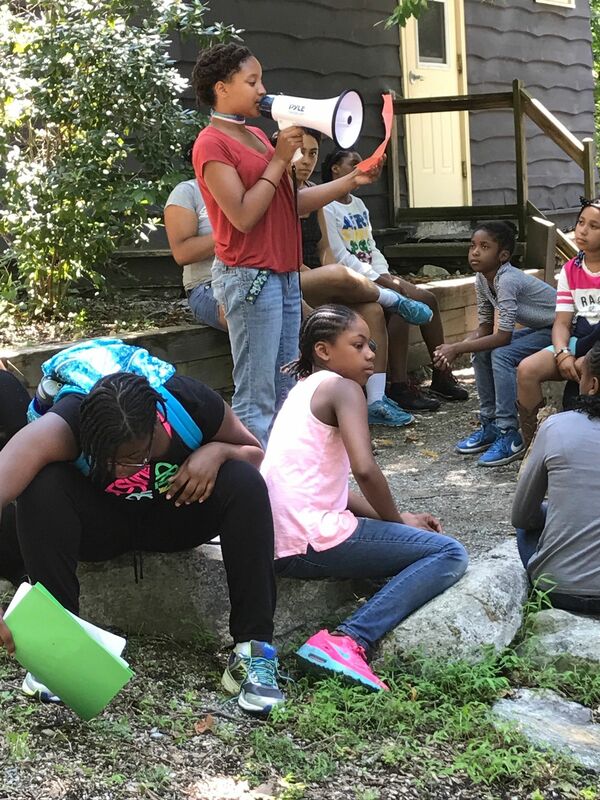 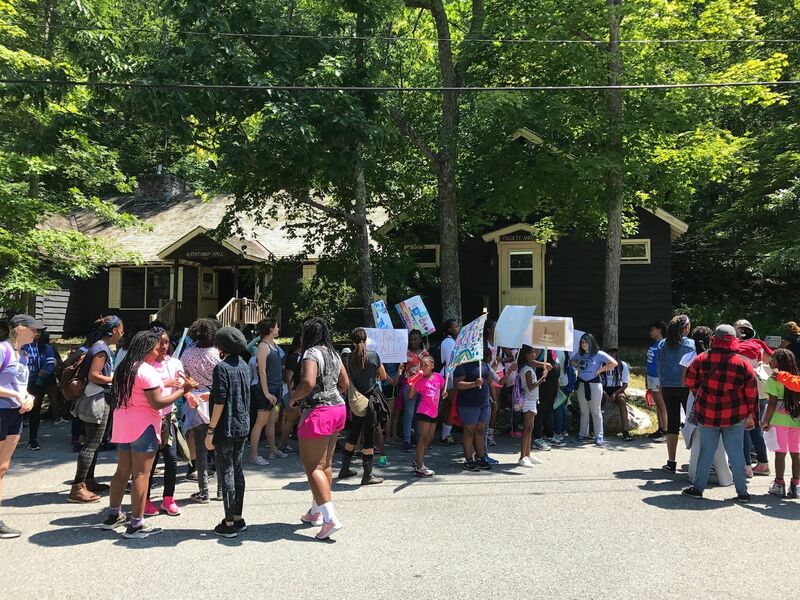 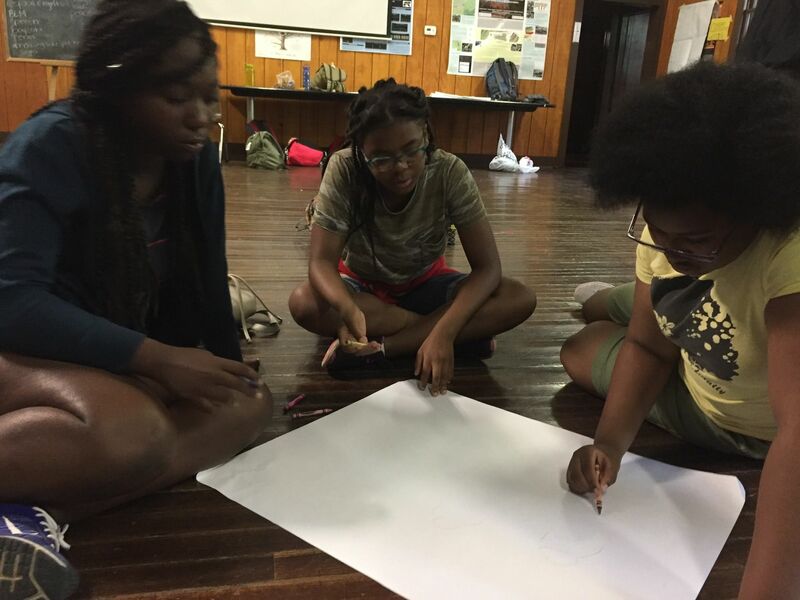 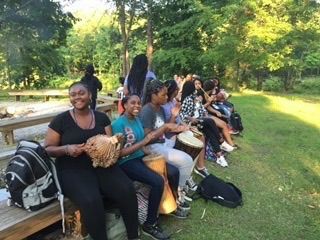 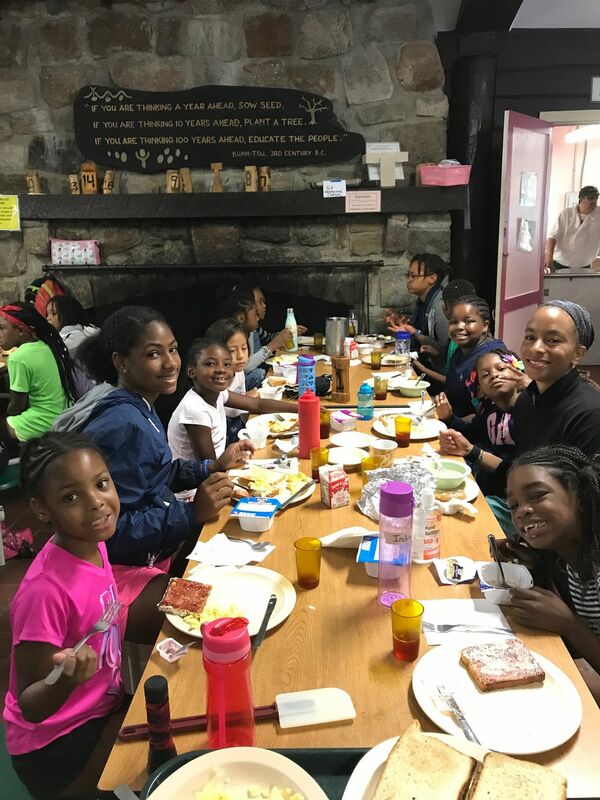 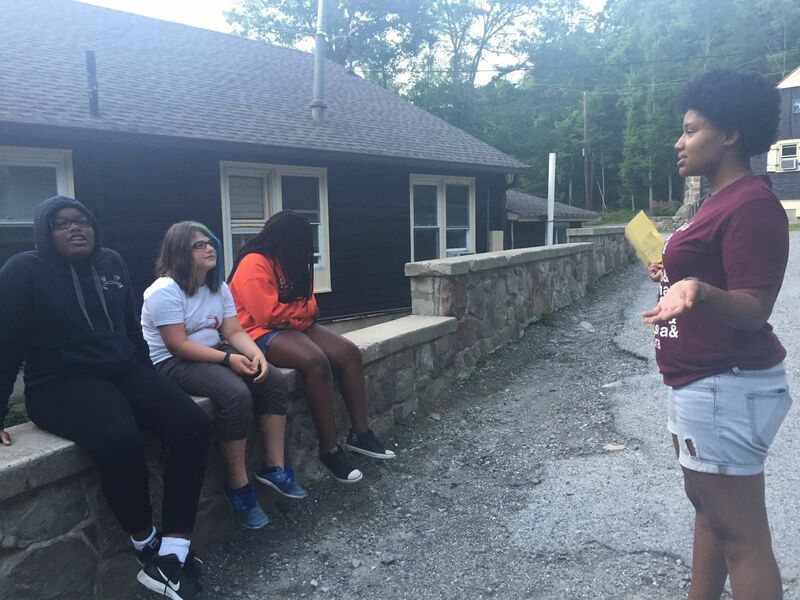 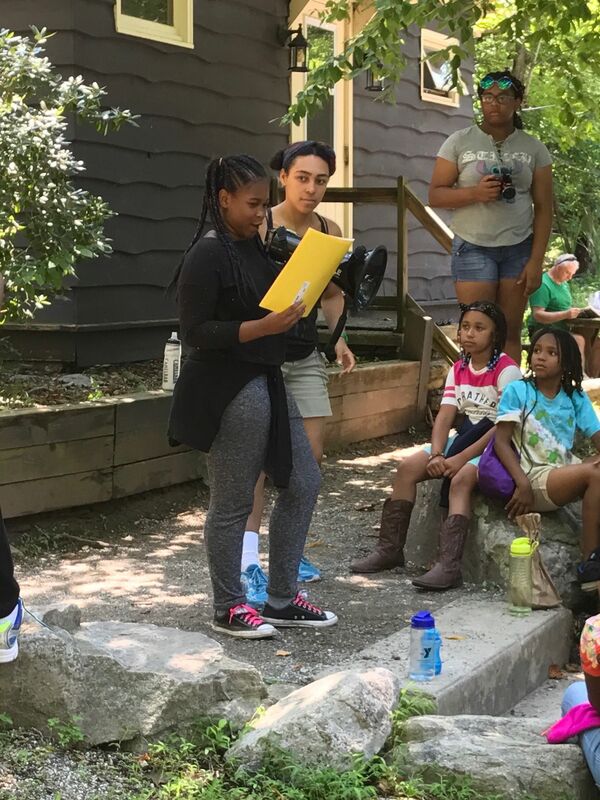 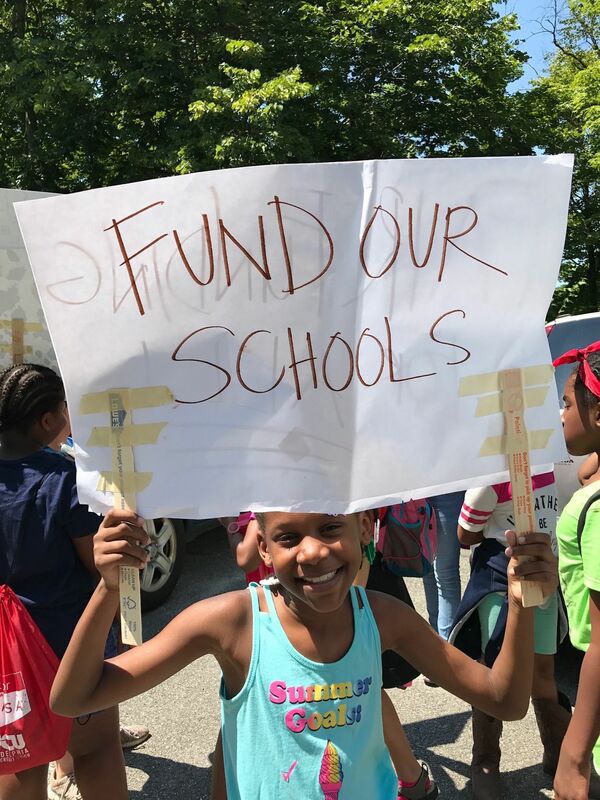 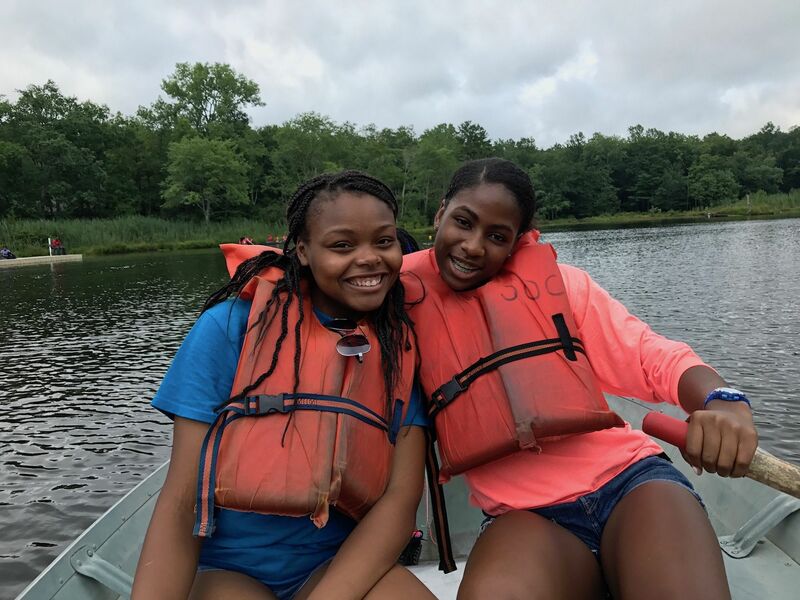 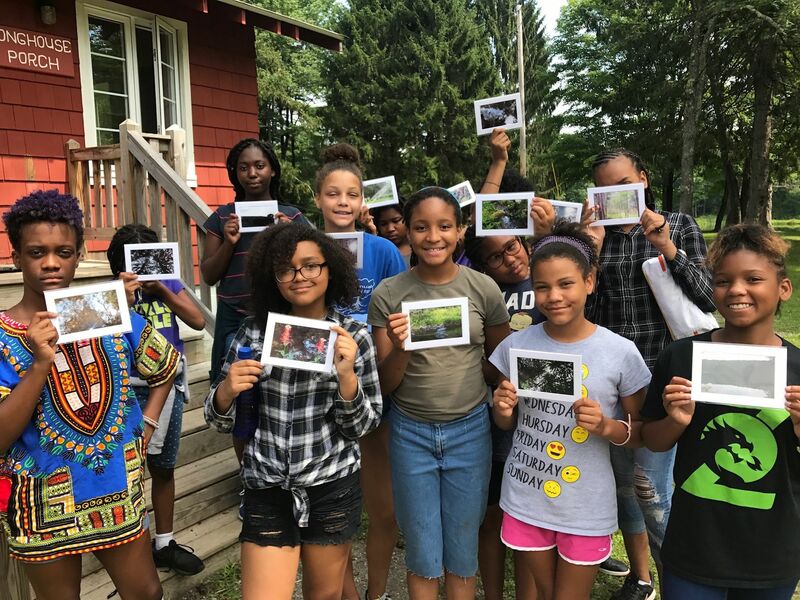 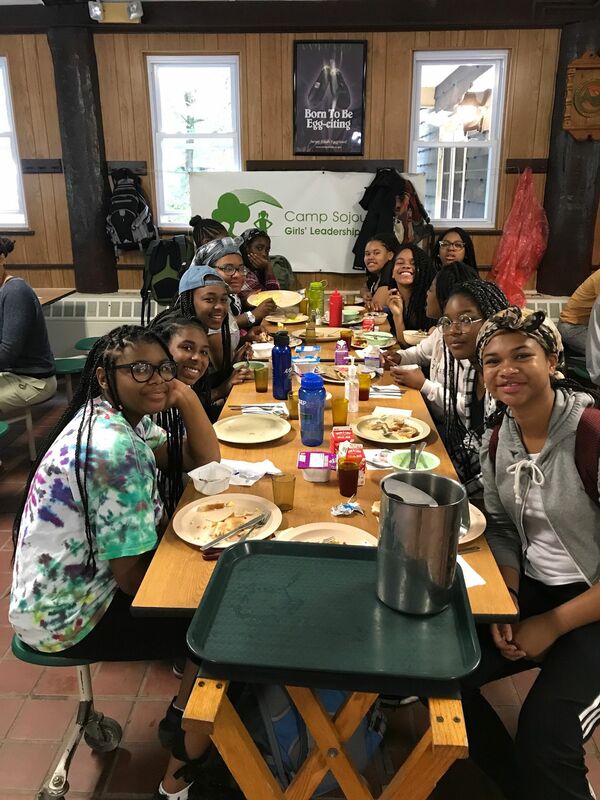 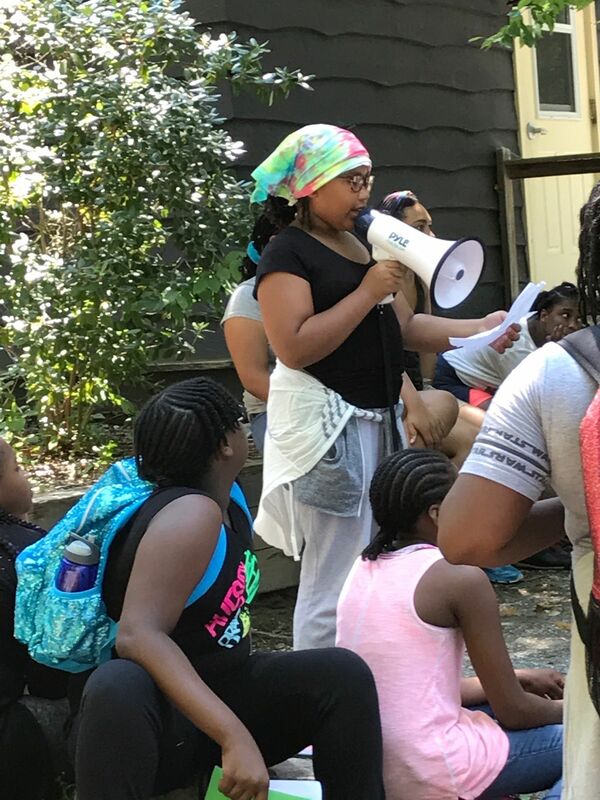 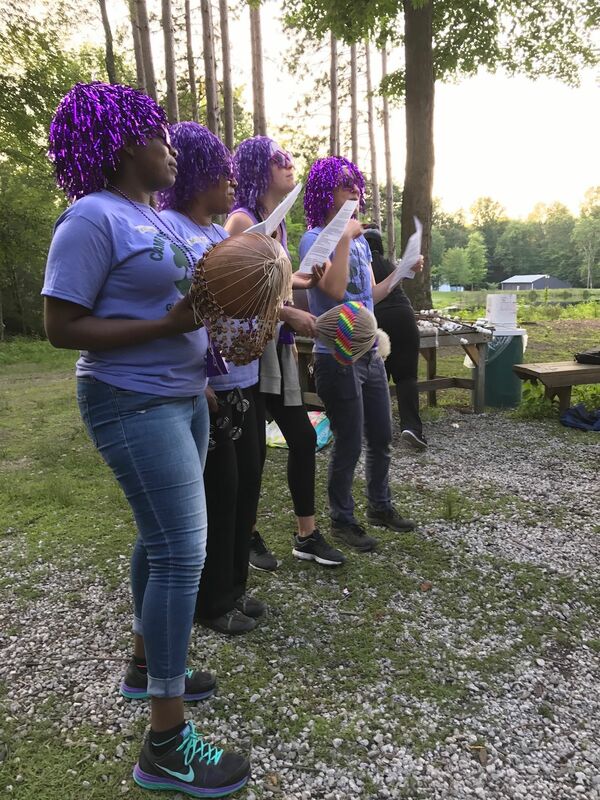 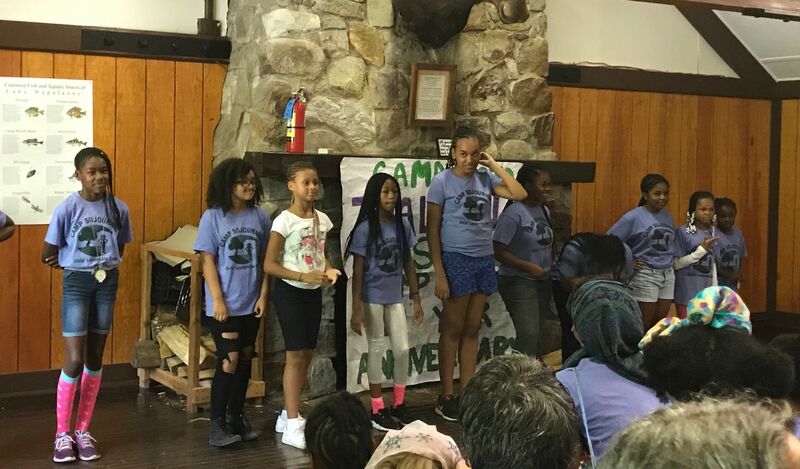 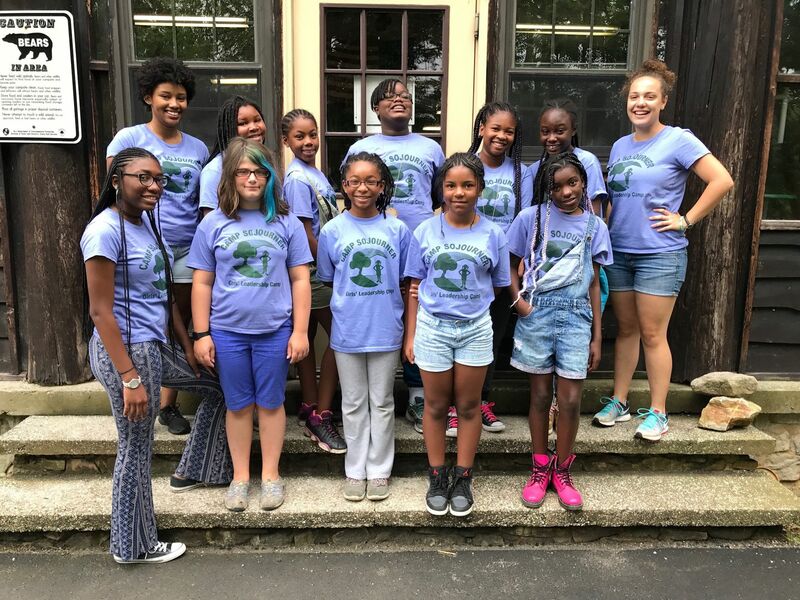 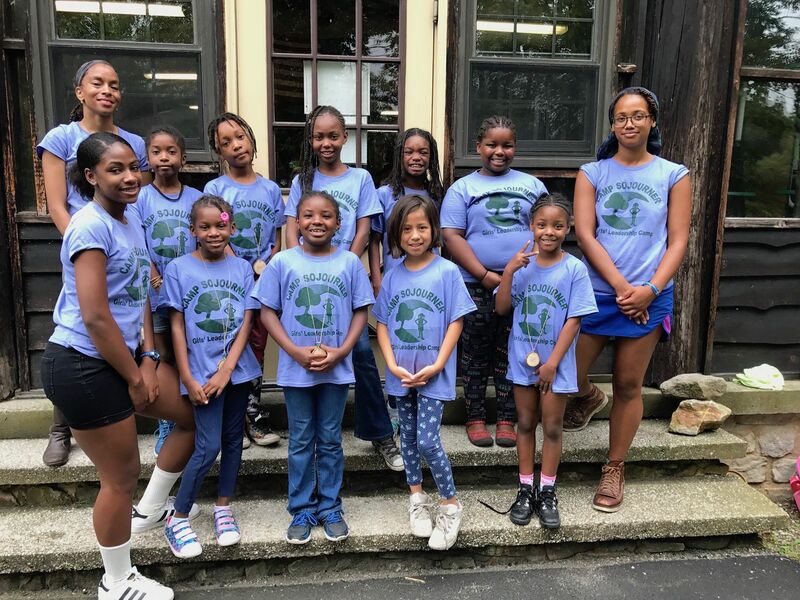 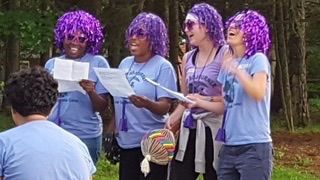 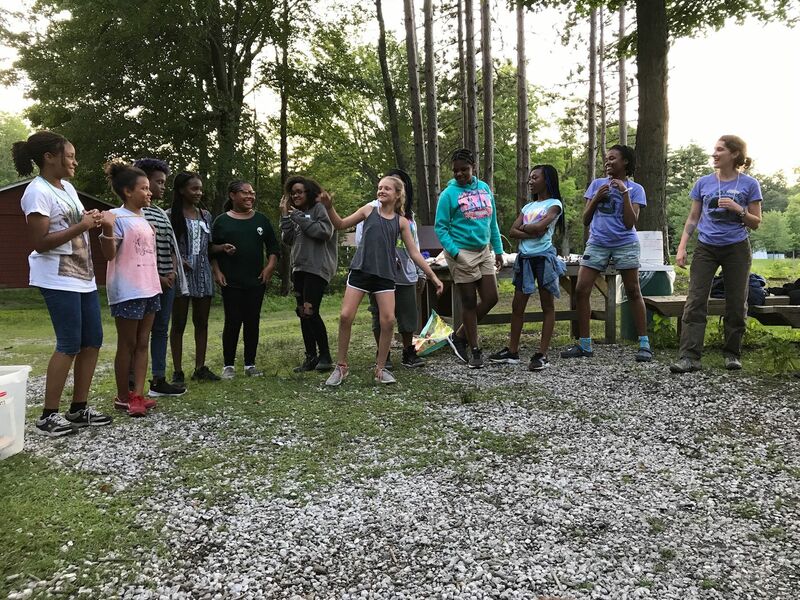 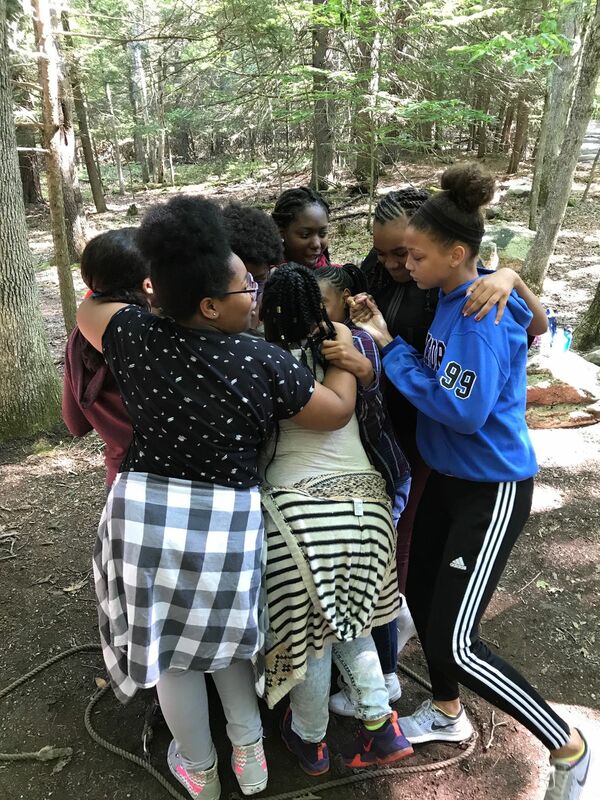 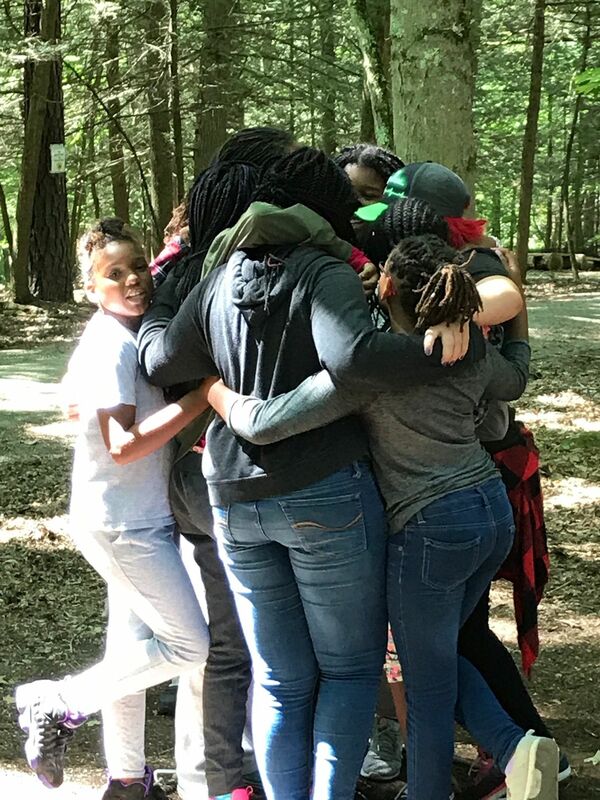 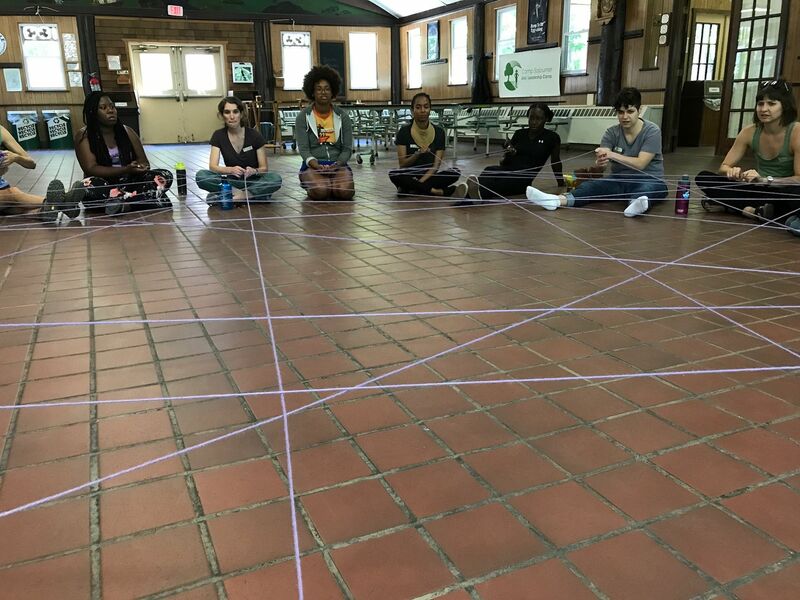 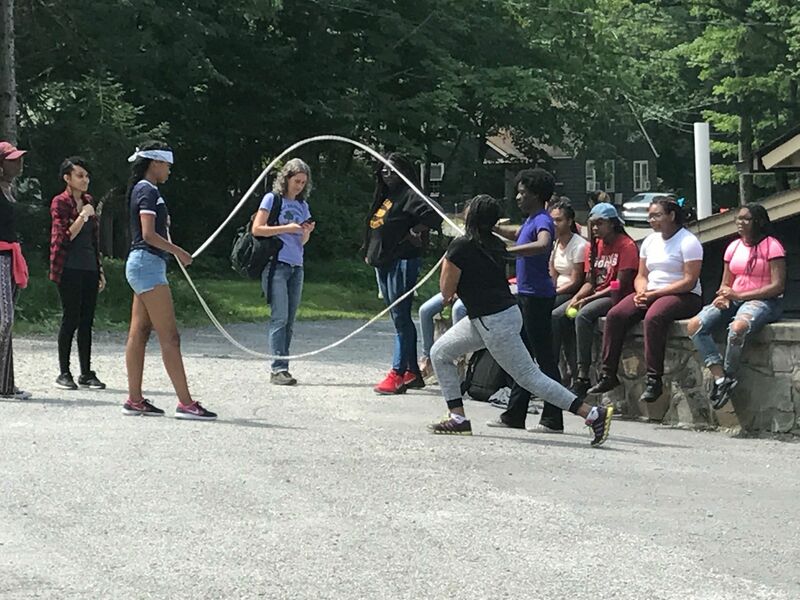 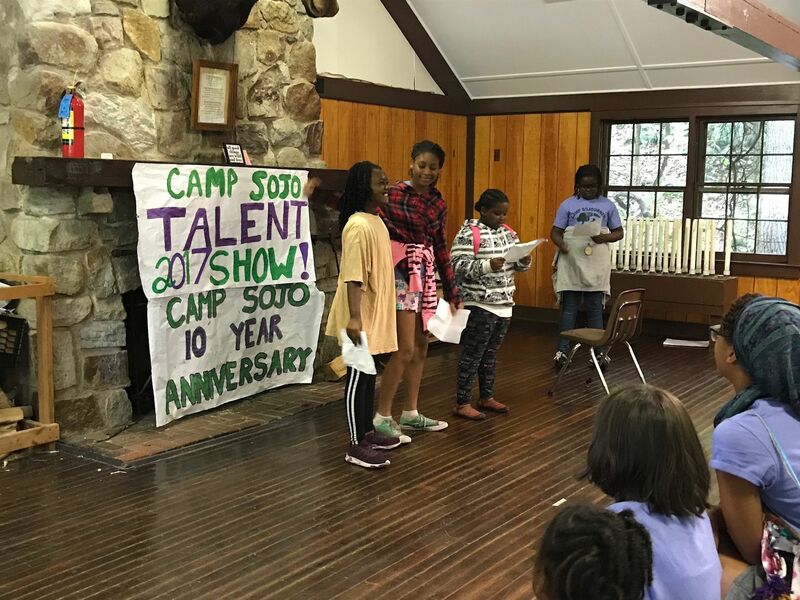 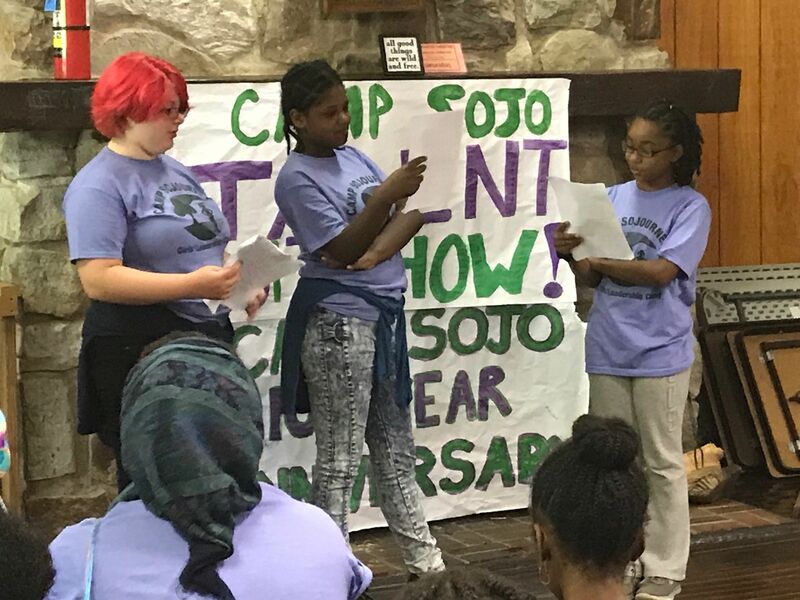 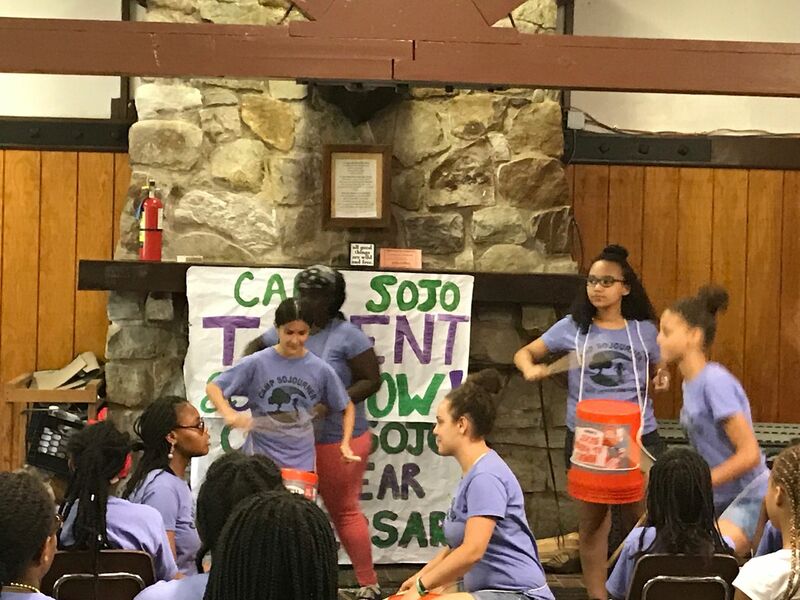 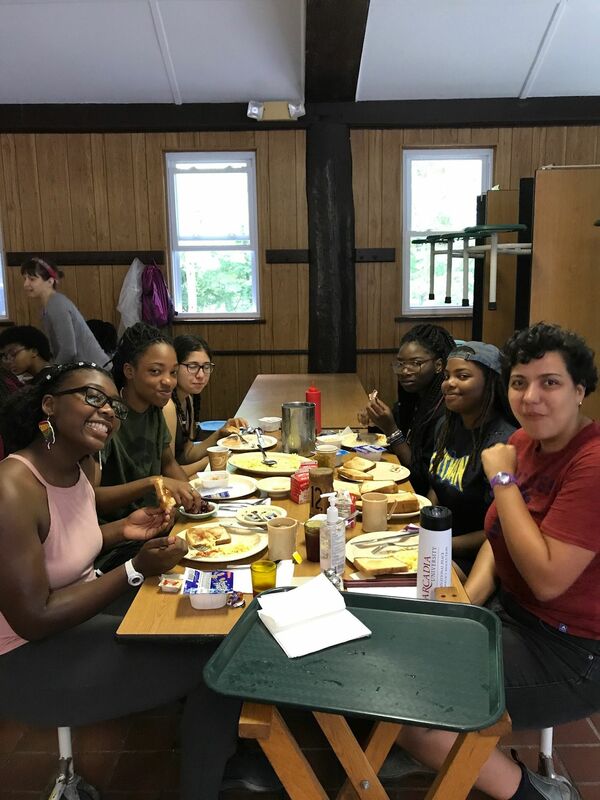 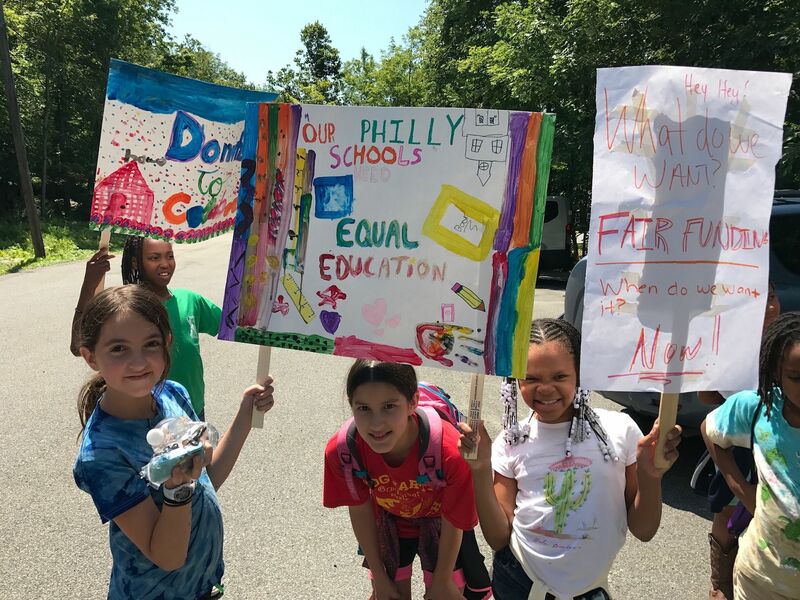 We introduced two new programs: our College Prep Squad (CPS) which spent the week visiting colleges and camping in state parks, and a new social justice curriculum led by our teen leaders, where girls learned skills including messaging, public speaking, and strategy to advocate for school funding. 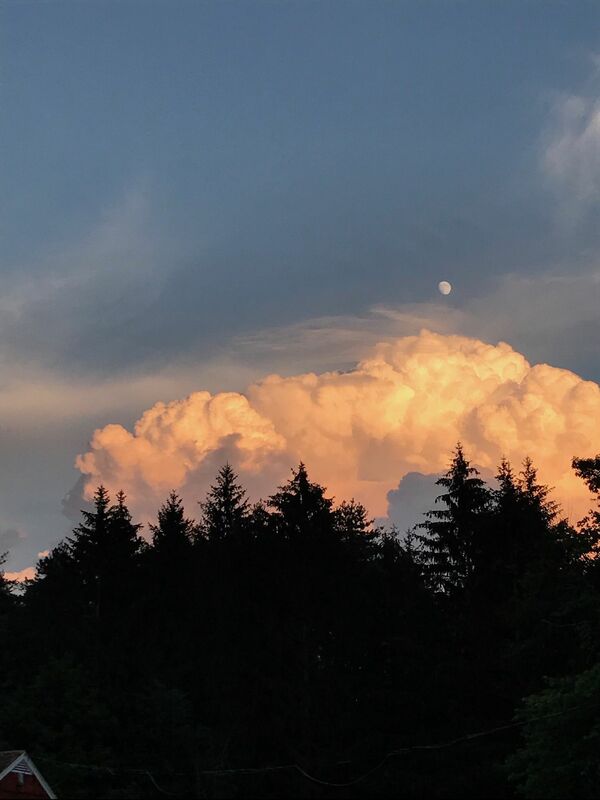 (Pictures below.) 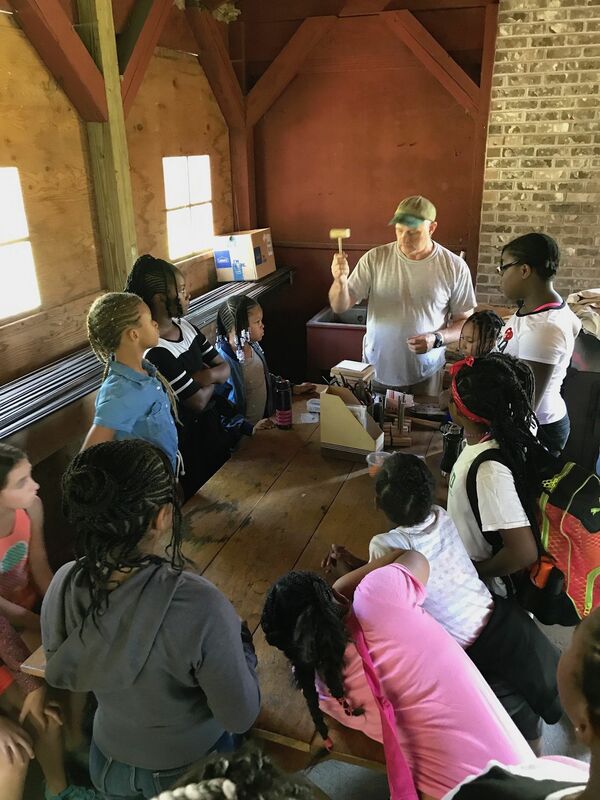 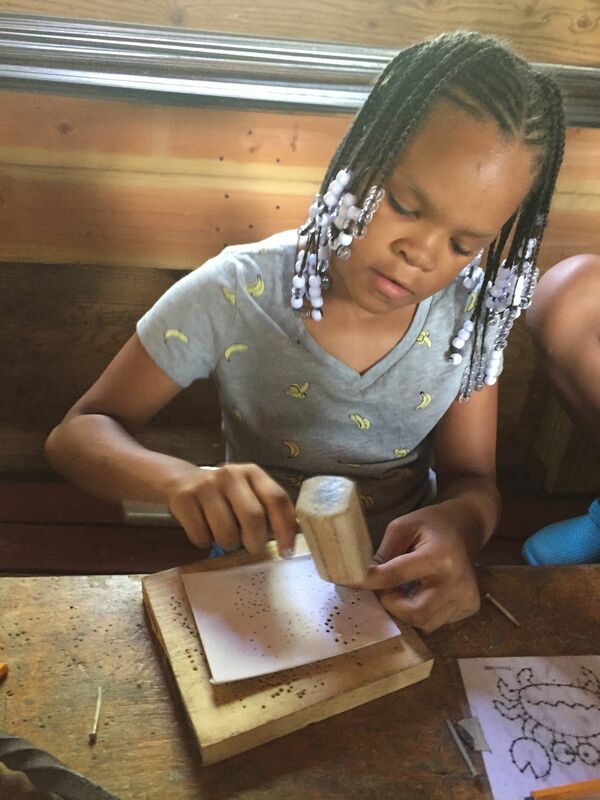 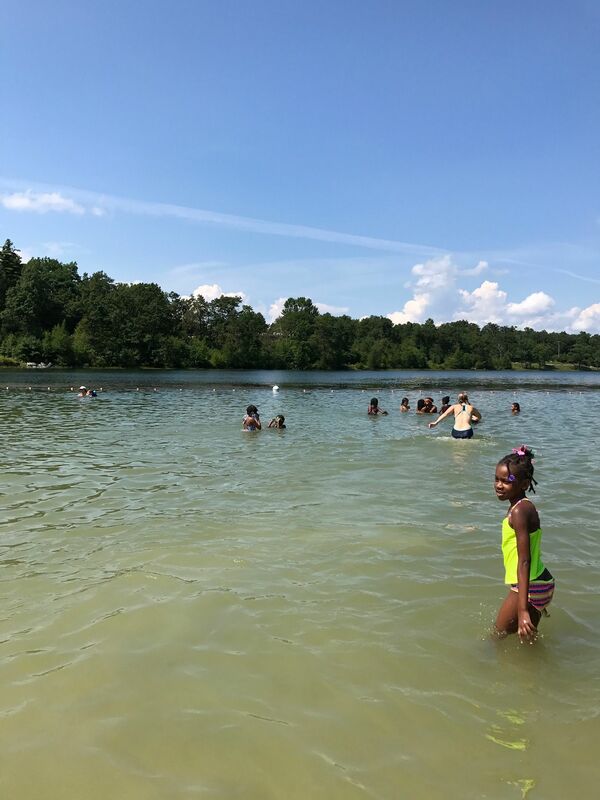 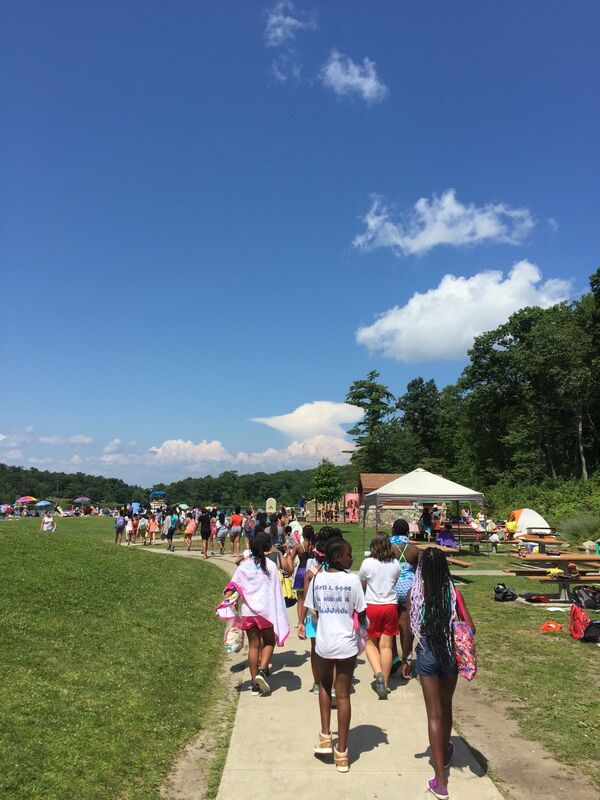 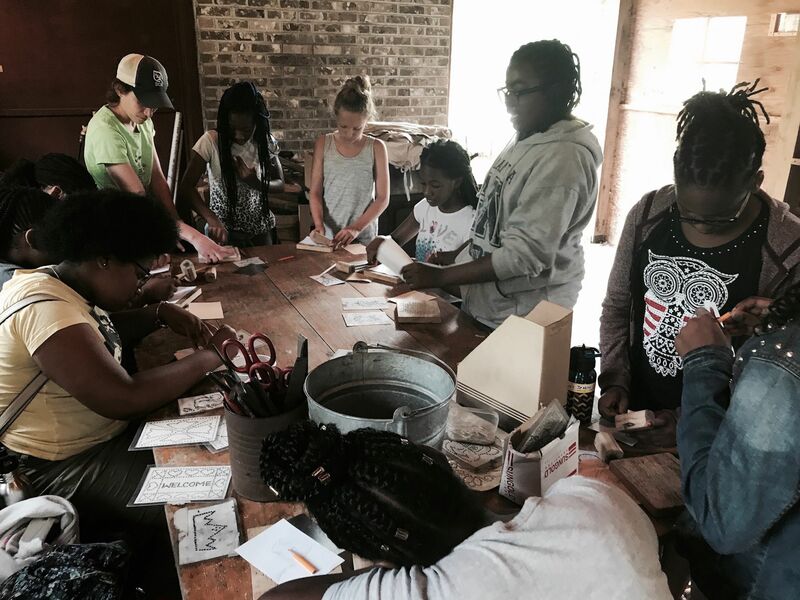 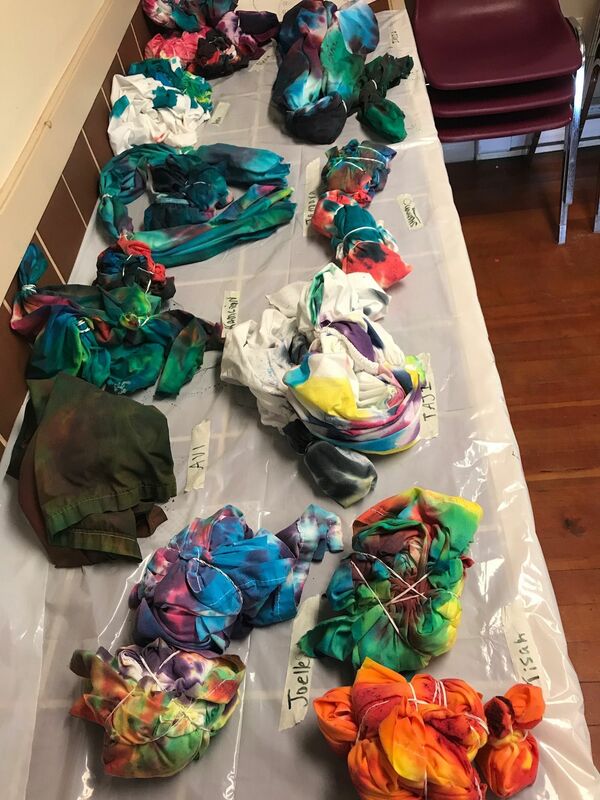 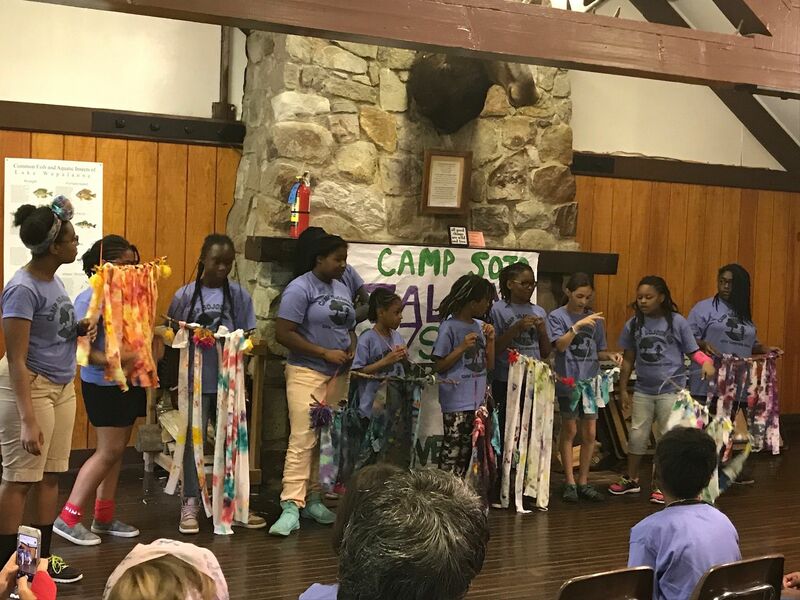 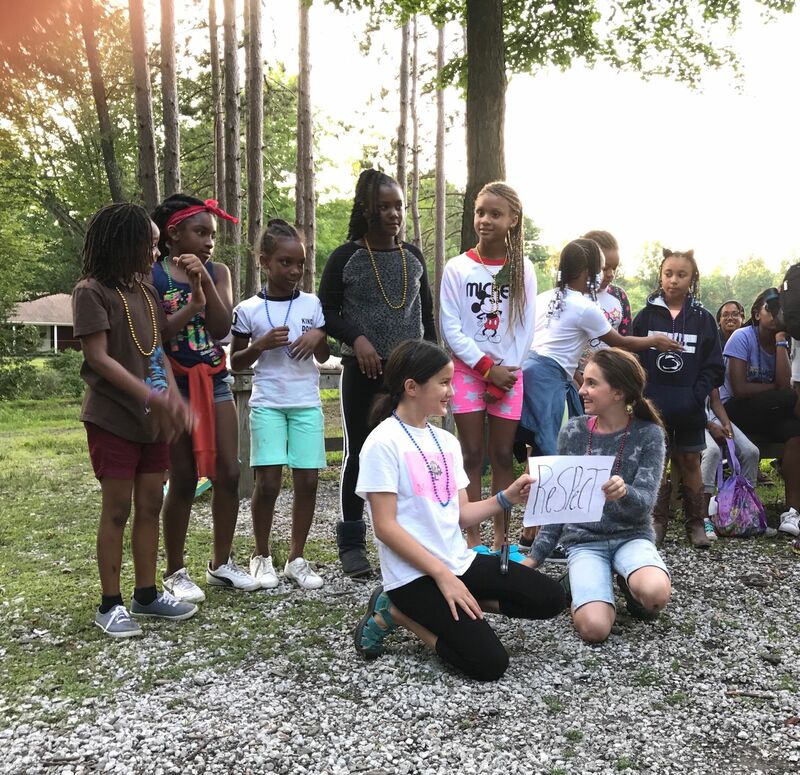 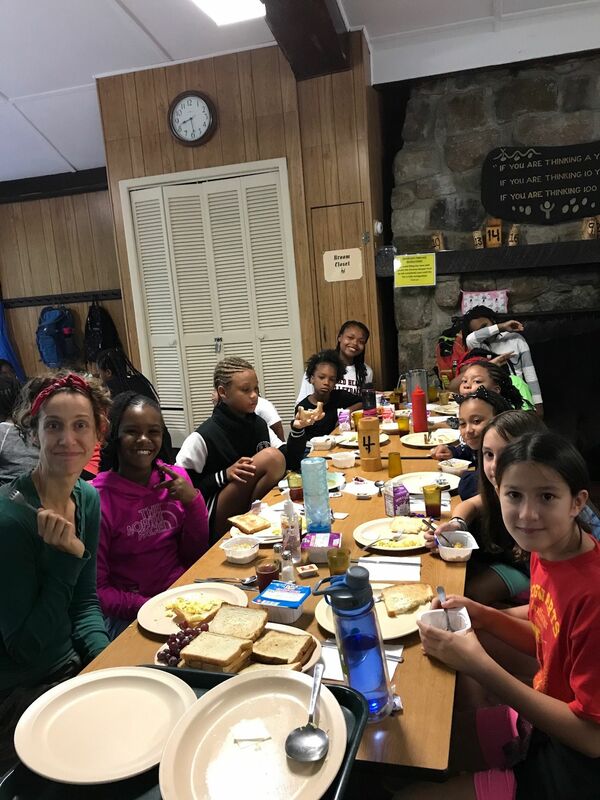 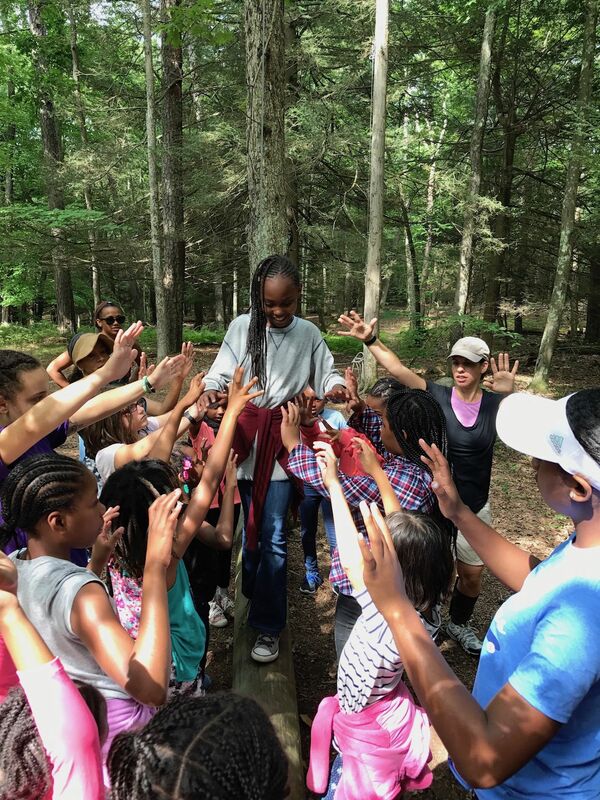 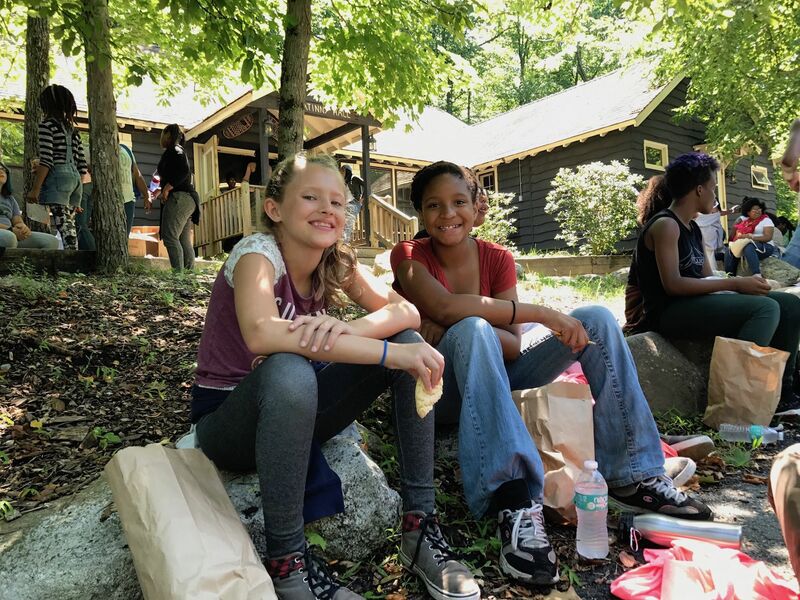 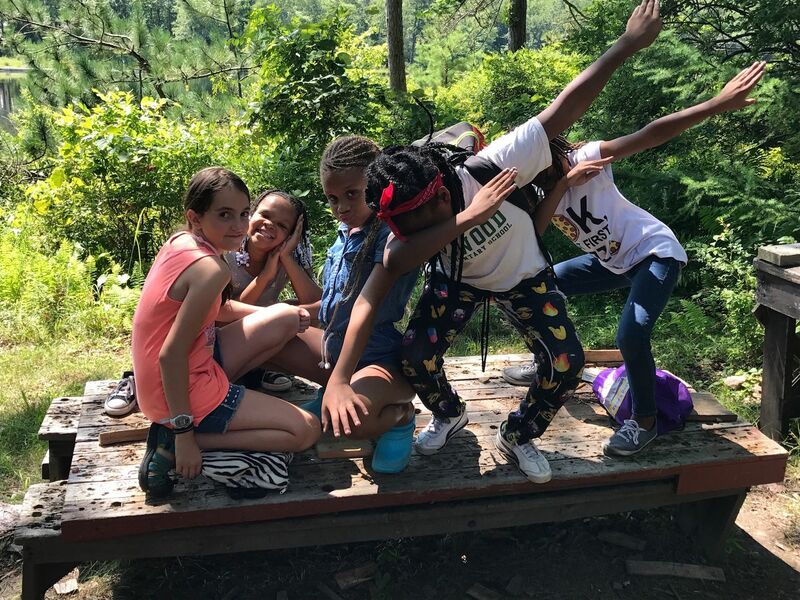 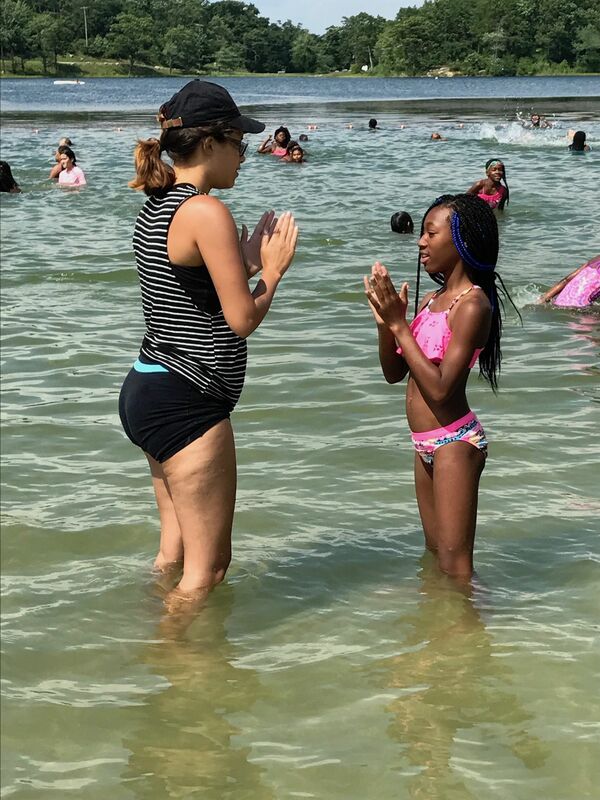 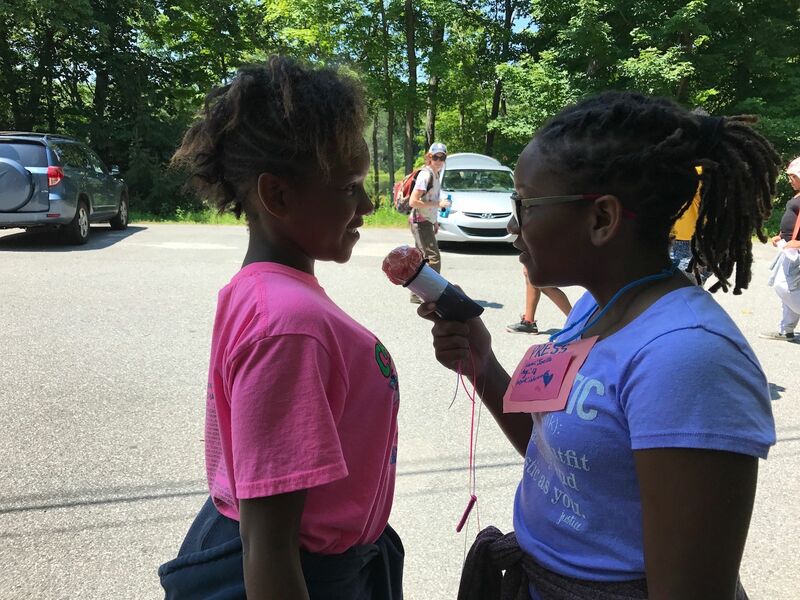 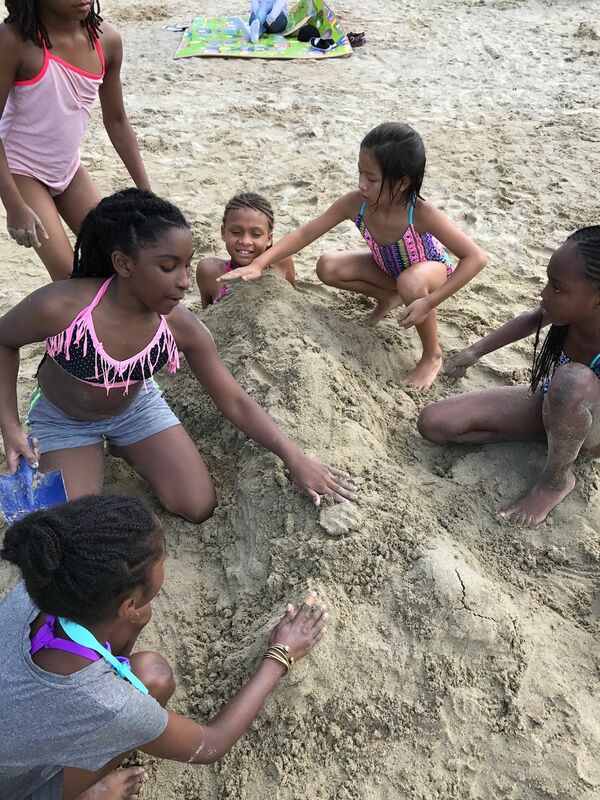 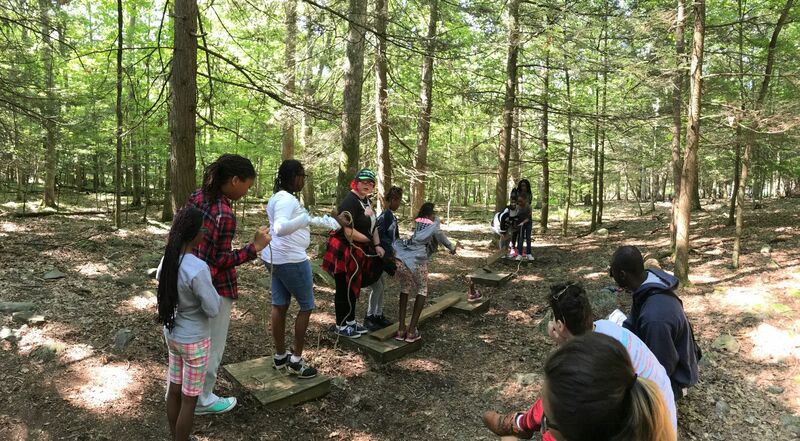 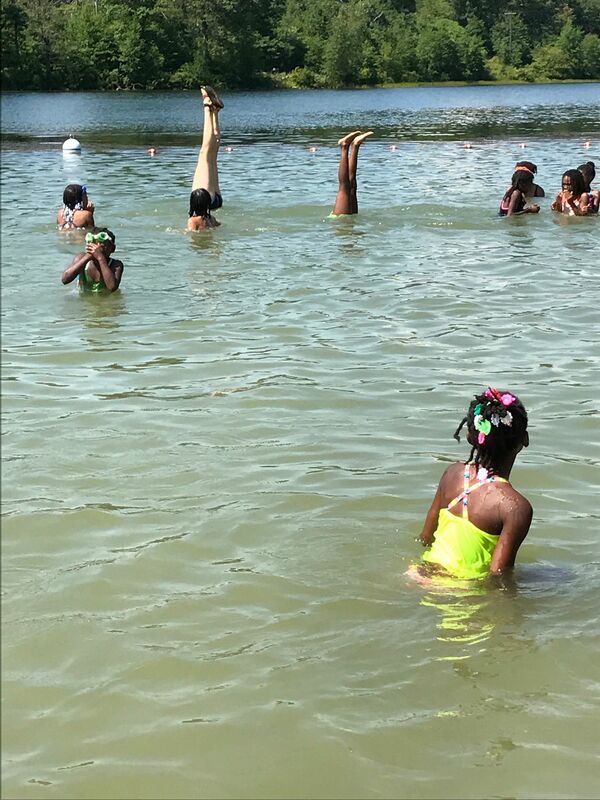 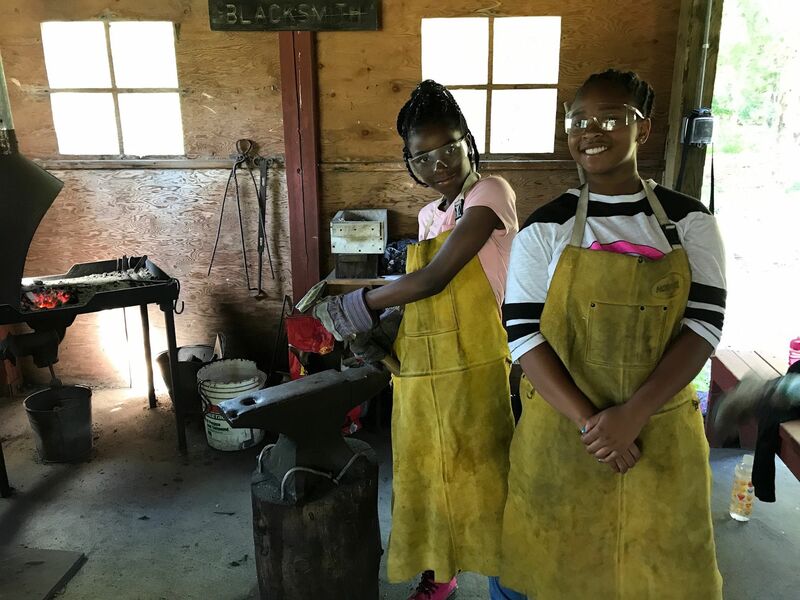 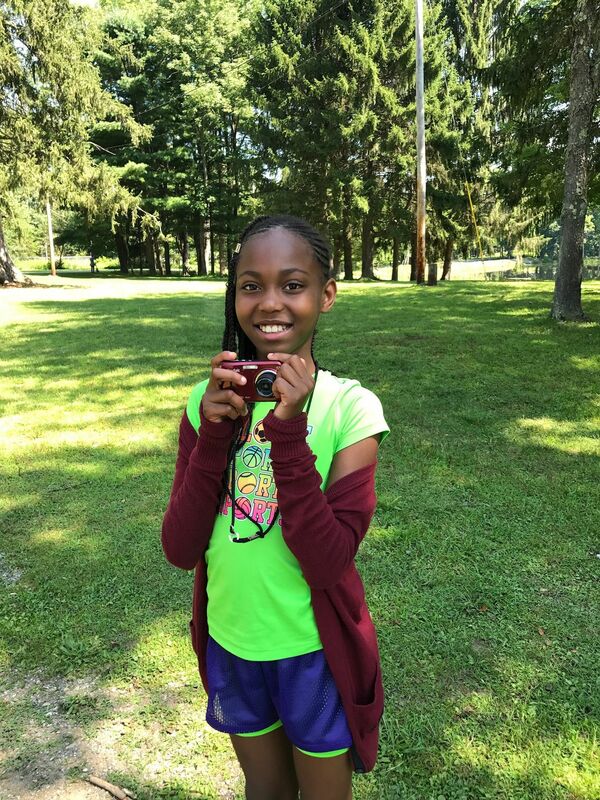 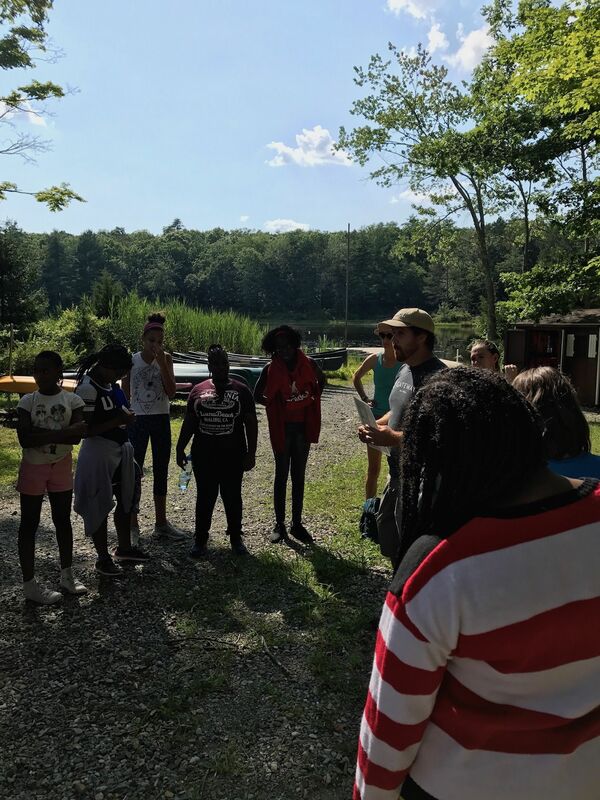 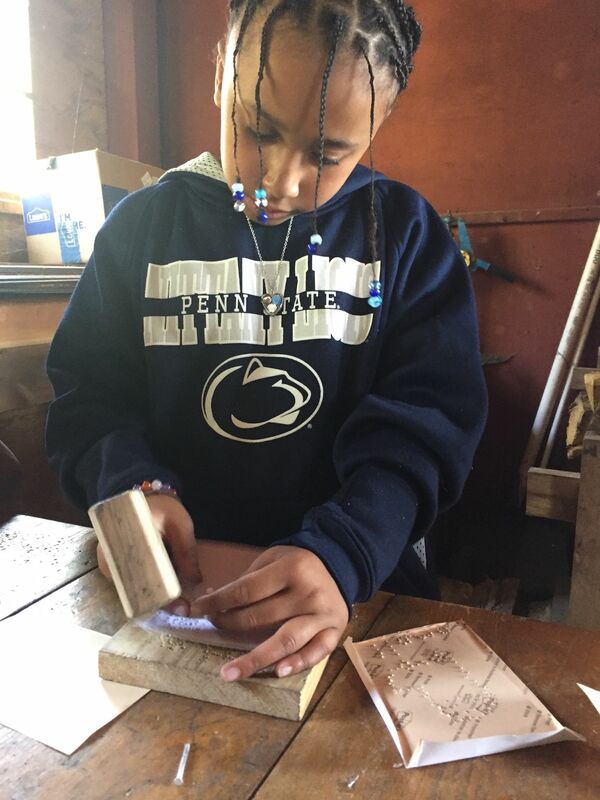 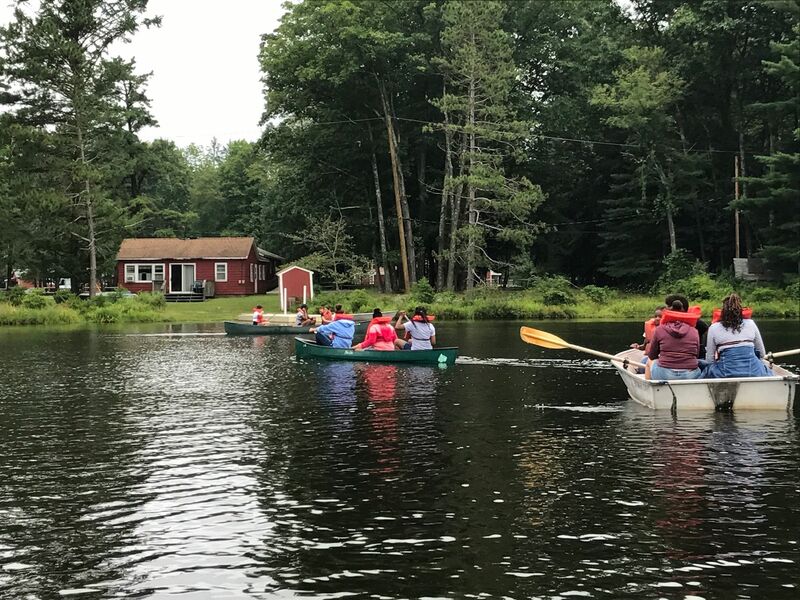 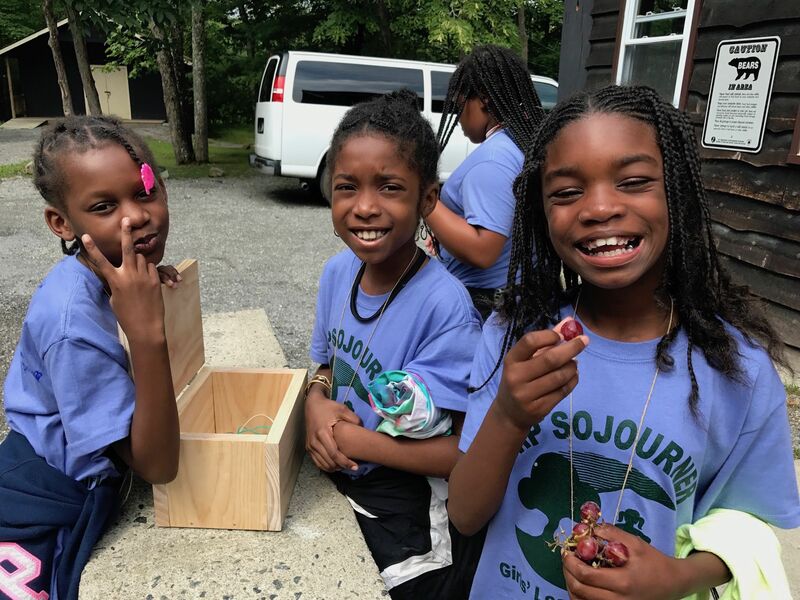 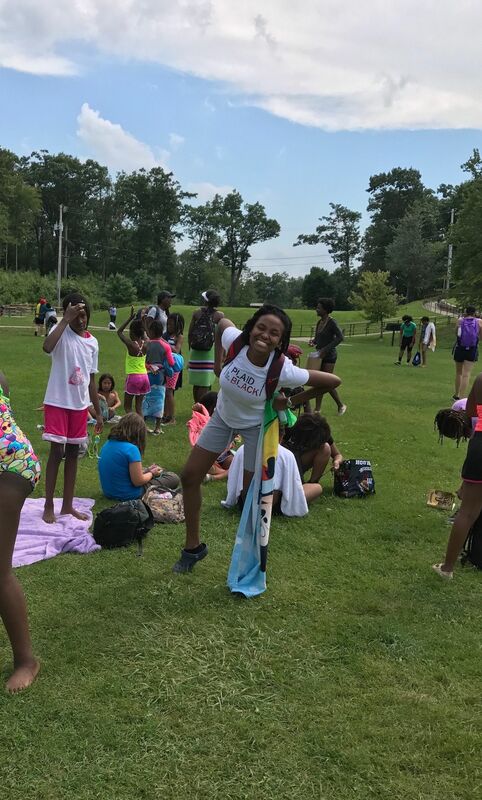 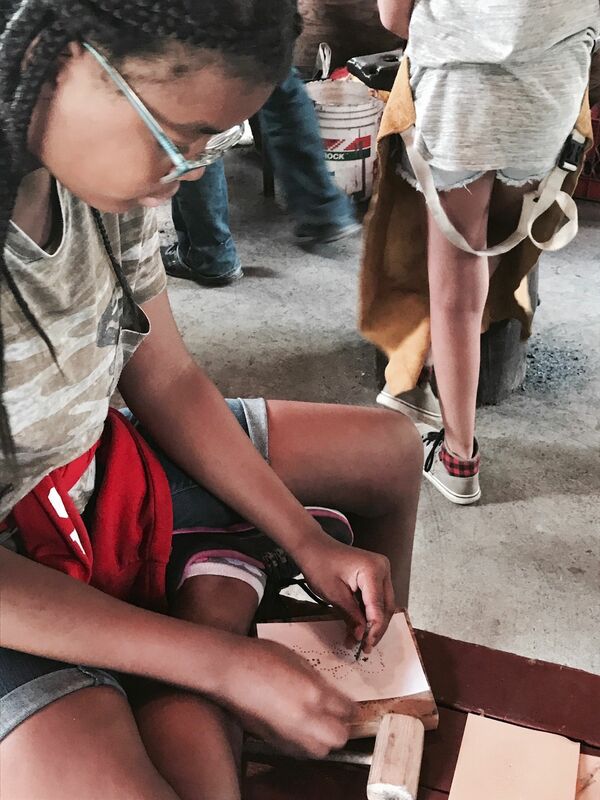 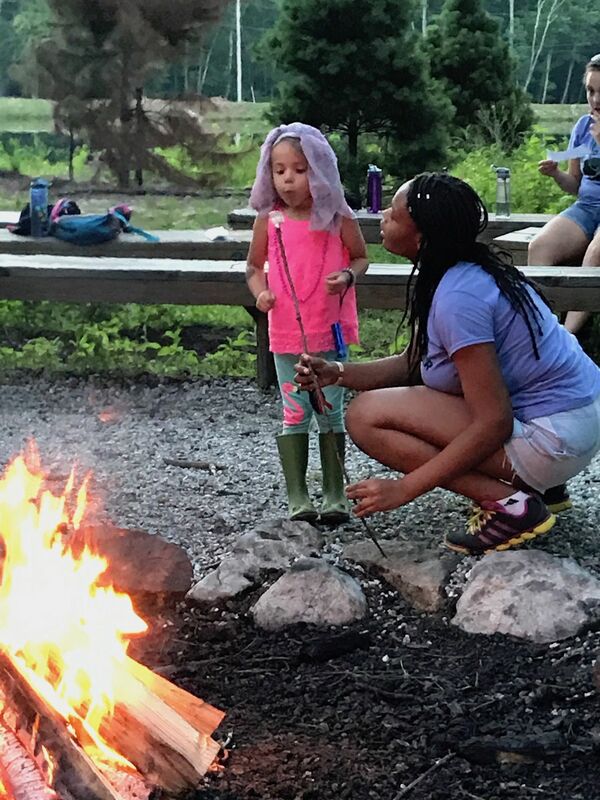 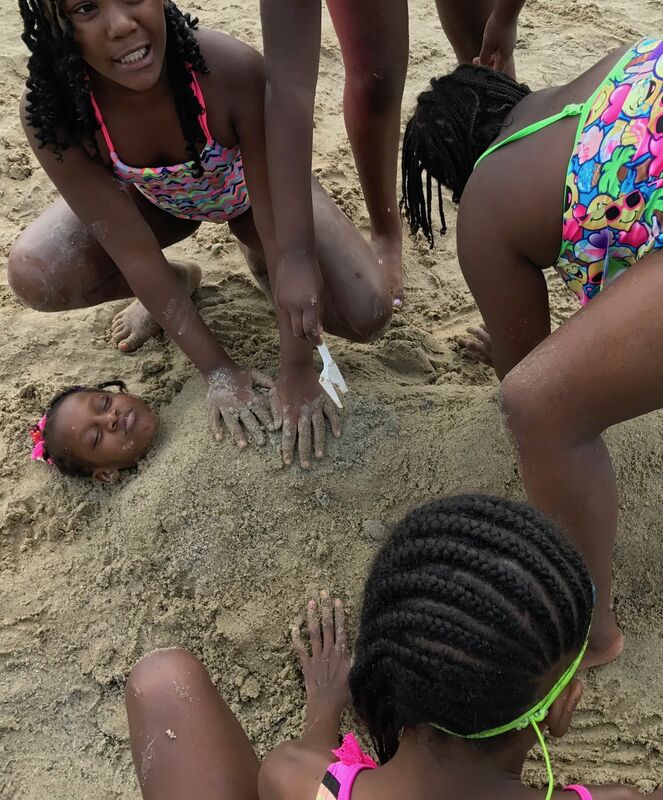 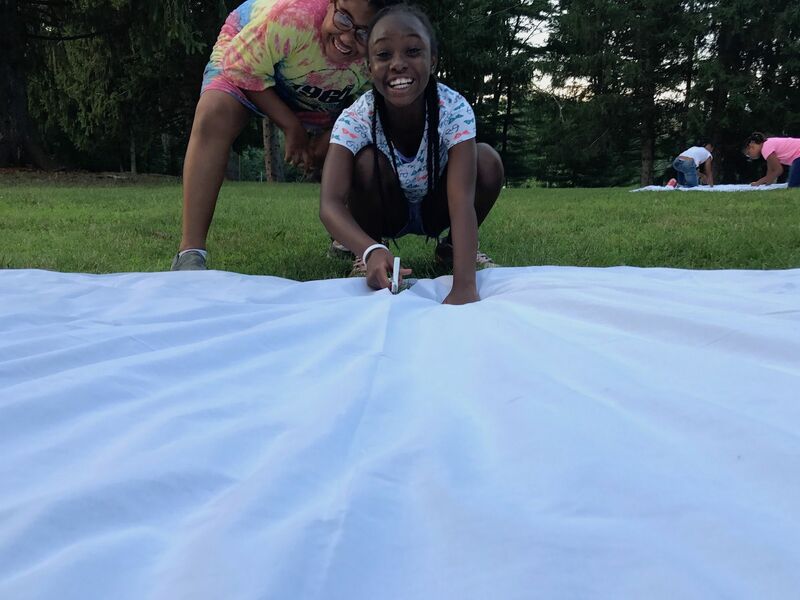 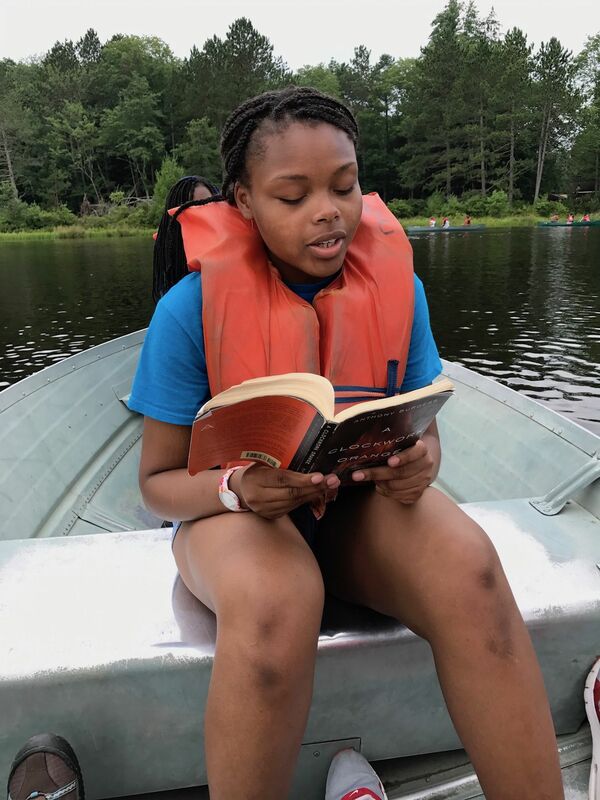 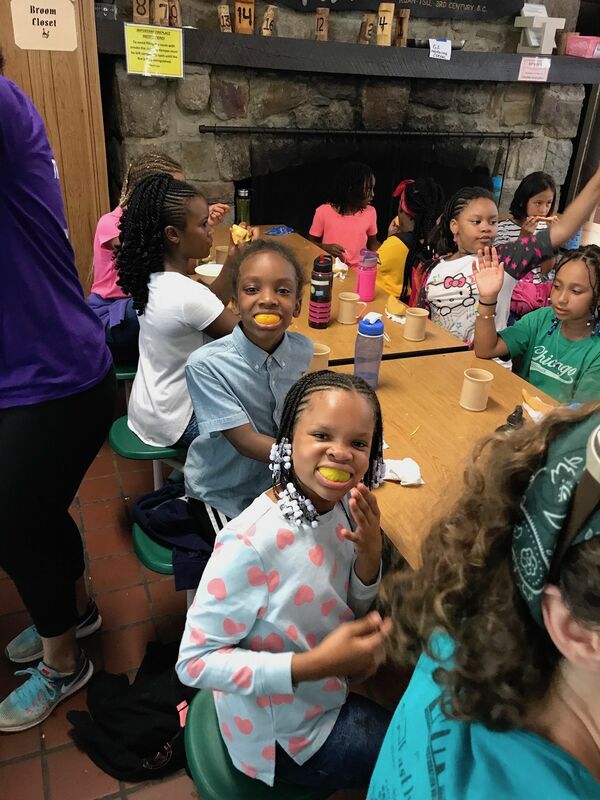 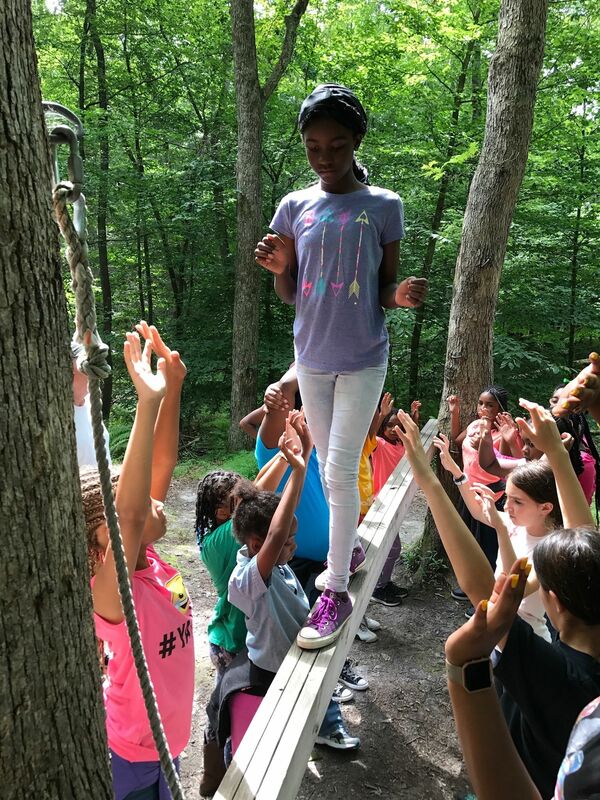 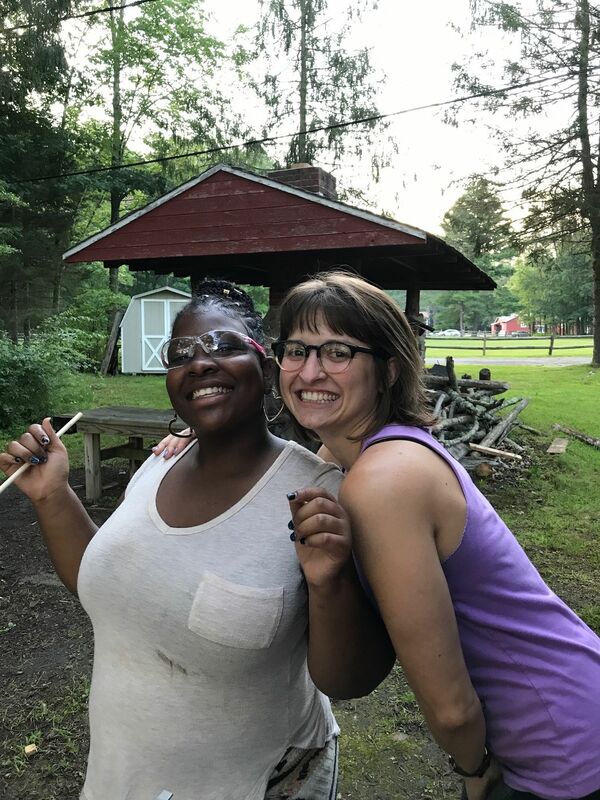 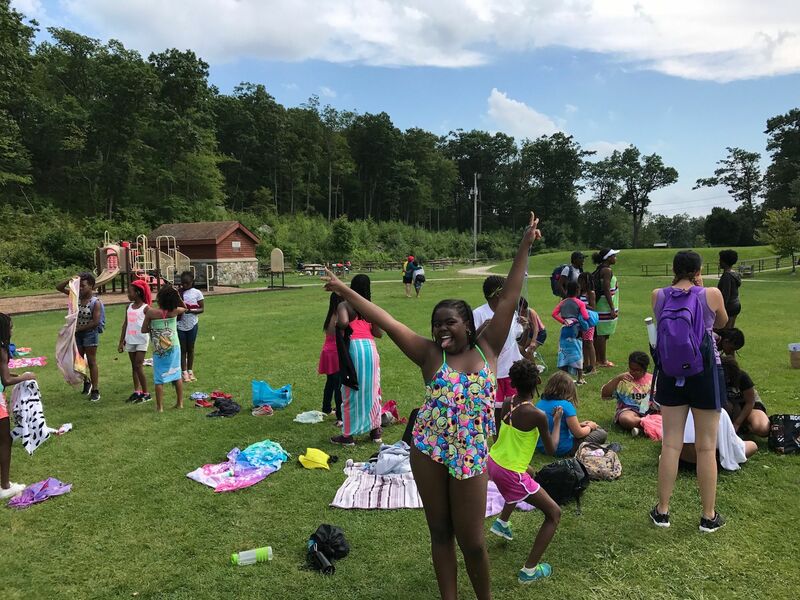 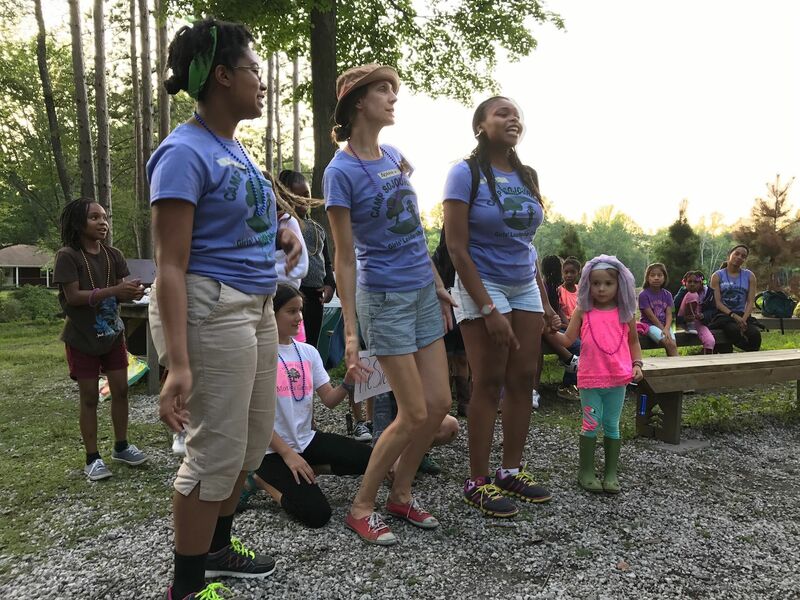 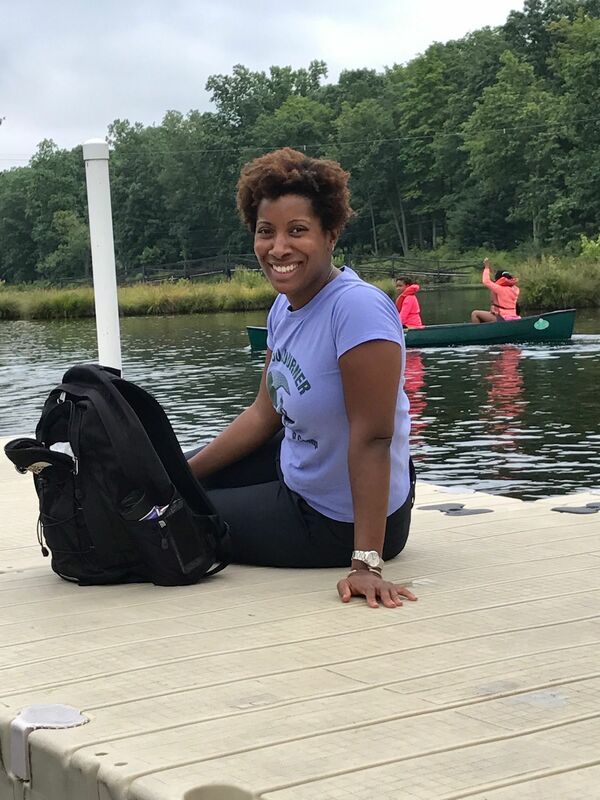 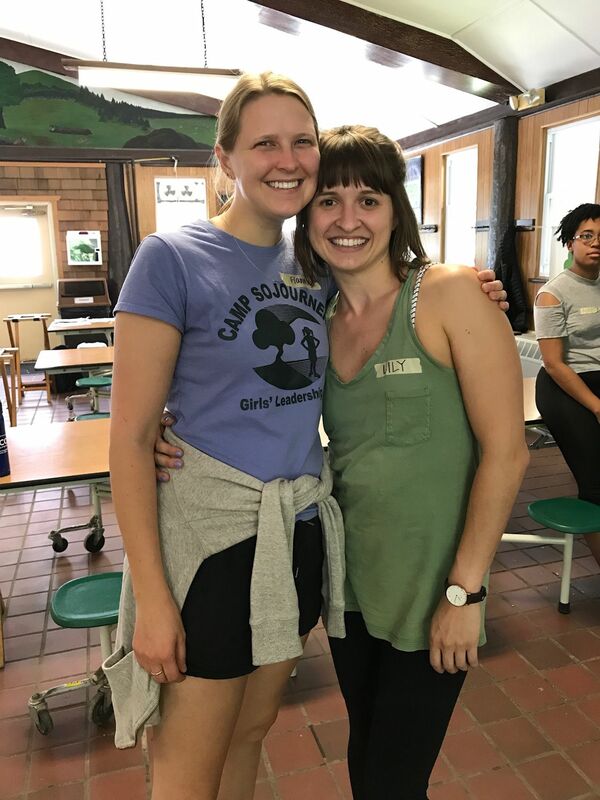 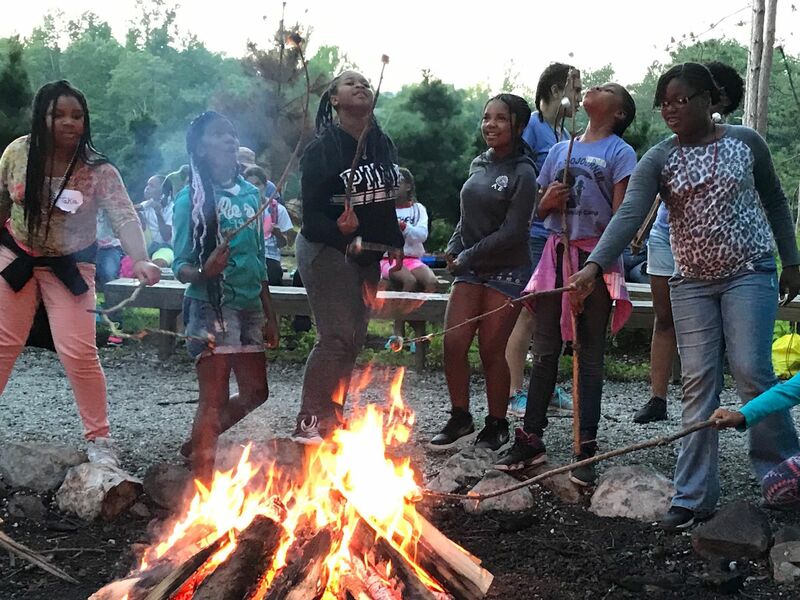 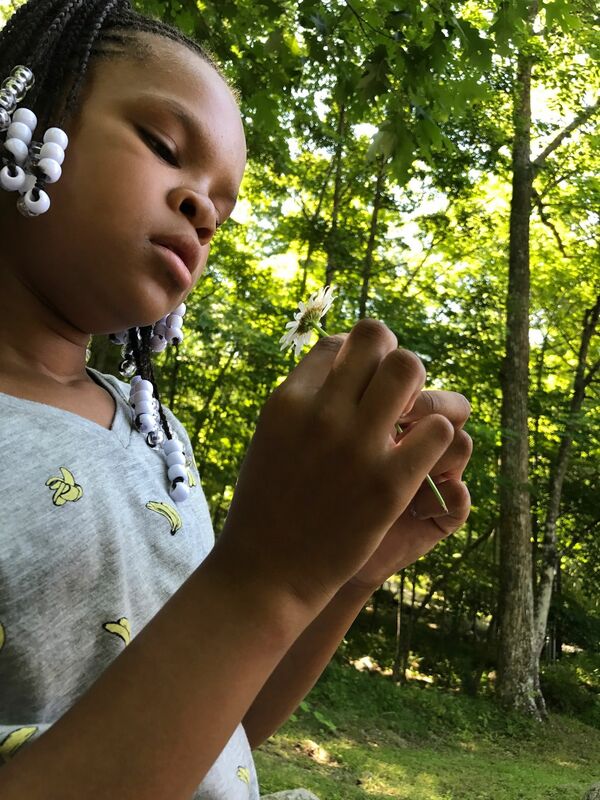 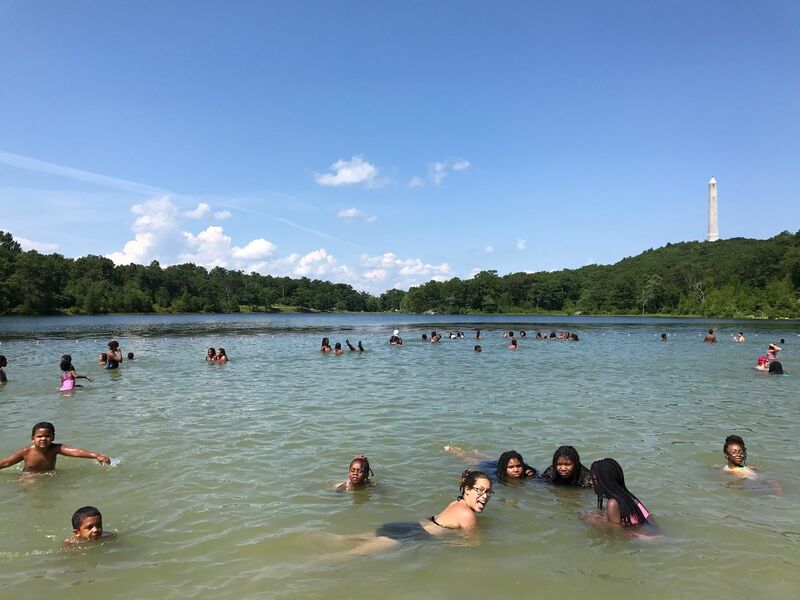 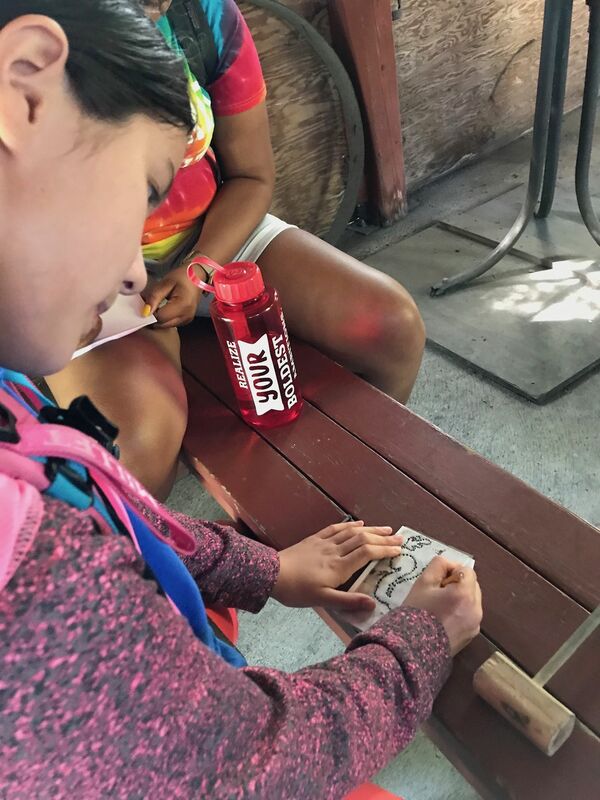 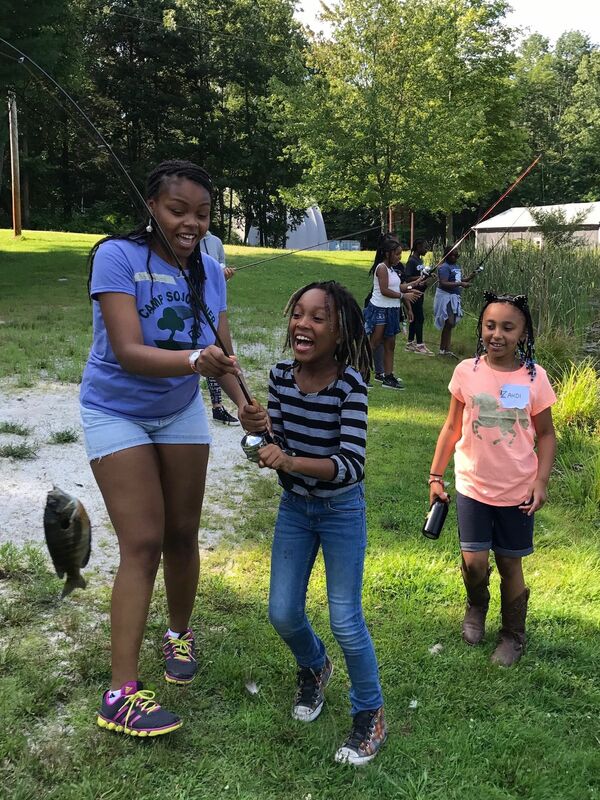 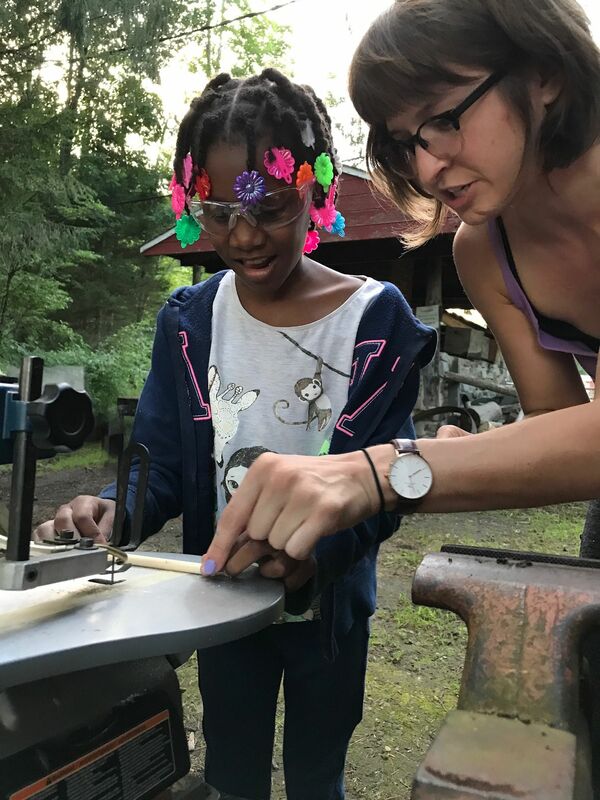 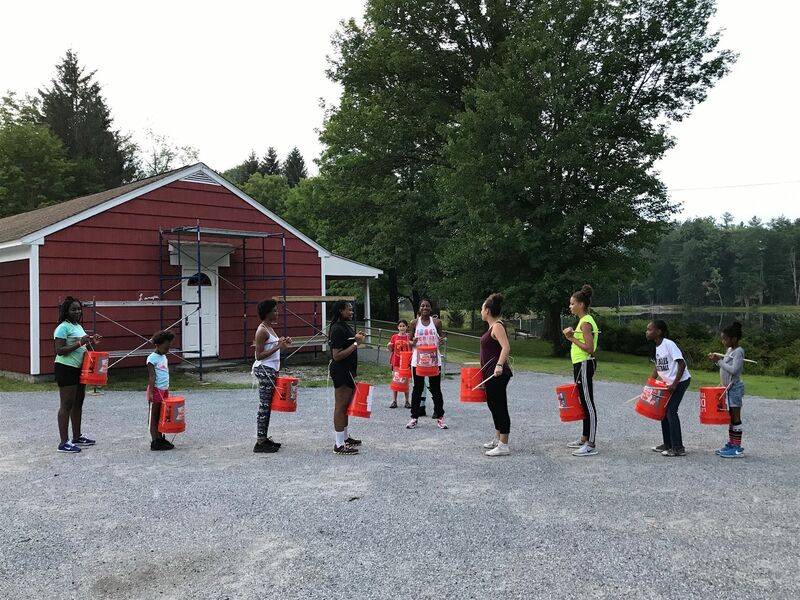 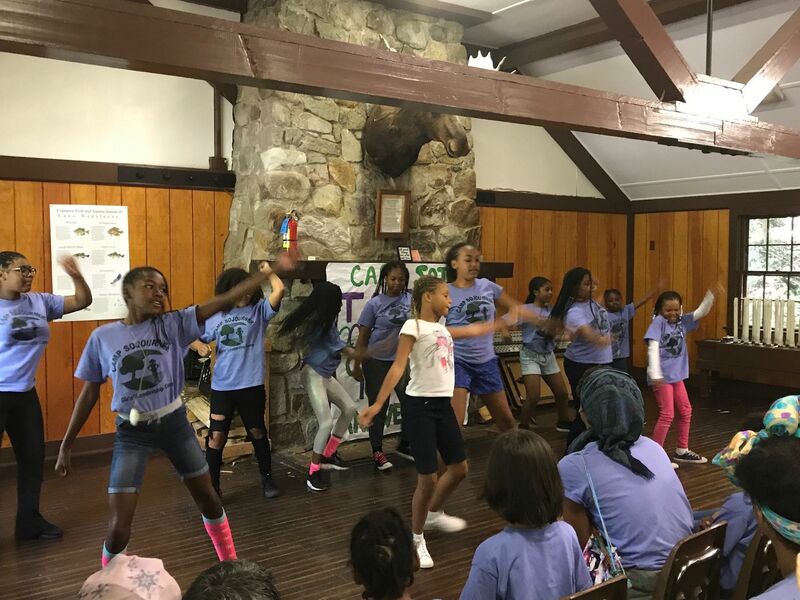 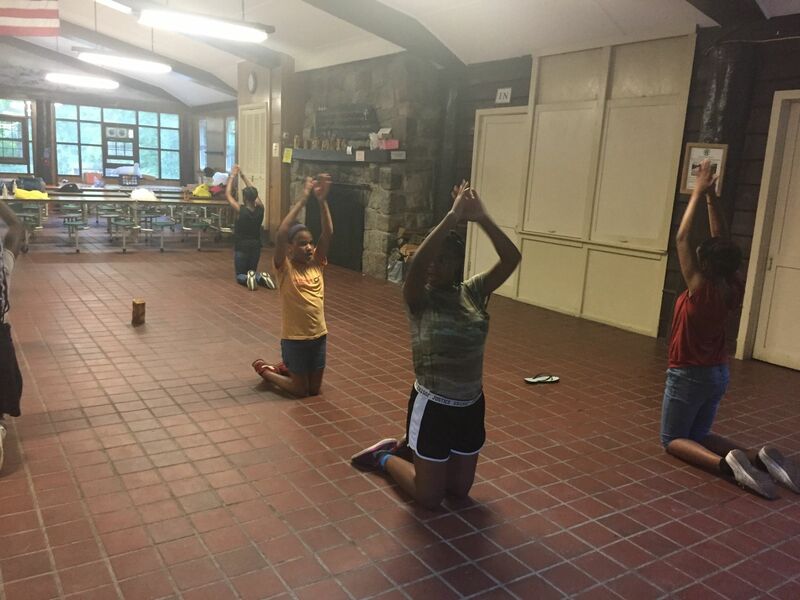 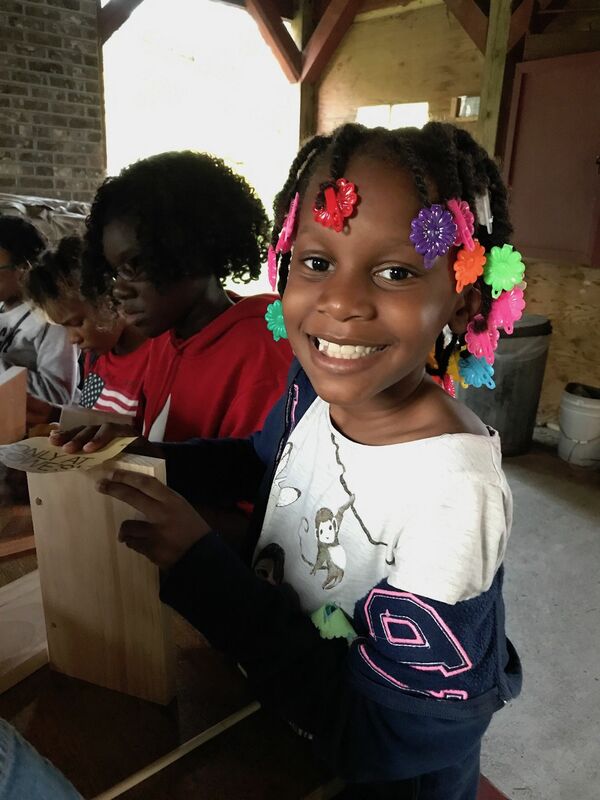 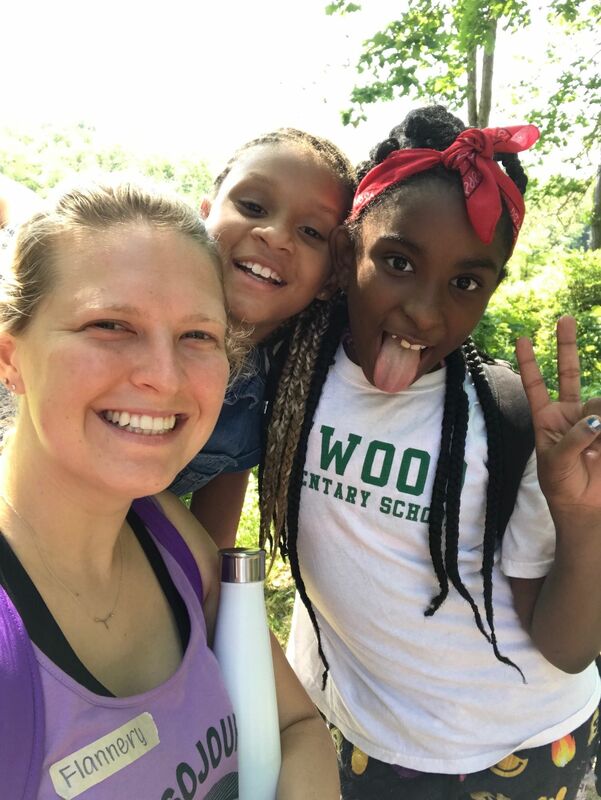 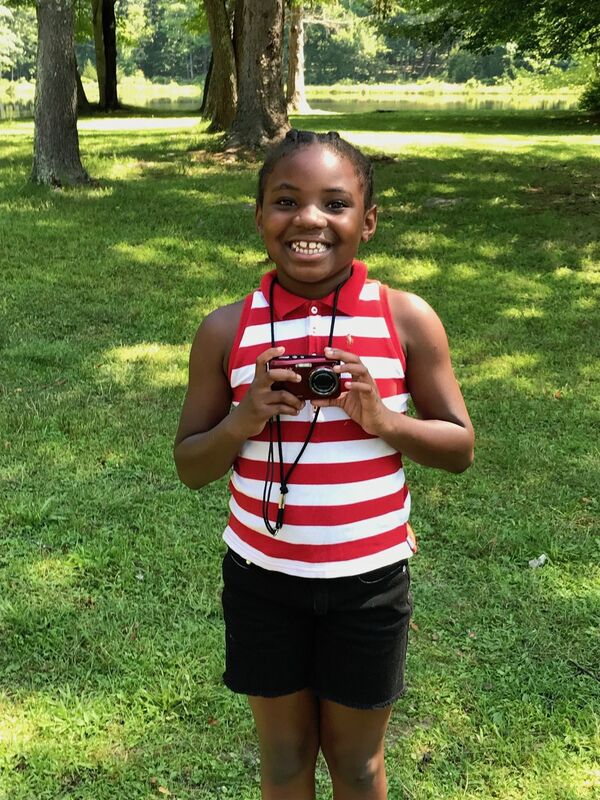 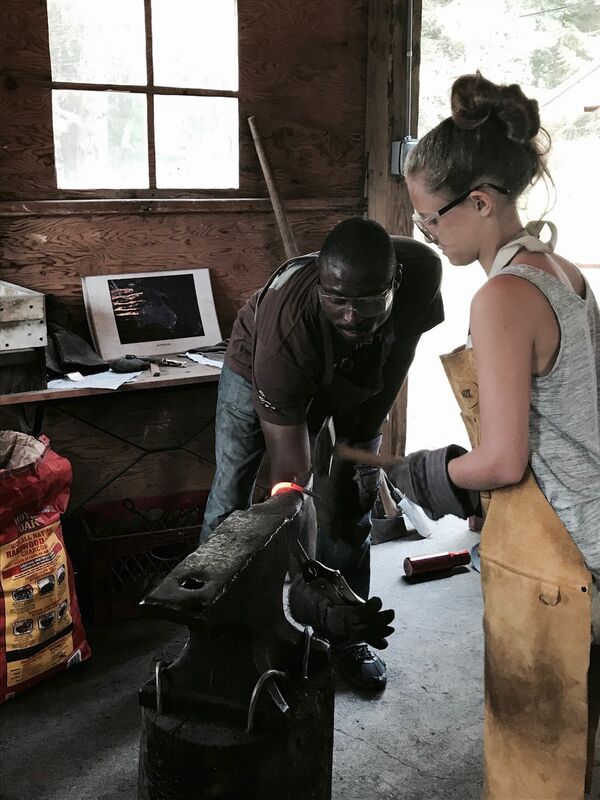 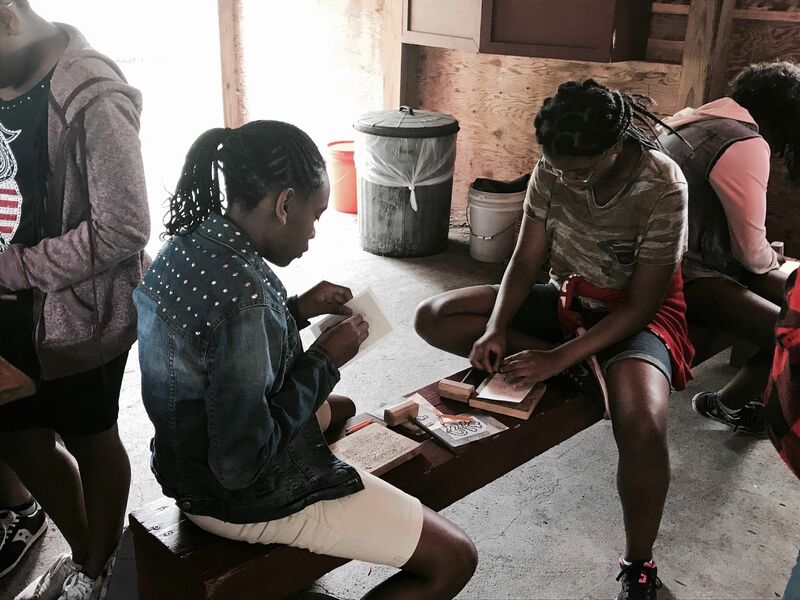 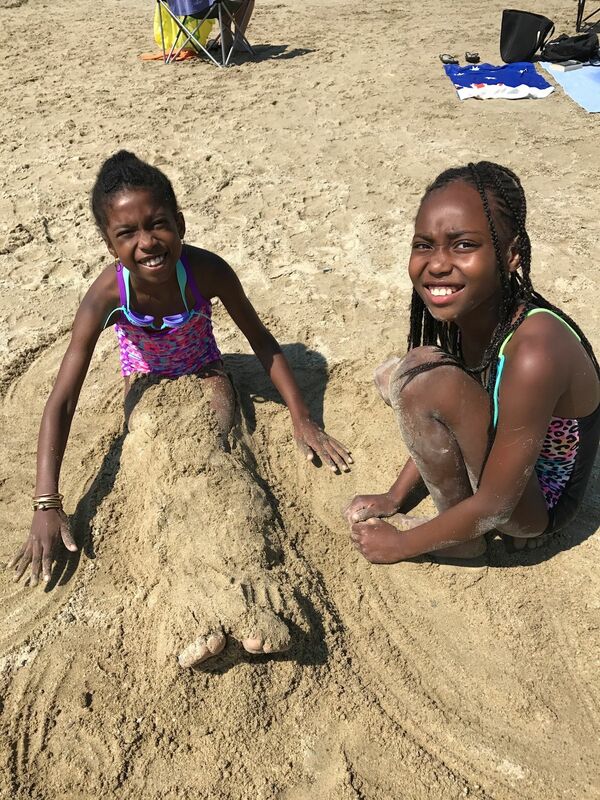 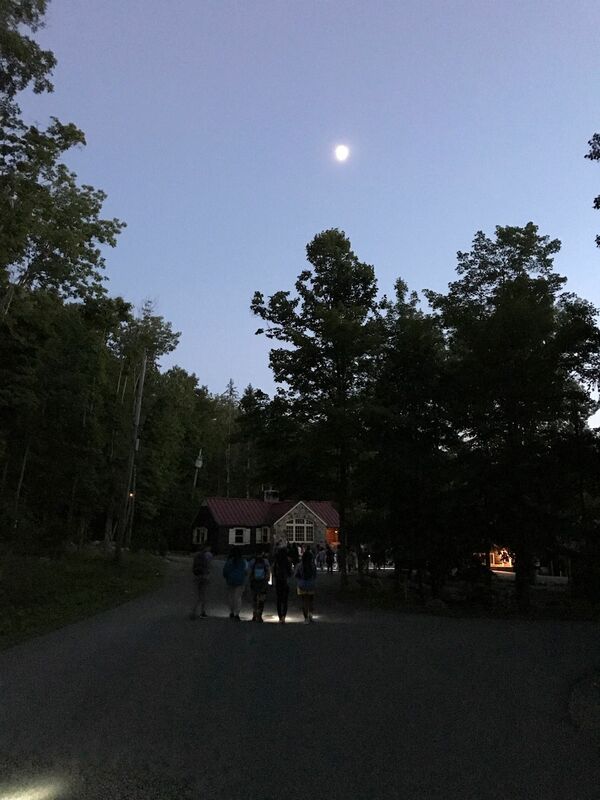 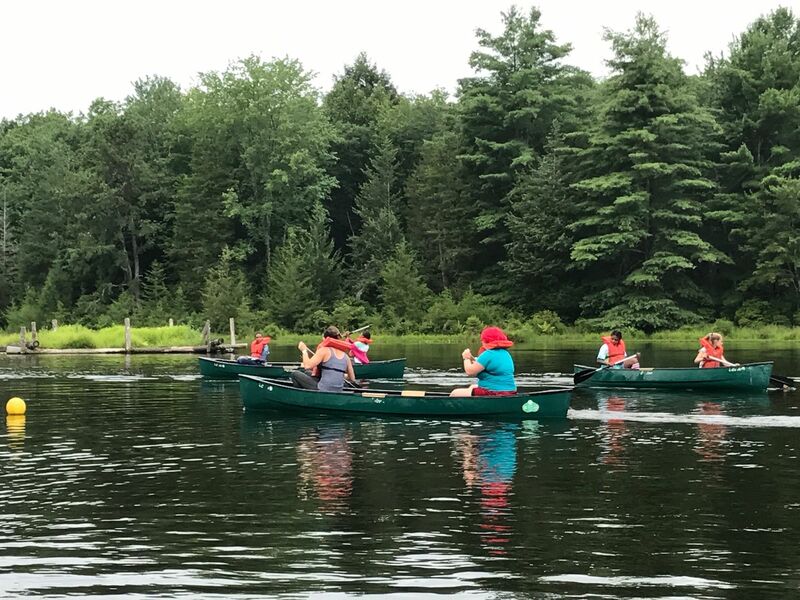 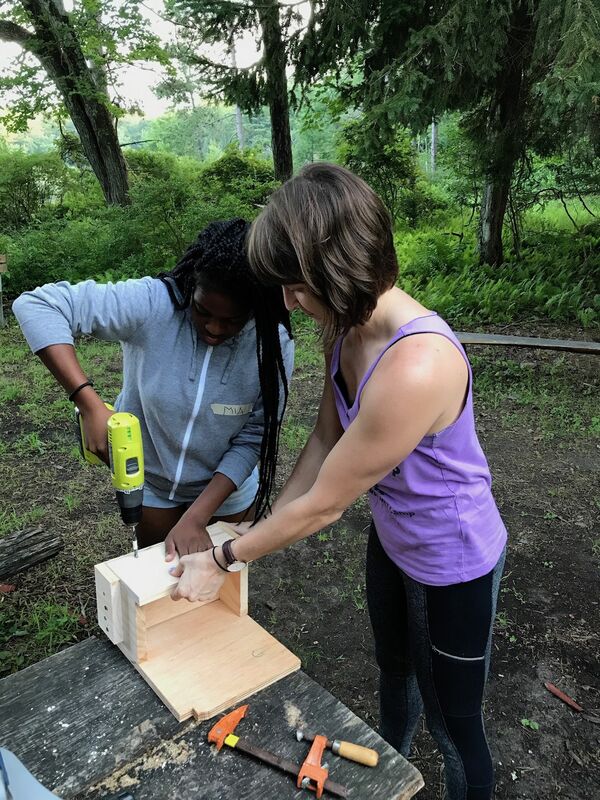 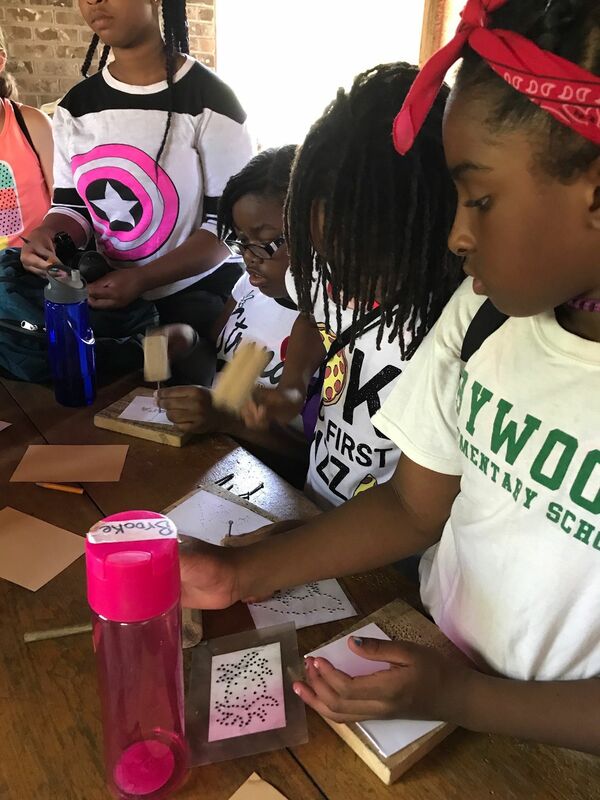 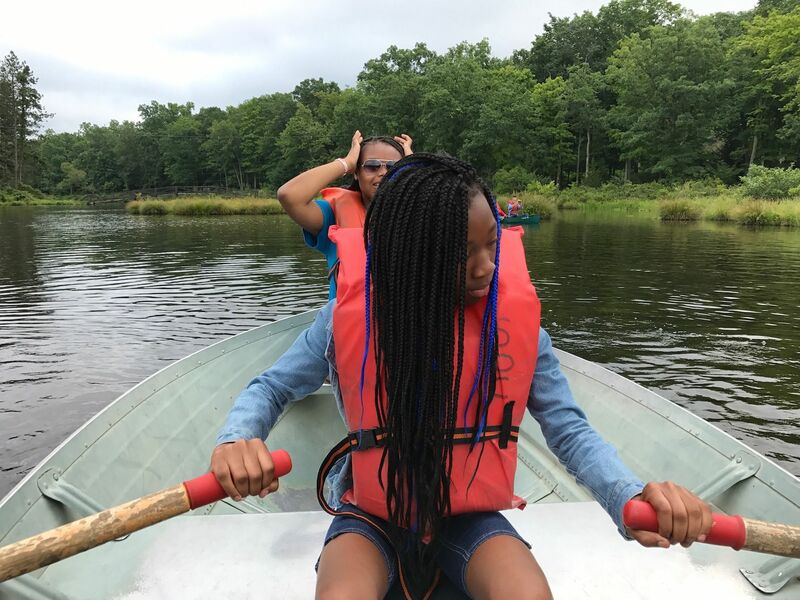 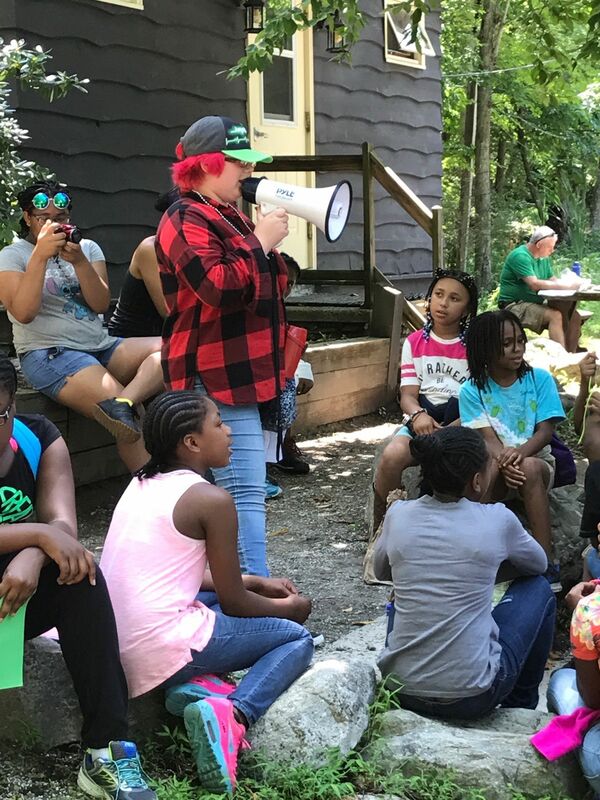 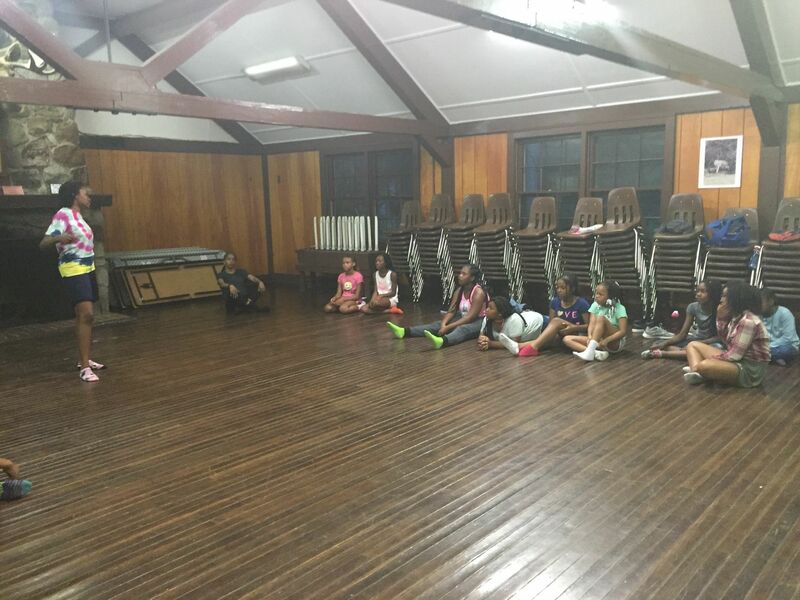 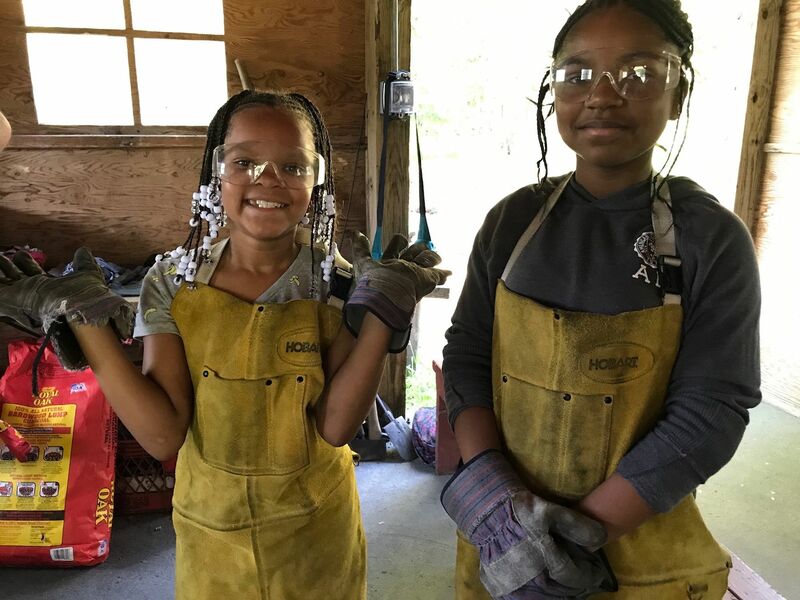 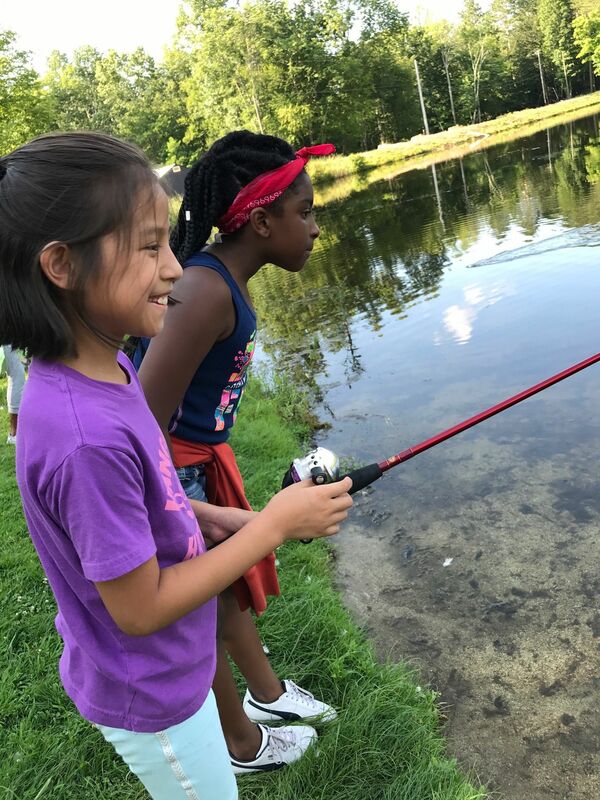 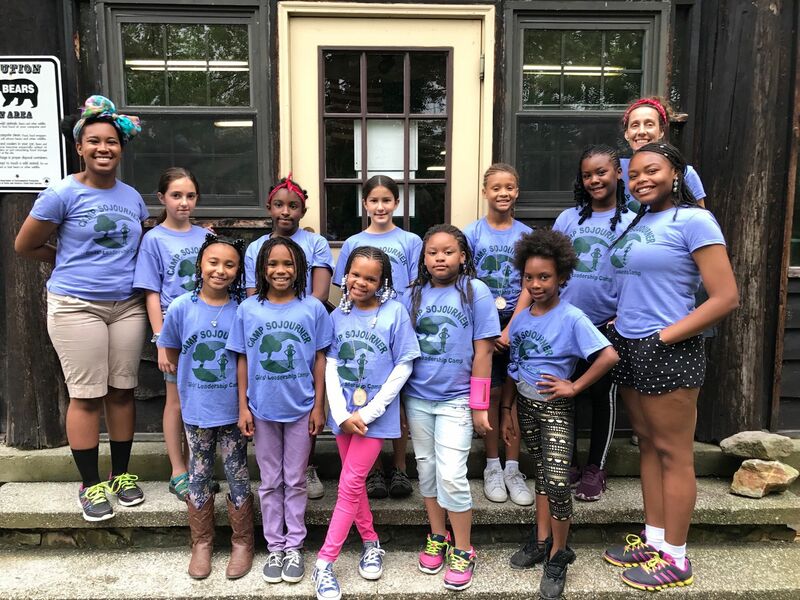 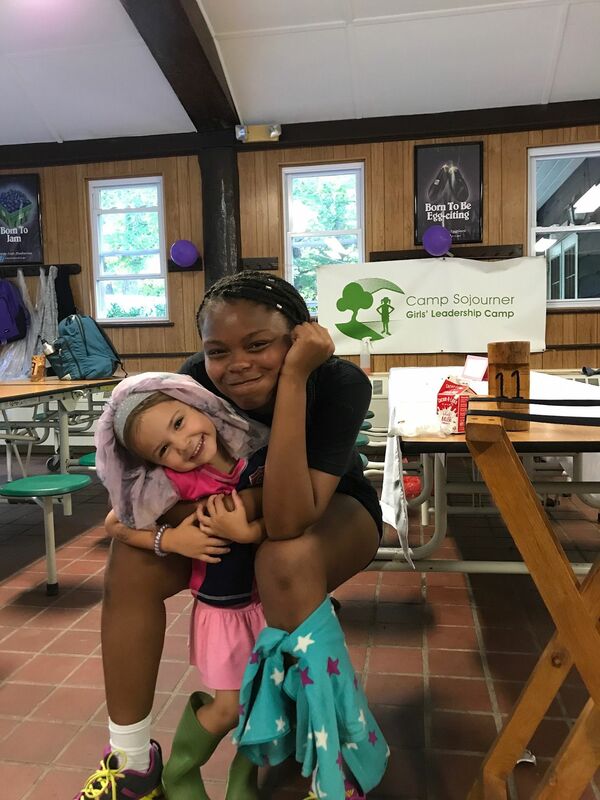 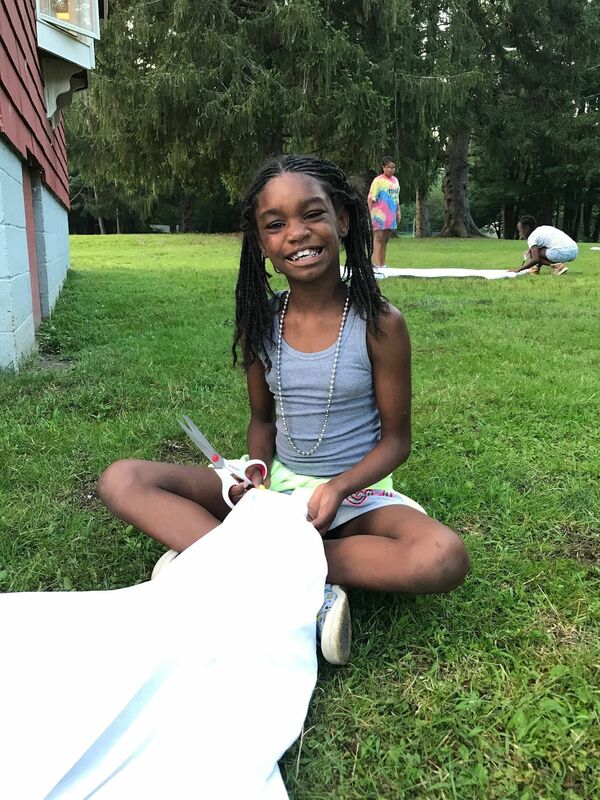 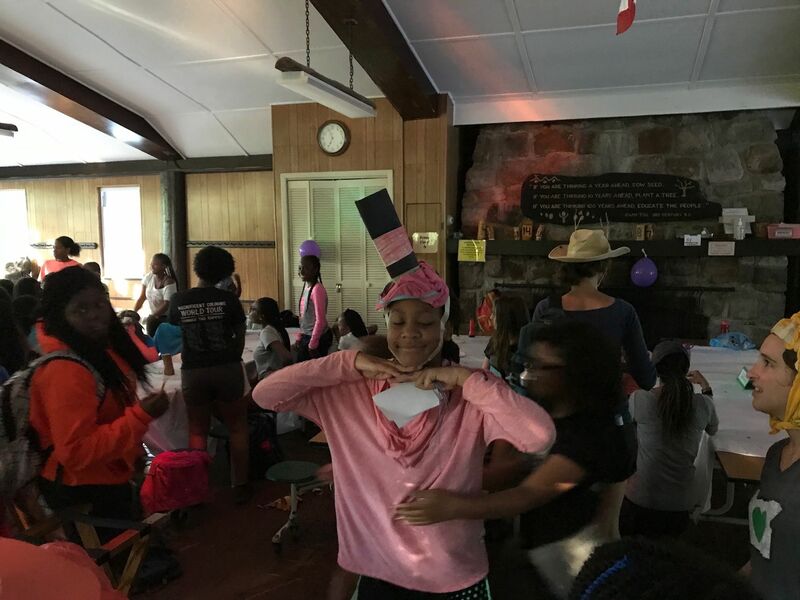 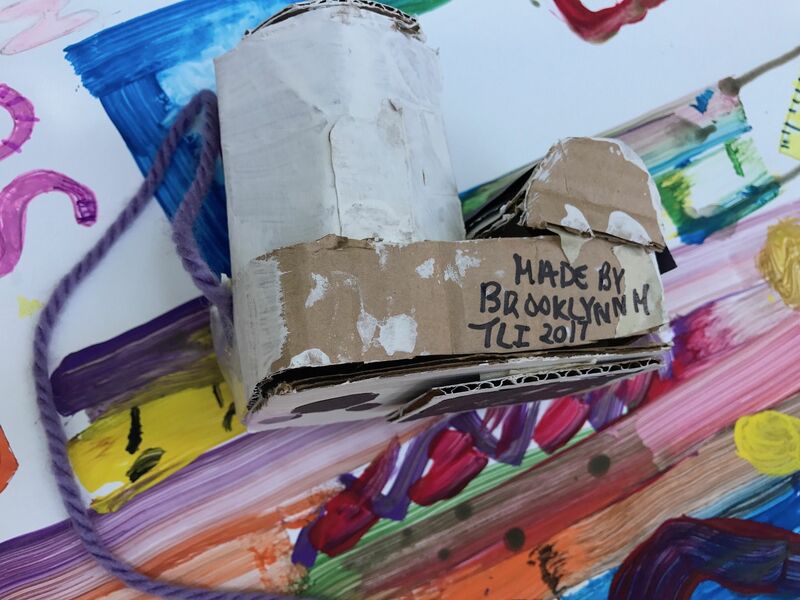 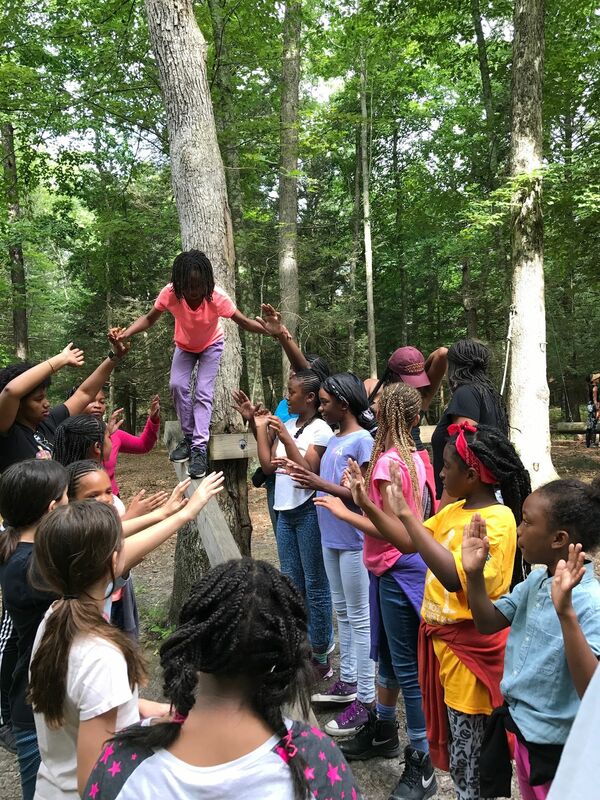 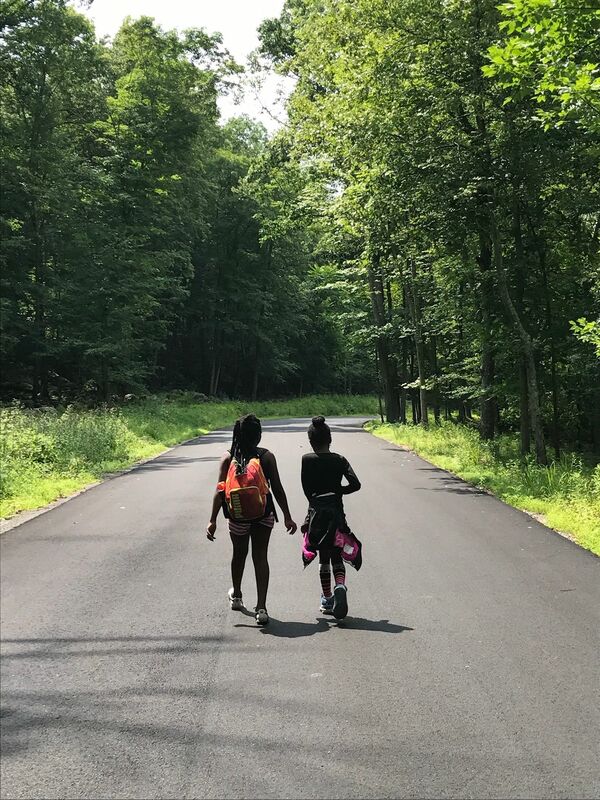 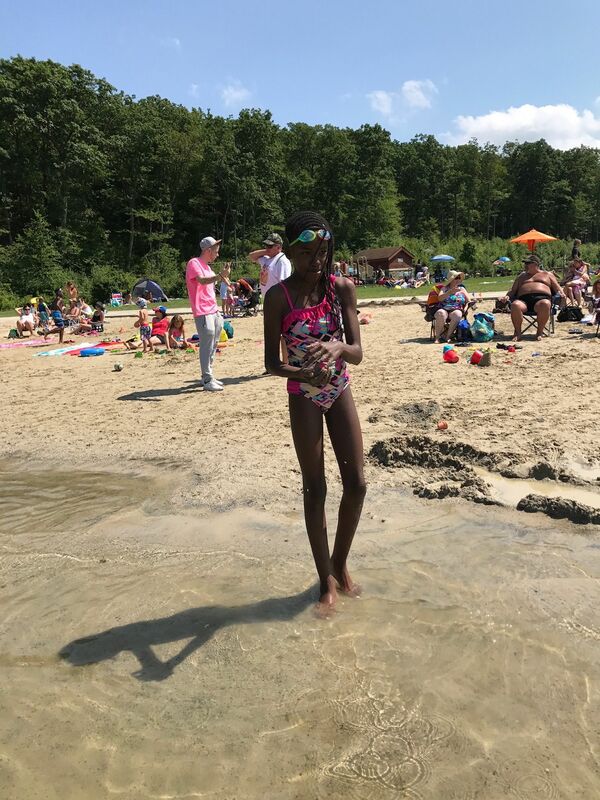 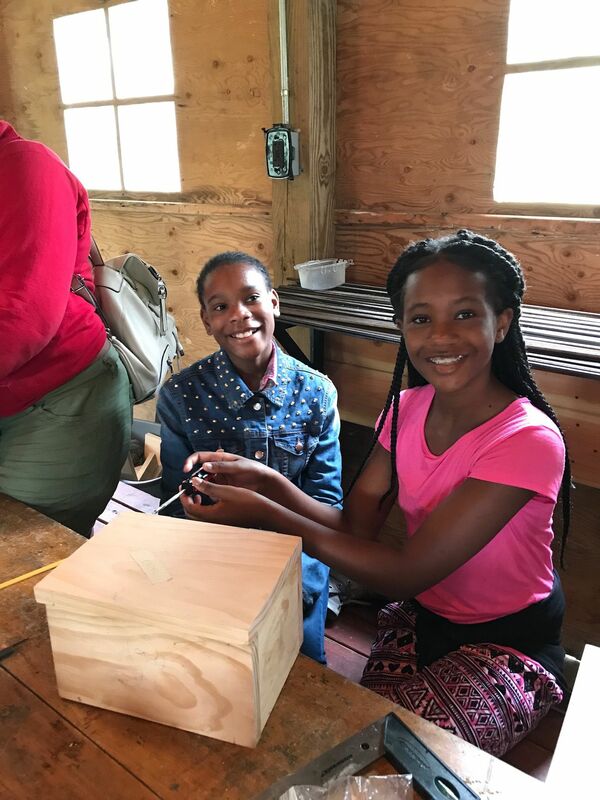 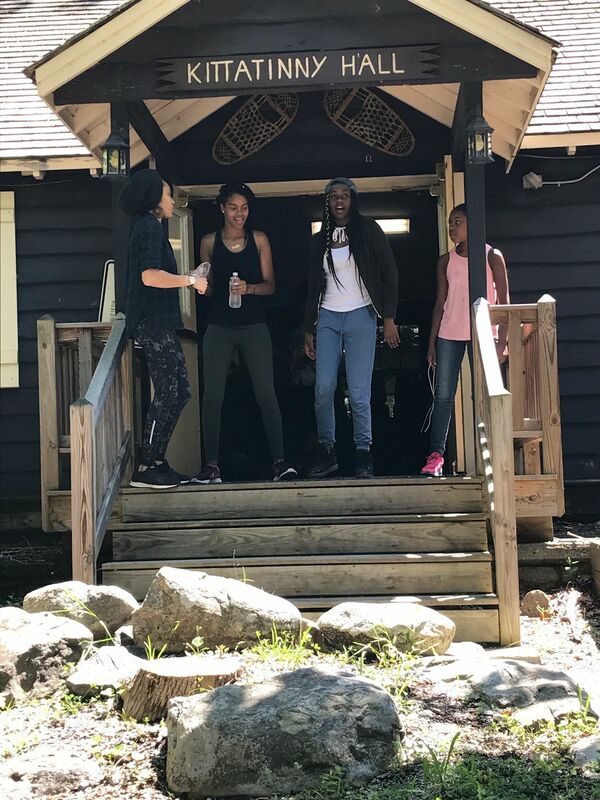 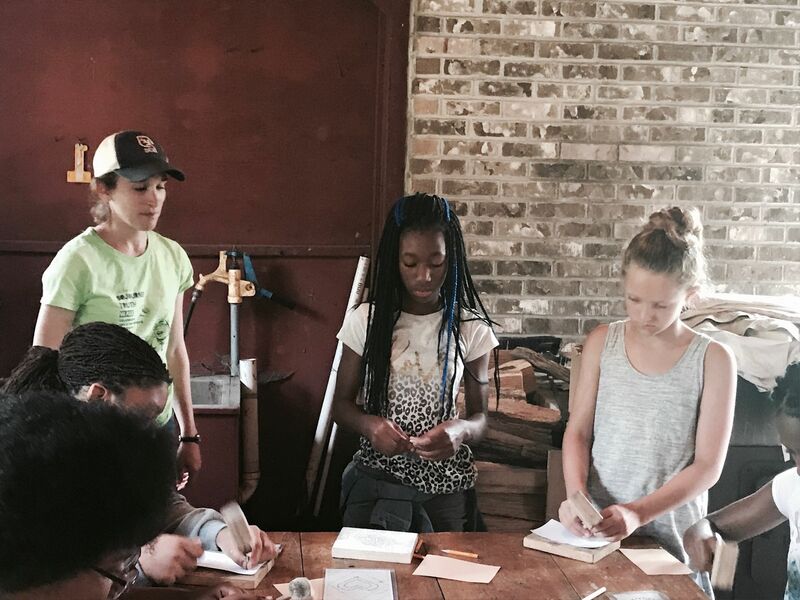 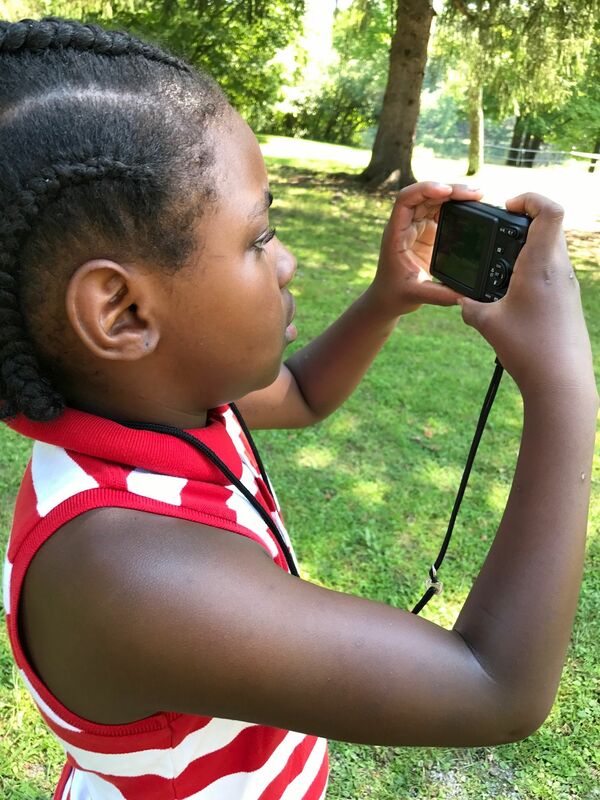 We also continued with the camp magic that girls have come to love with creative arts, boating, hiking, climbing wall, campfires, and more. 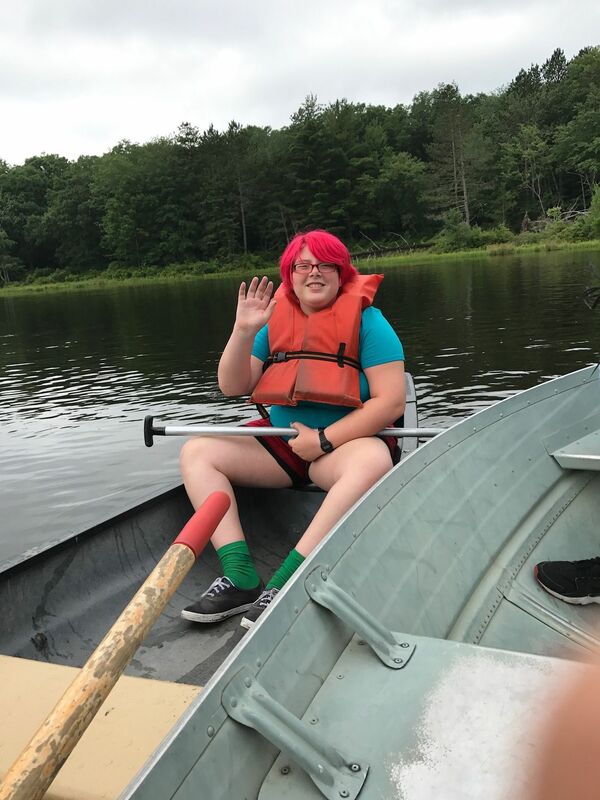 Check out our pictures below to see some of our adventures! 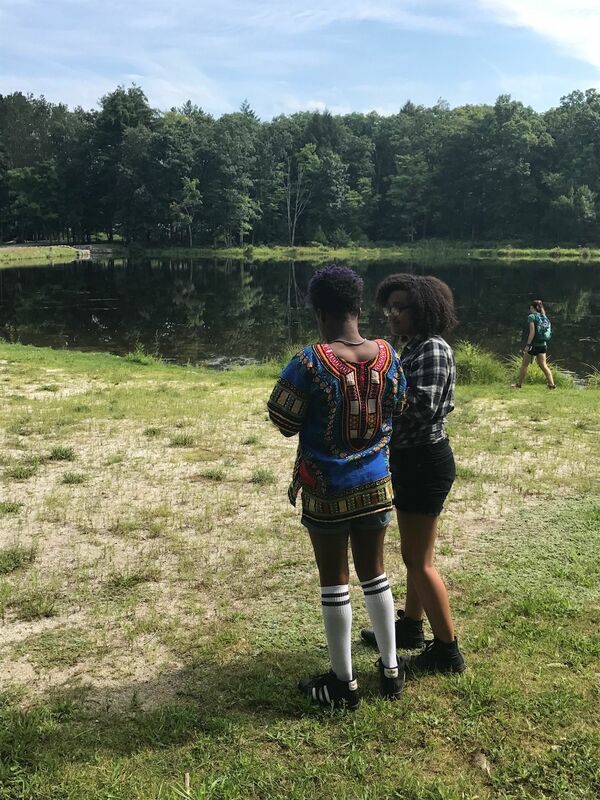 Also, our Facebook page has ongoing updates and videos. 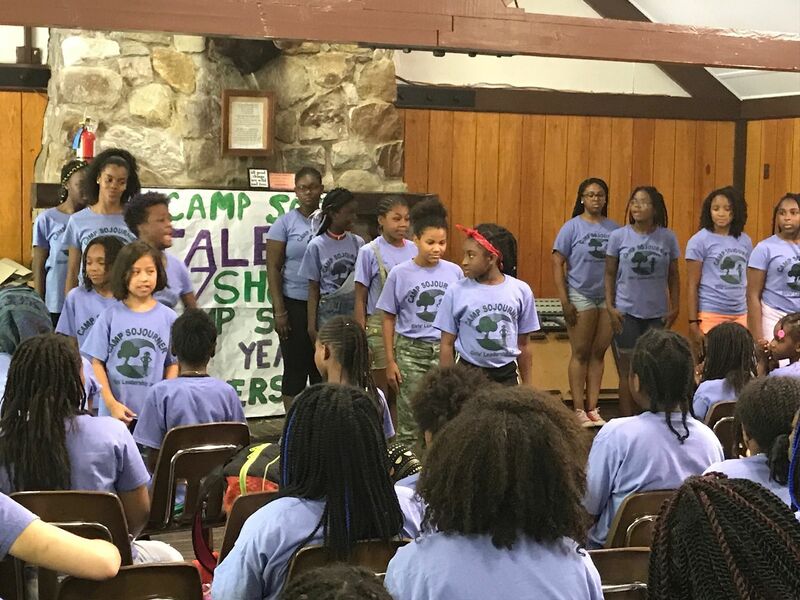 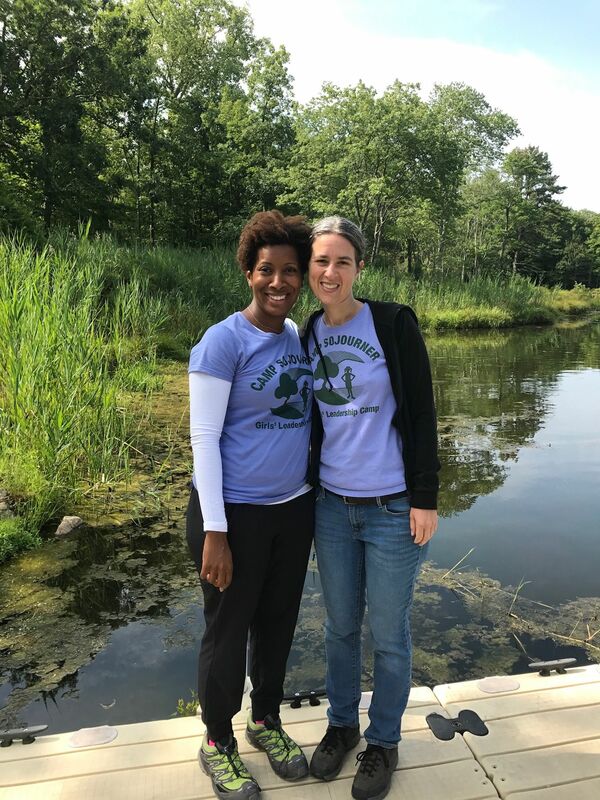 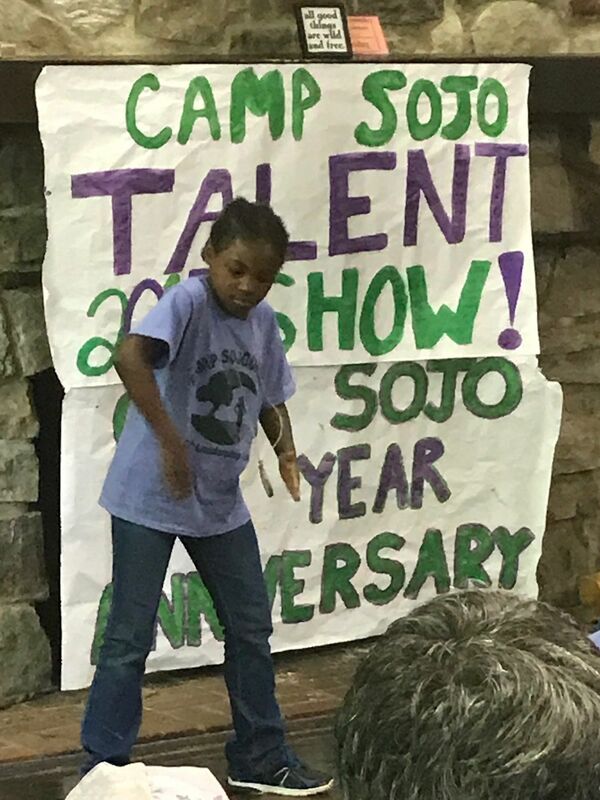 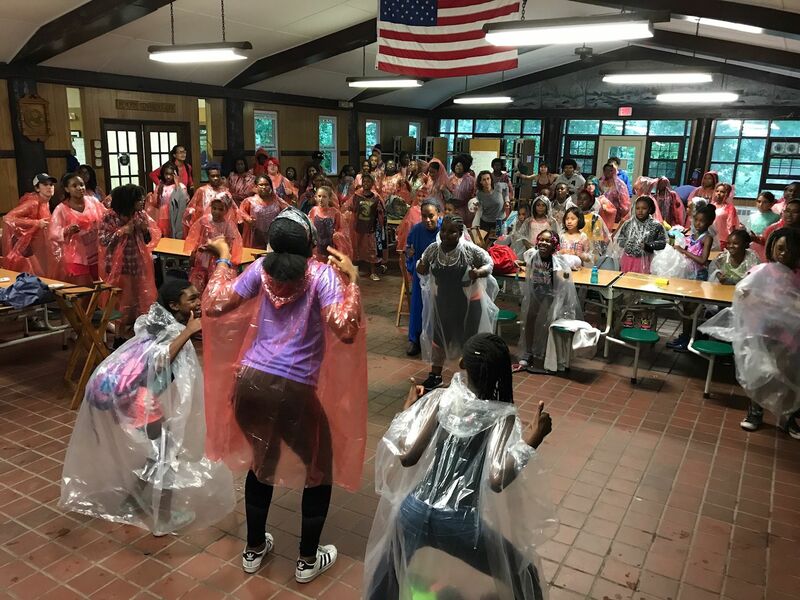 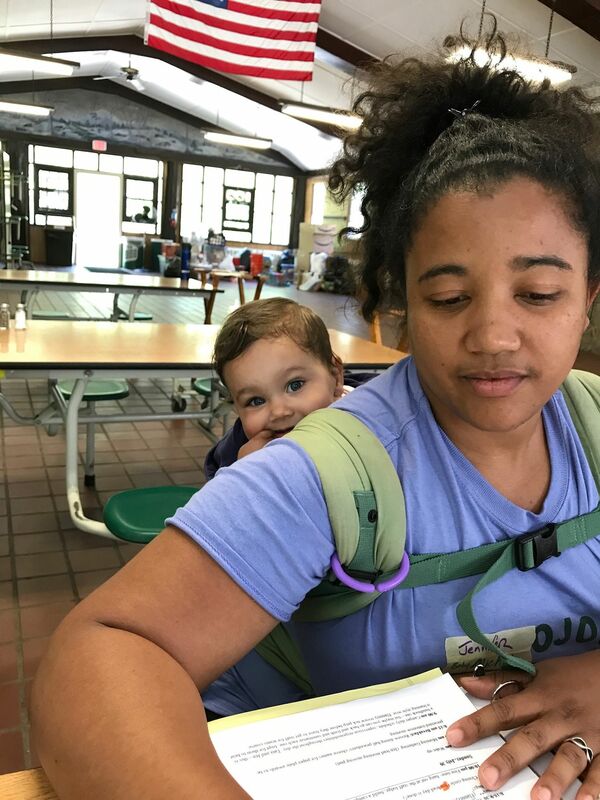 Many thanks to all of the wonderful staff, campers, parents/guardians, community members, and supporters who helped make this year’s session possible! 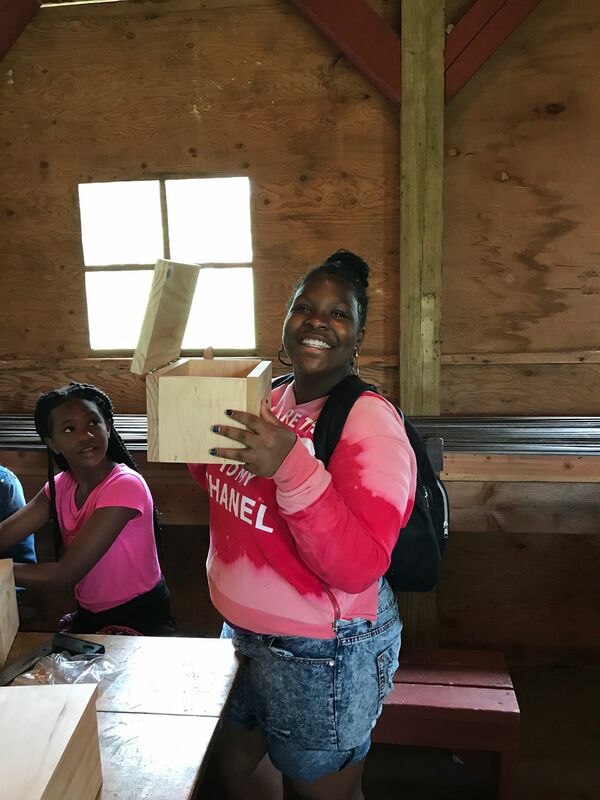 MANY THANKS TO THE FOUNDATIONS WHO FUNDED US THIS YEAR!